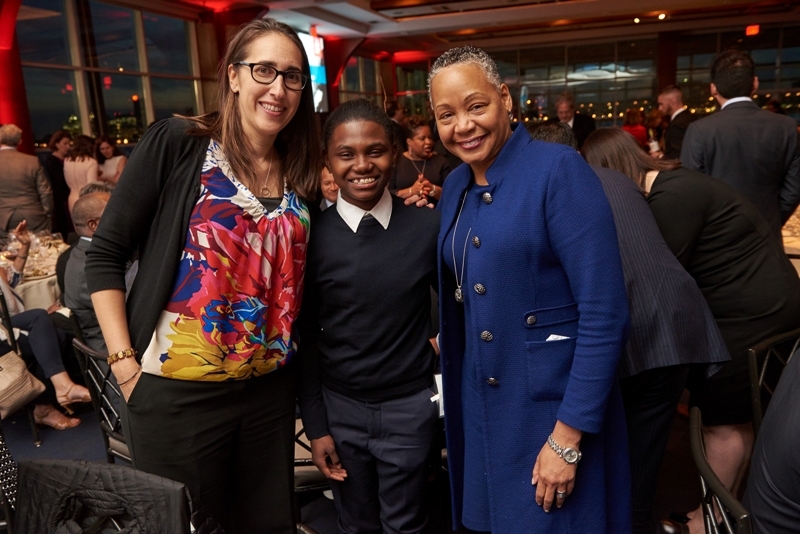 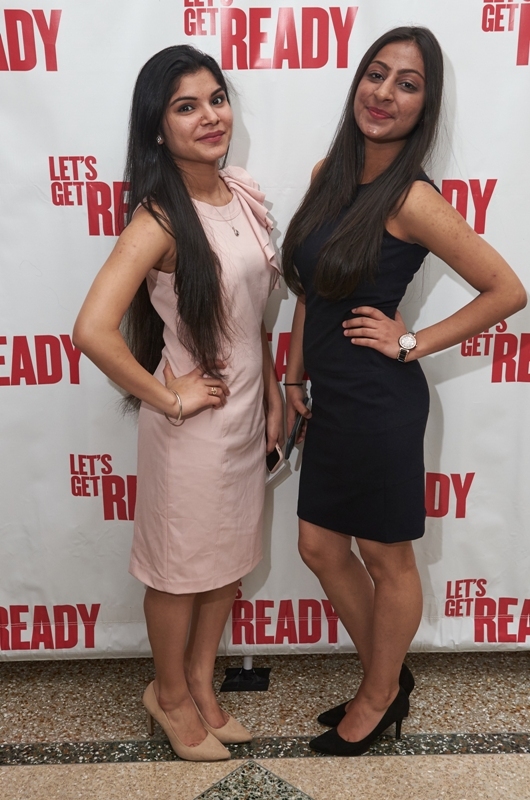 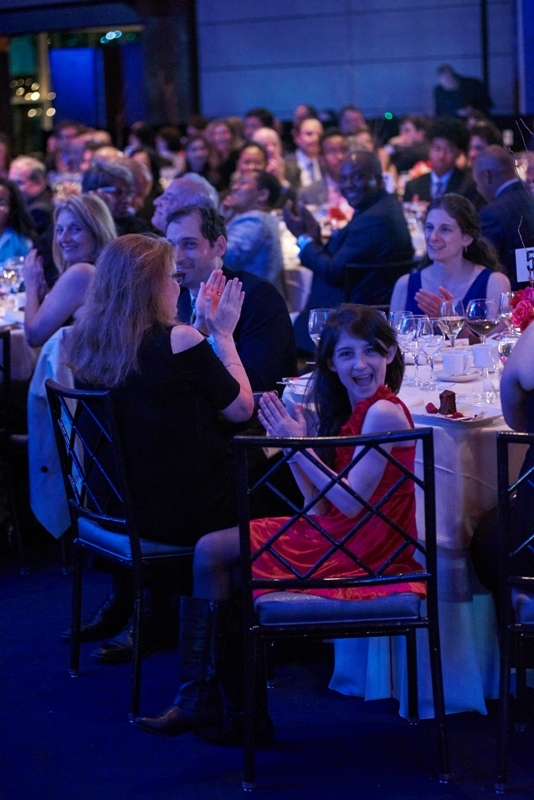 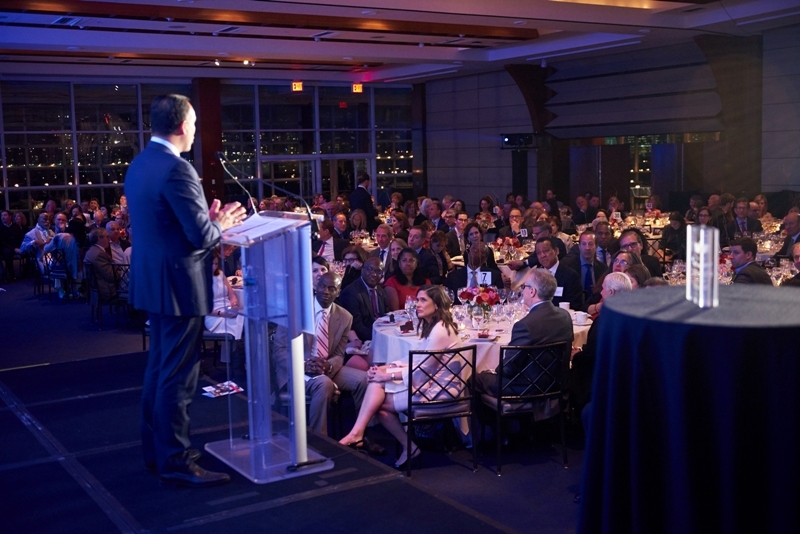 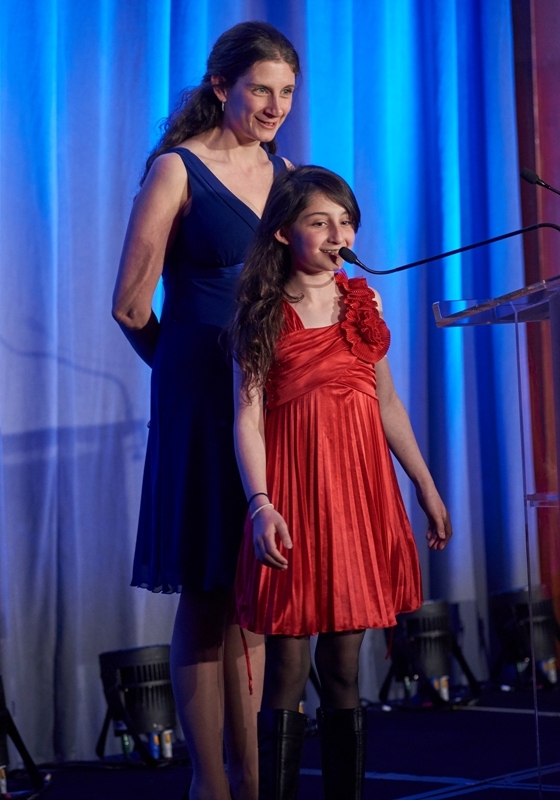 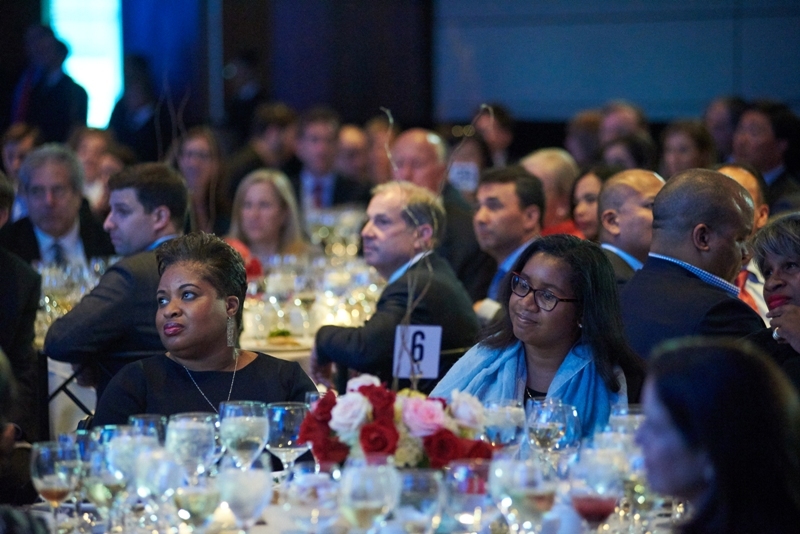 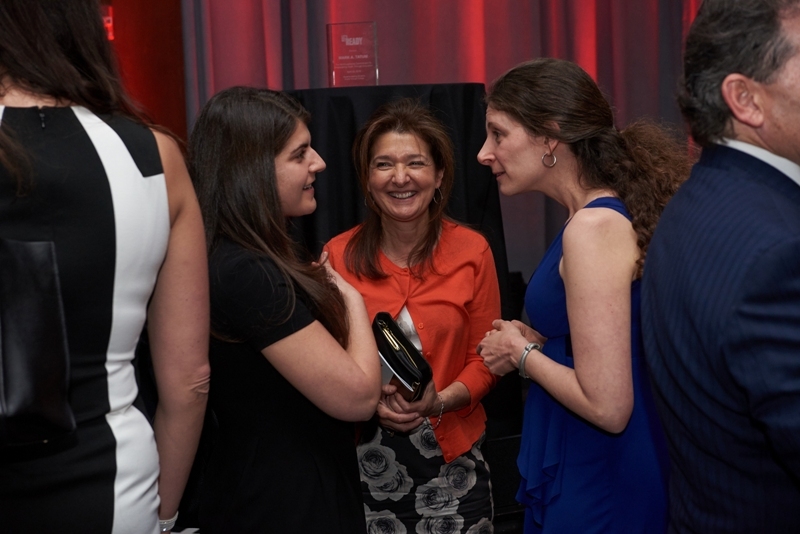 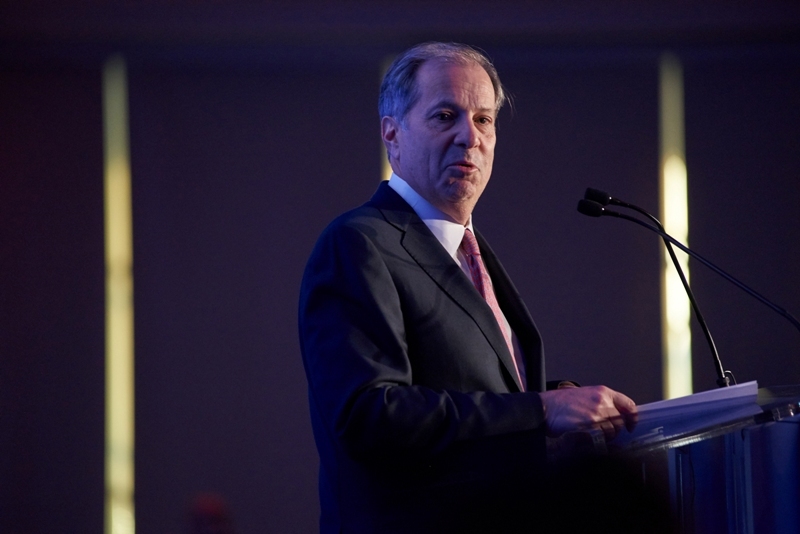 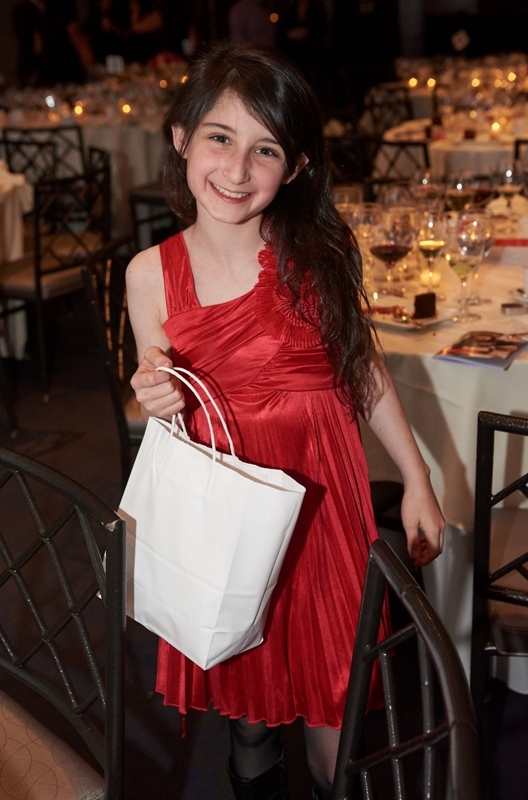 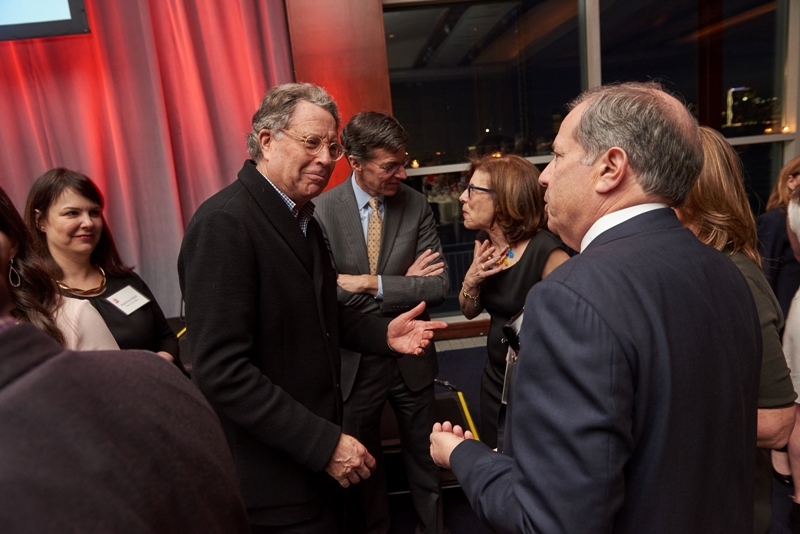 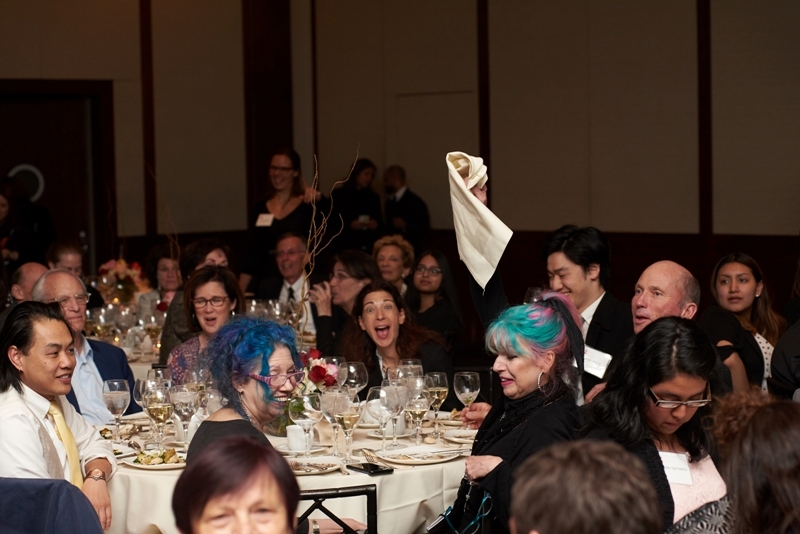 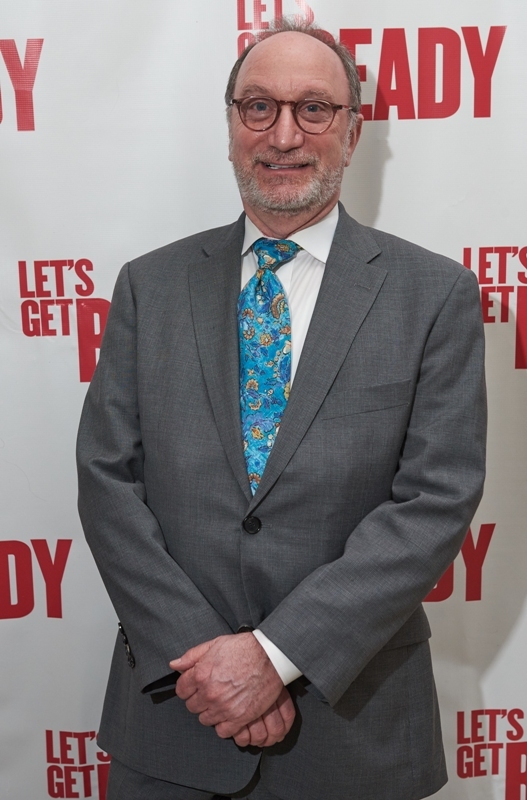 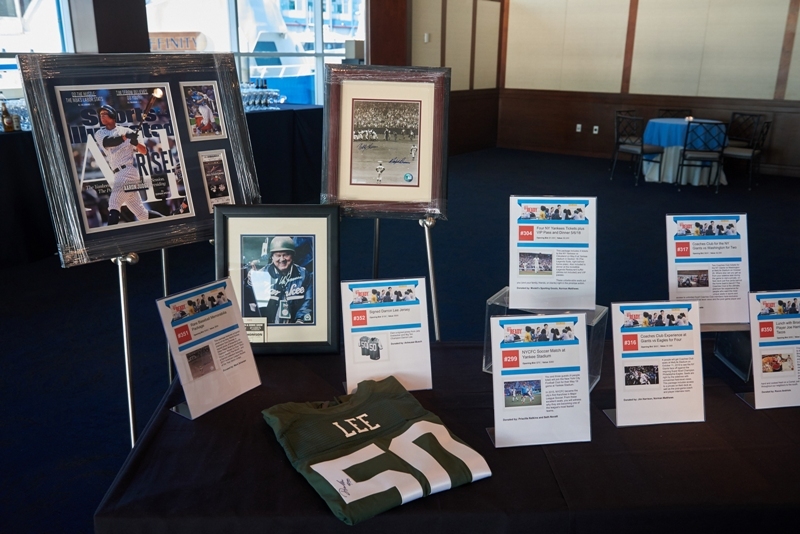 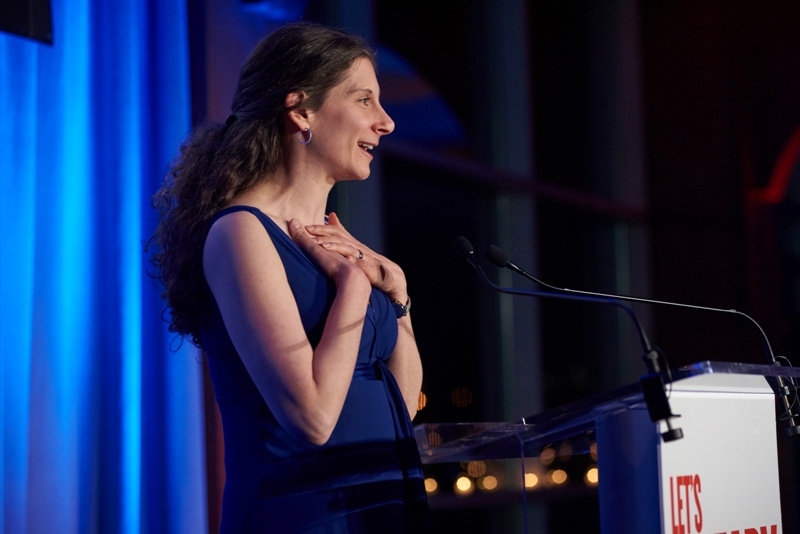 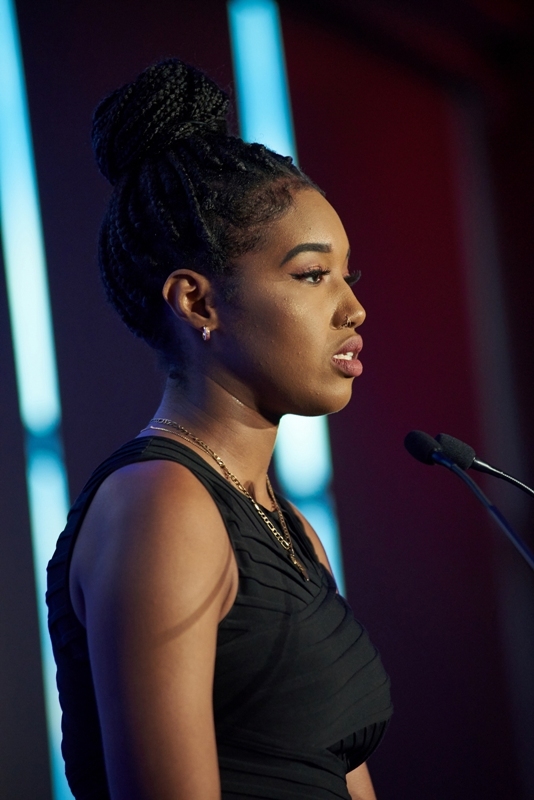 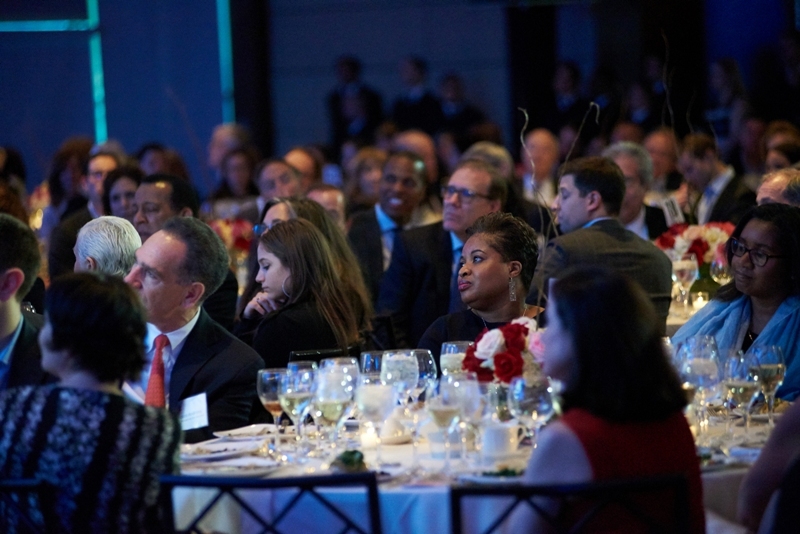 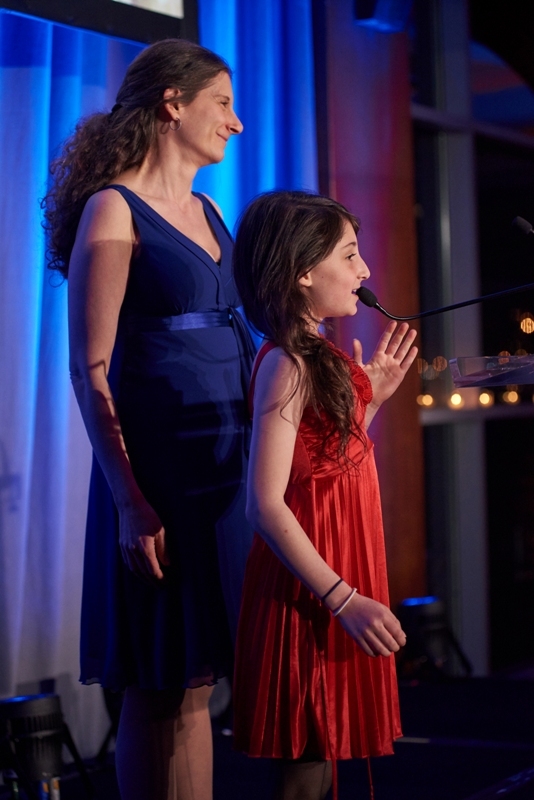 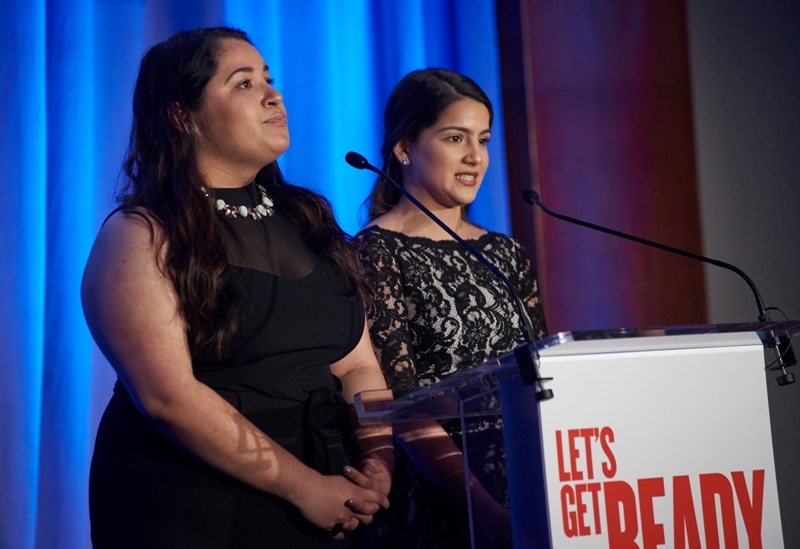 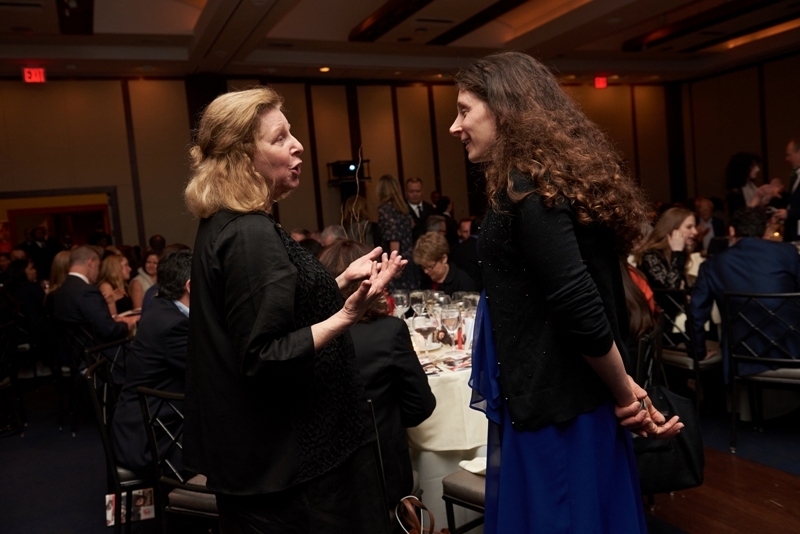 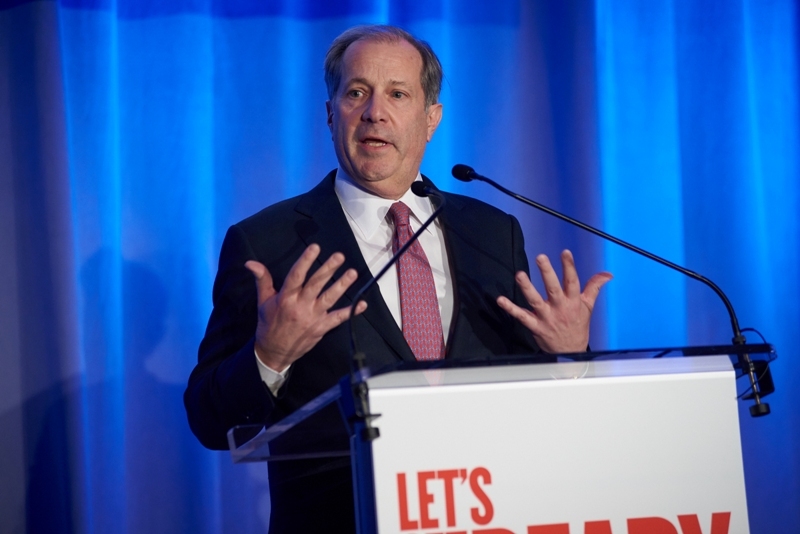 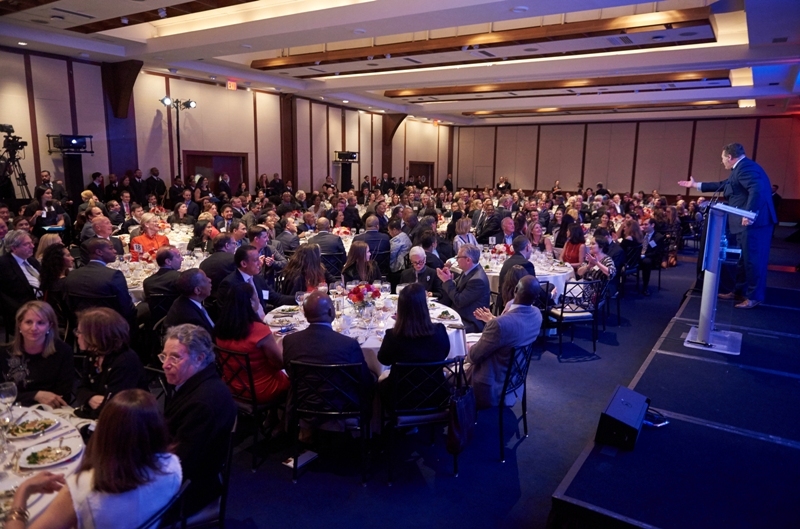 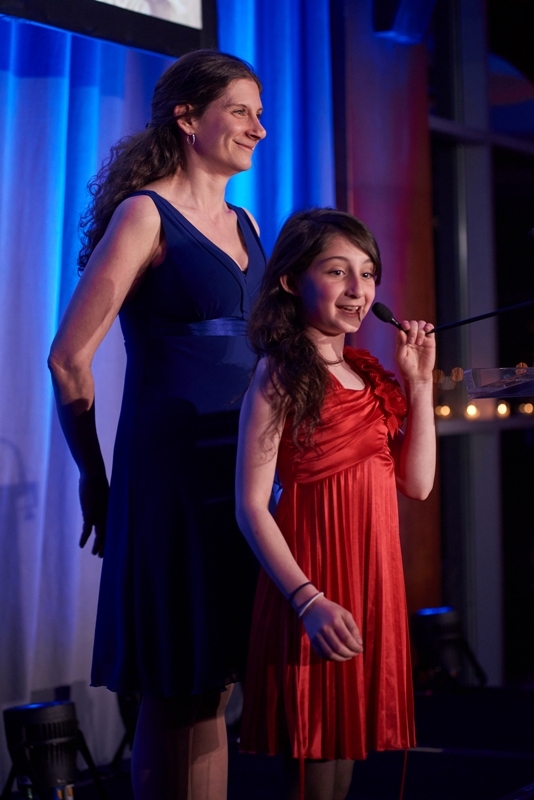 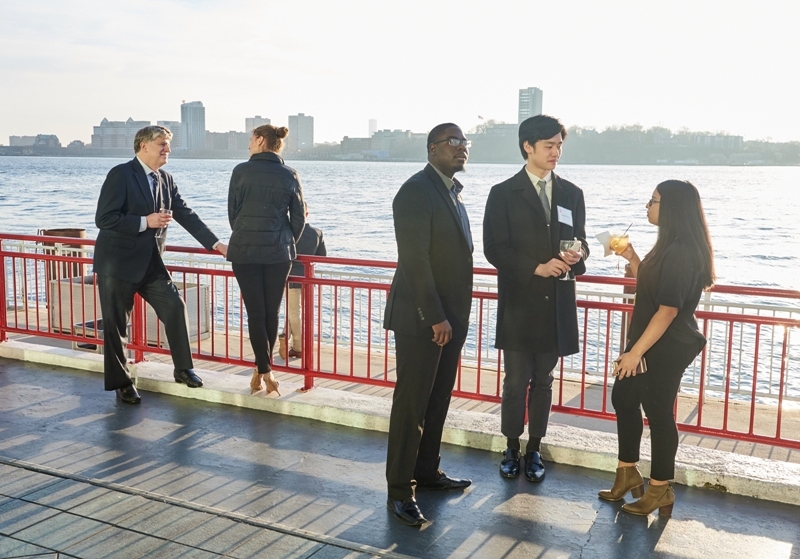 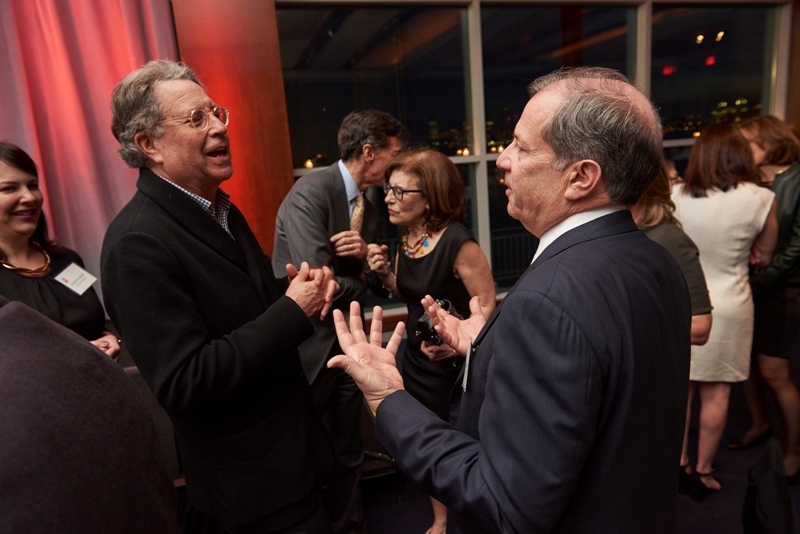 Let’s Get Ready’s 12th Annual Gala on April 23, 2018, held at Pier Sixty in New York City, highlighted students who are getting into and through college with the organization’s support, as well as dynamic honorees from the world of media and sports who are first-generation-to-college students themselves. 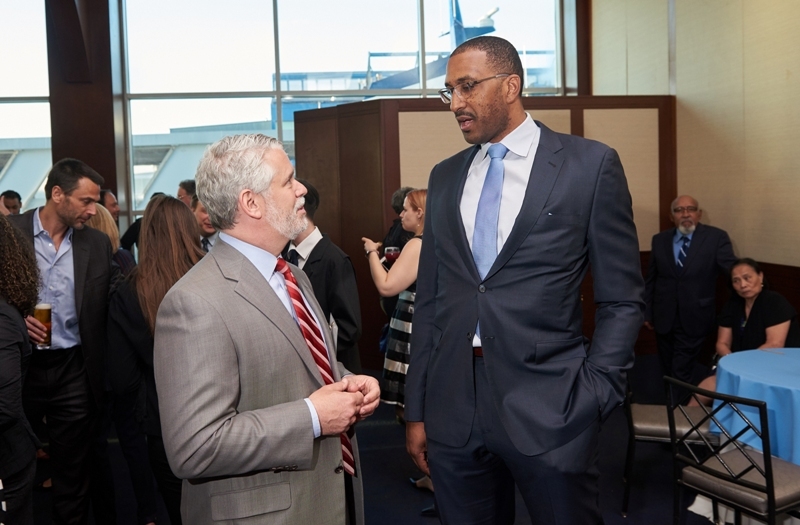 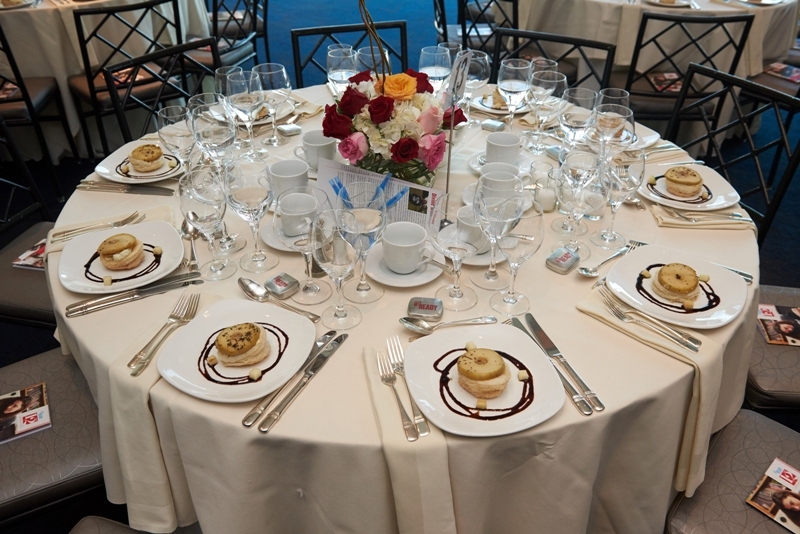 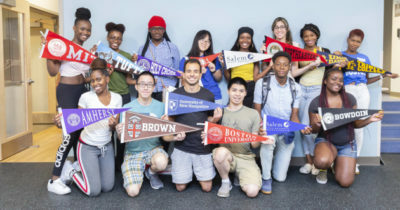 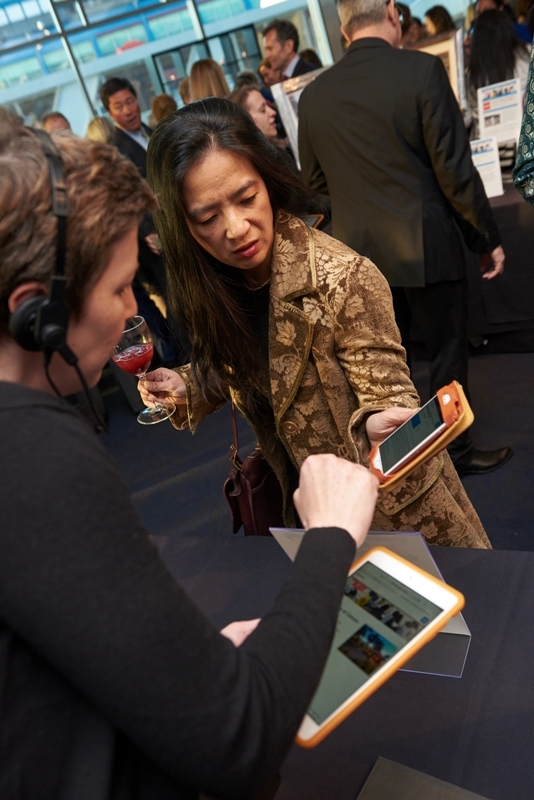 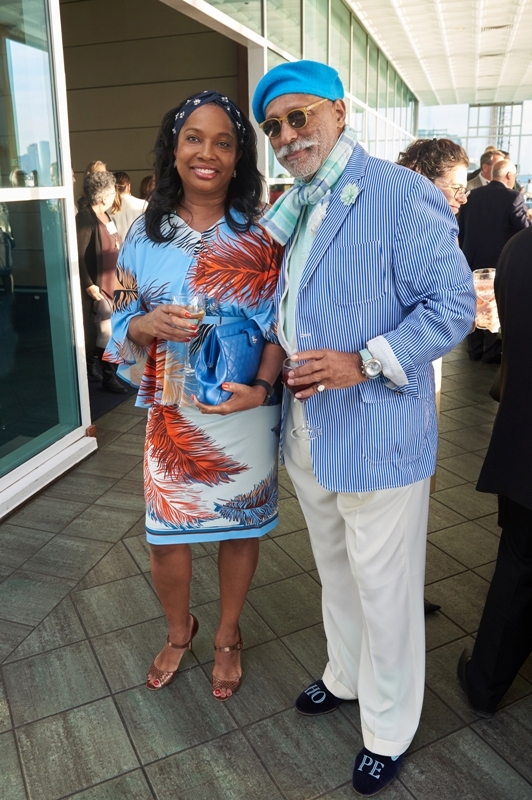 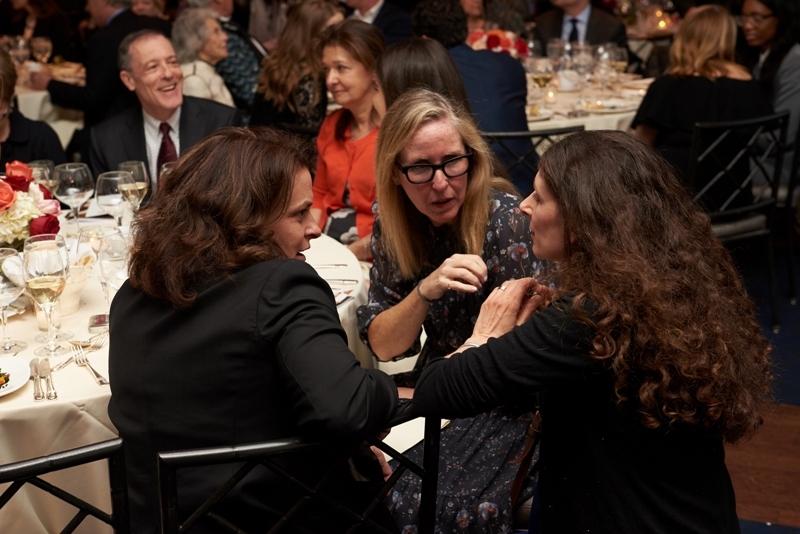 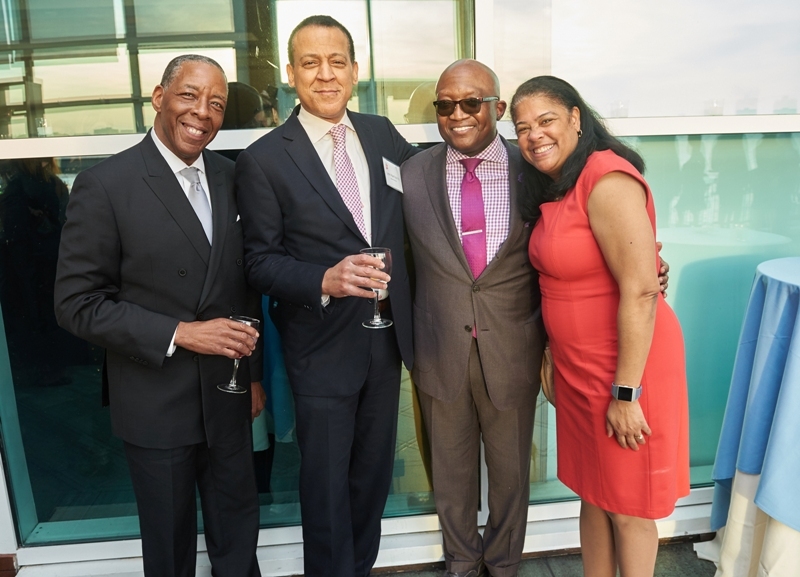 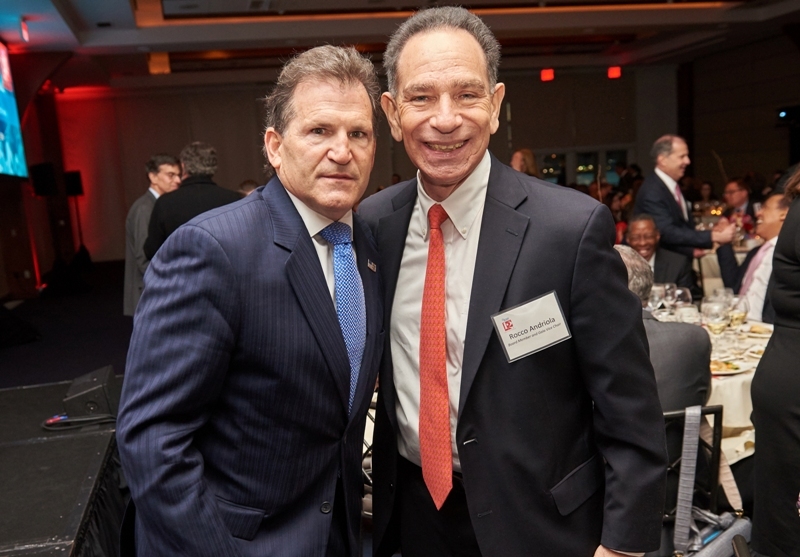 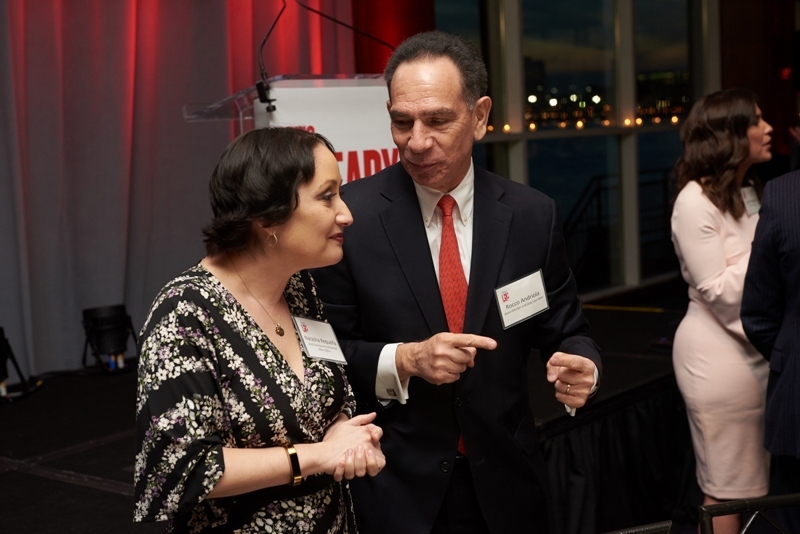 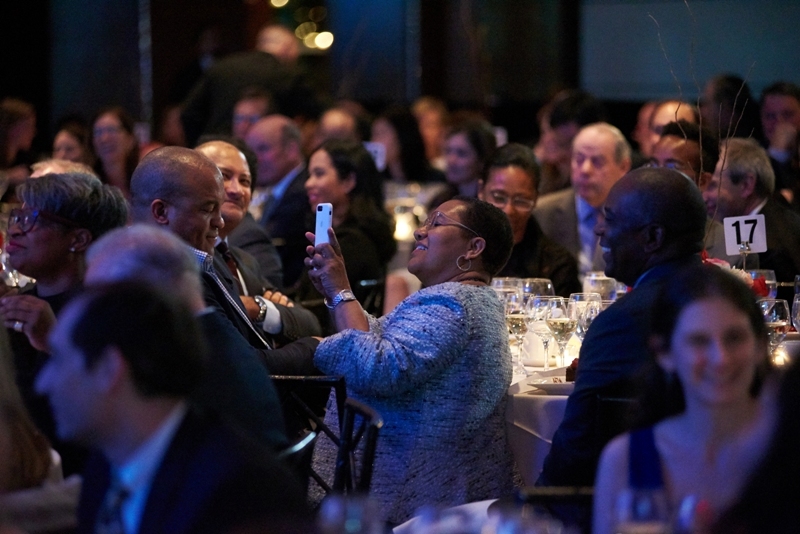 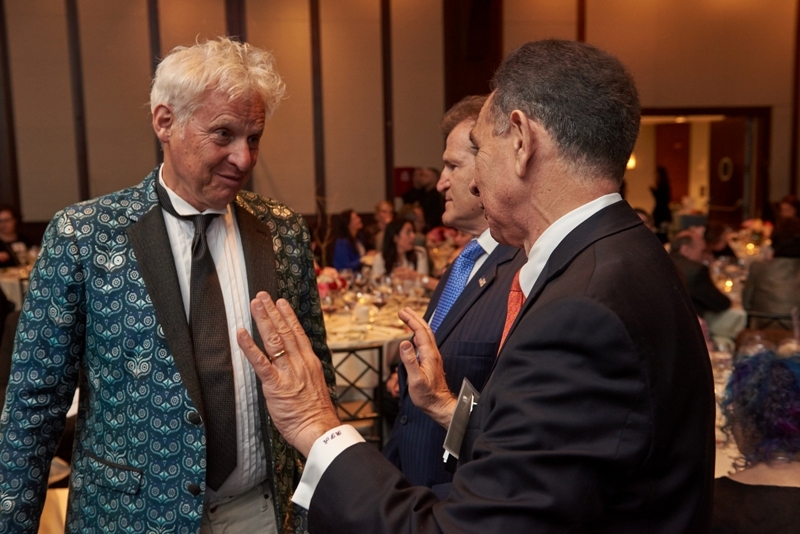 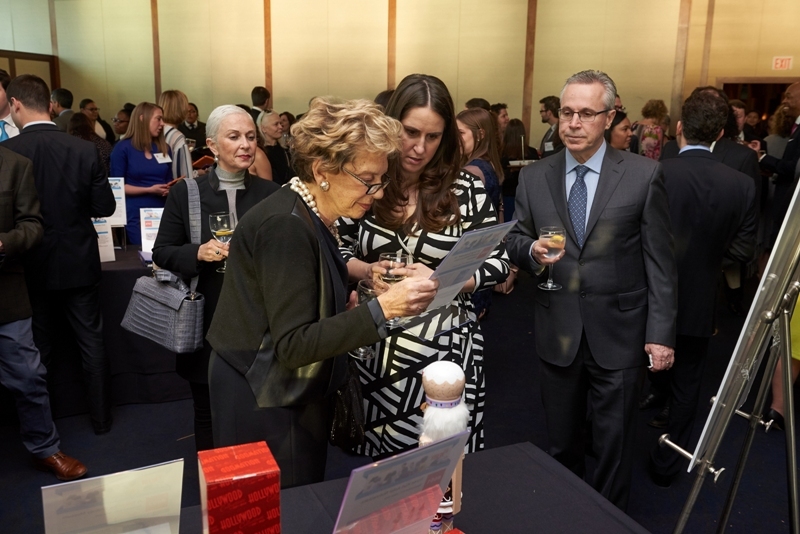 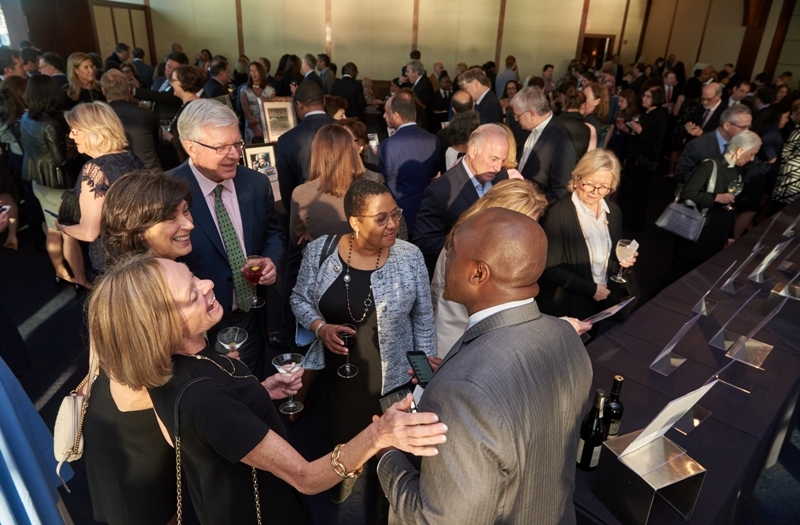 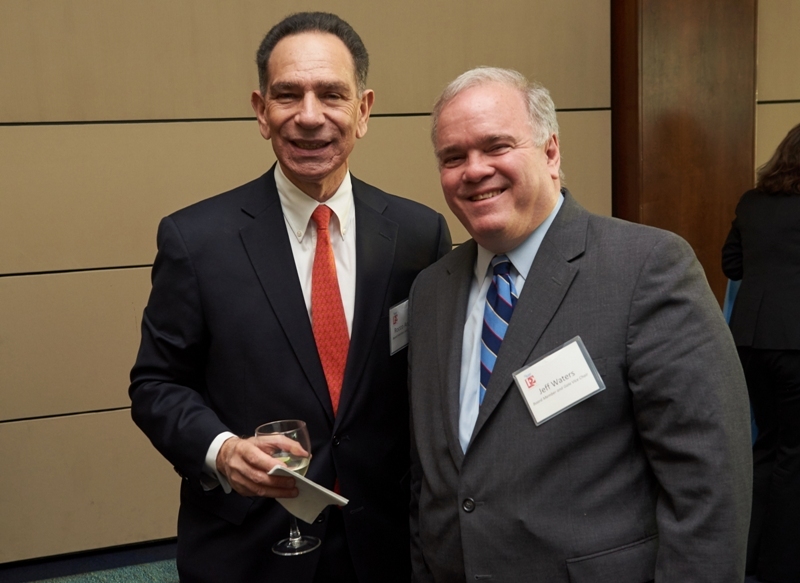 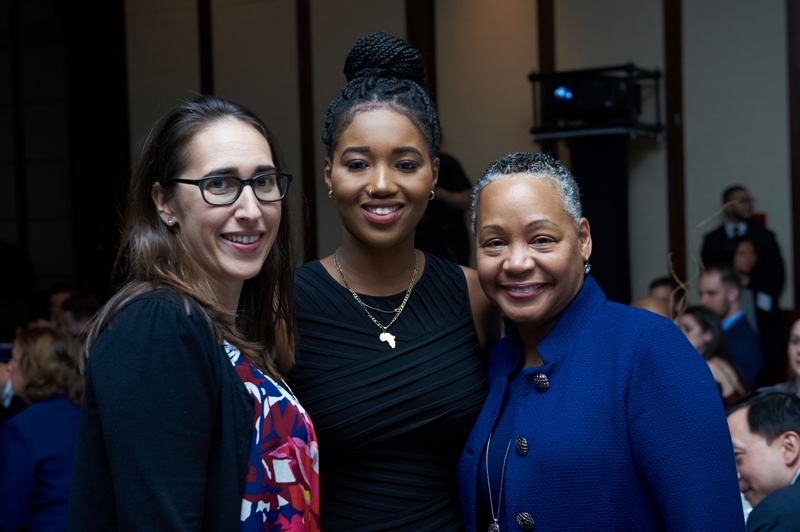 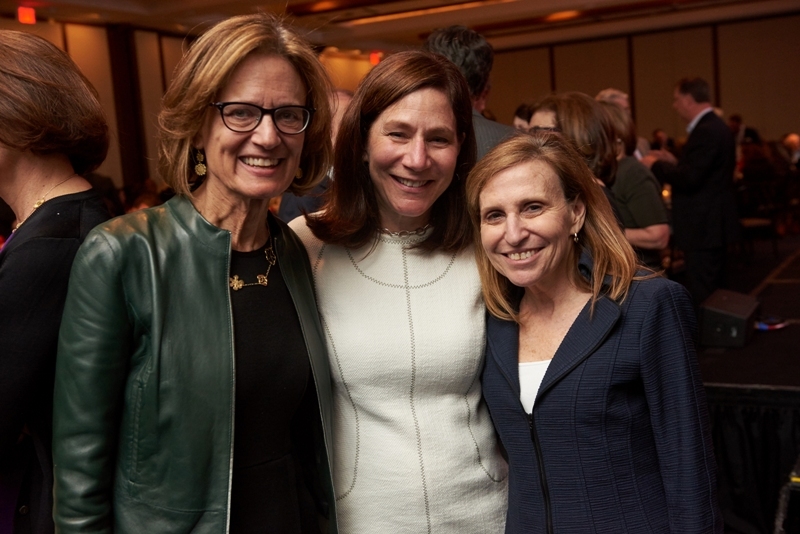 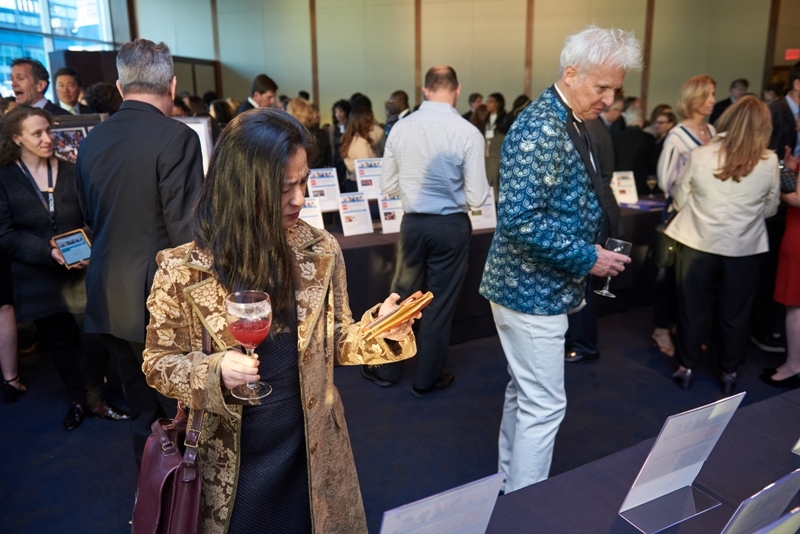 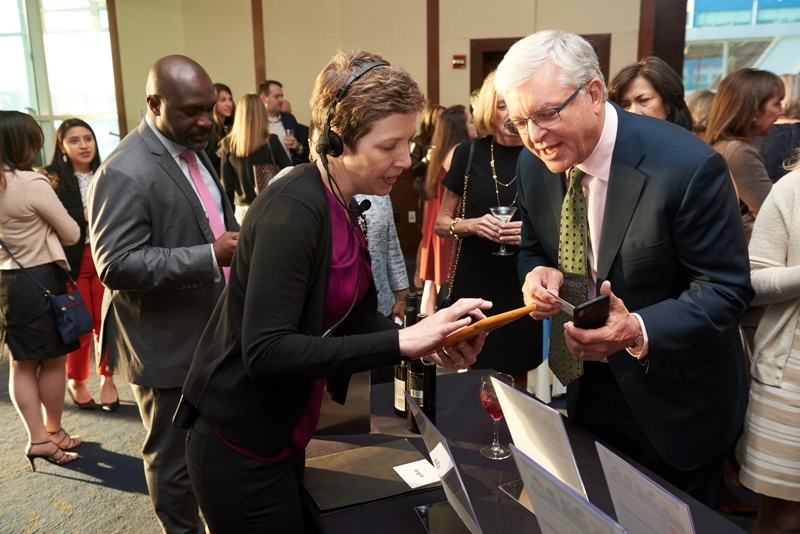 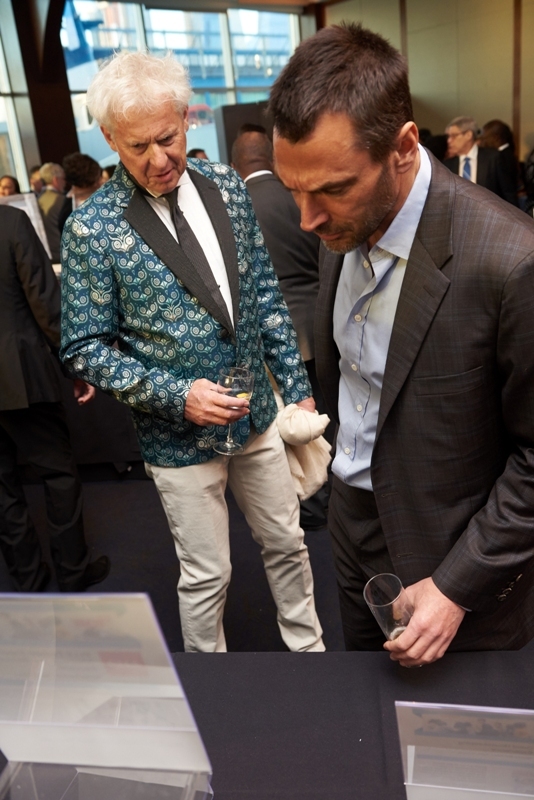 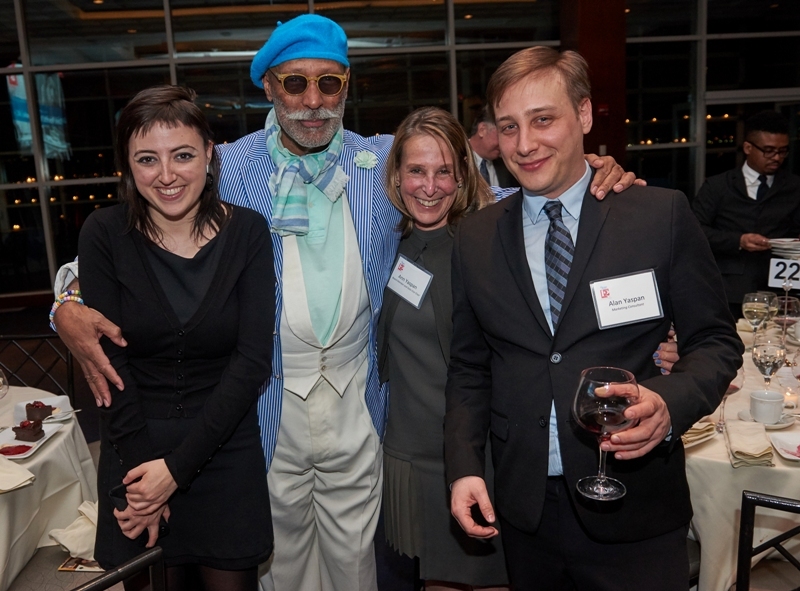 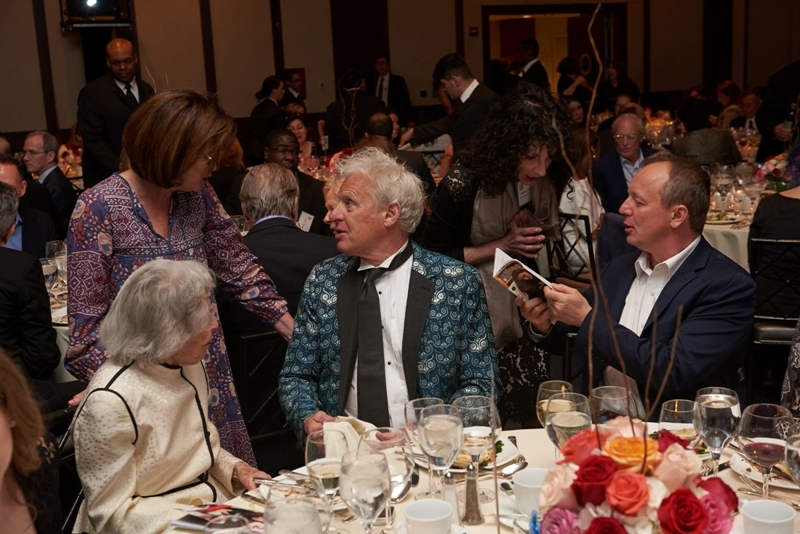 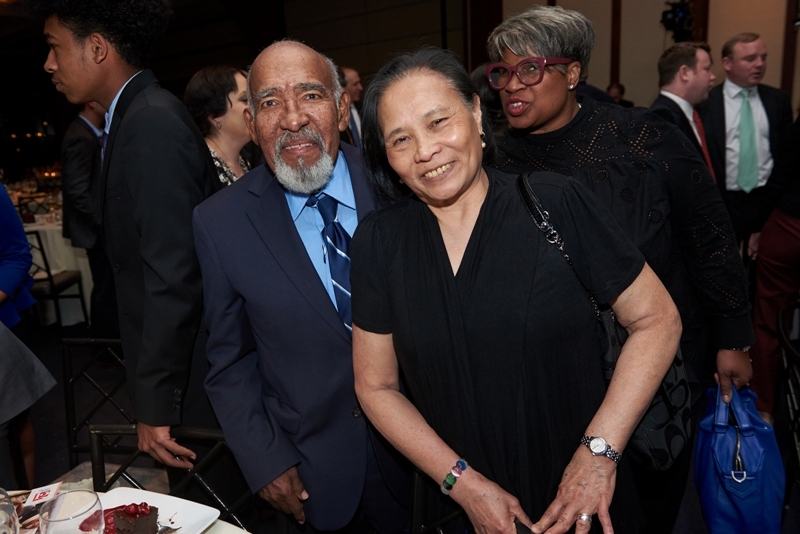 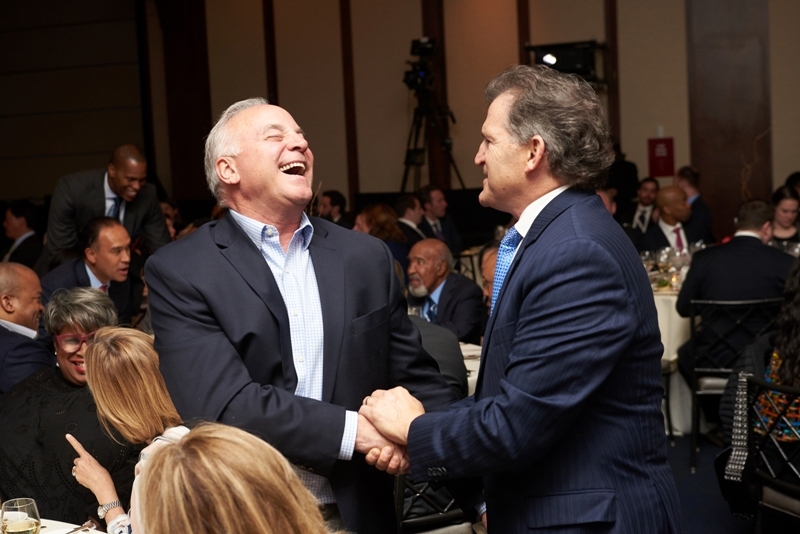 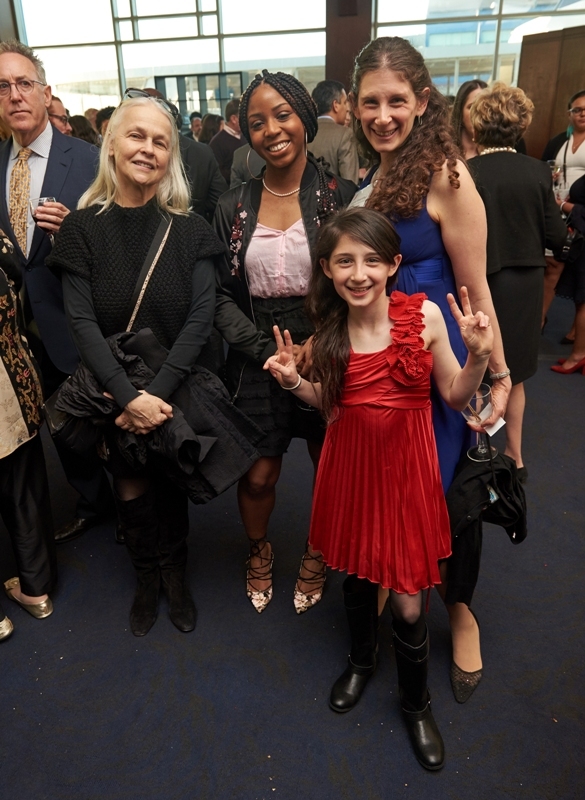 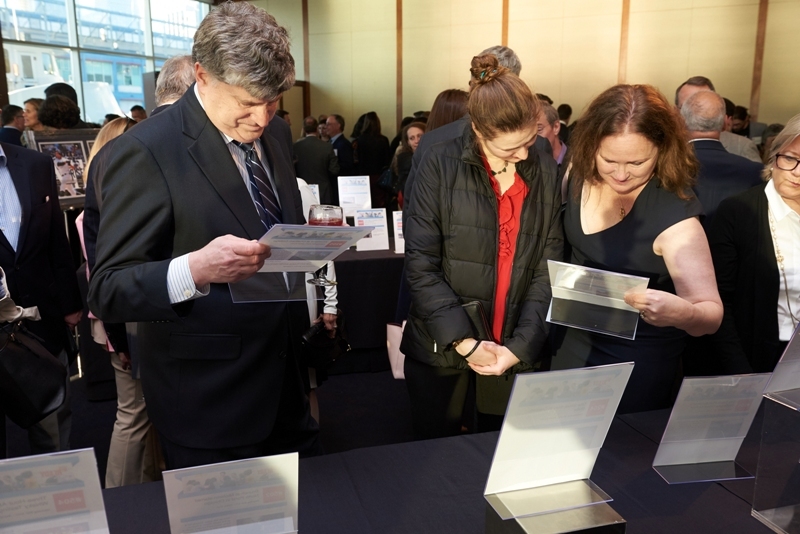 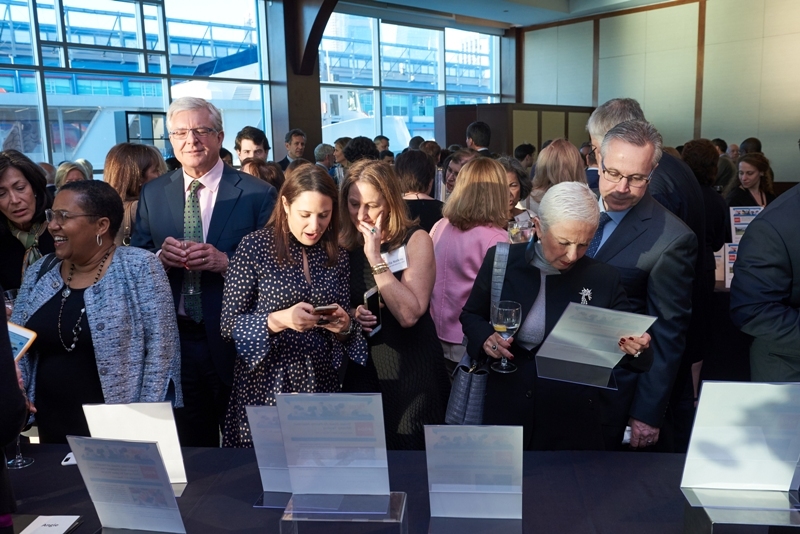 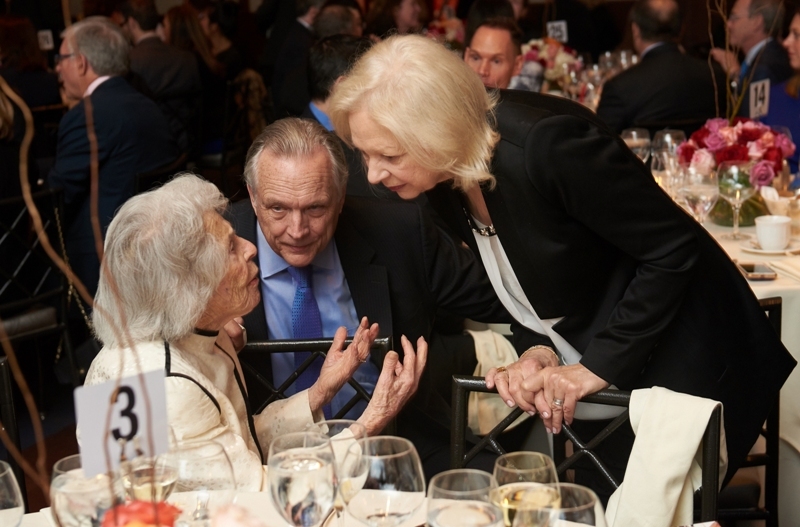 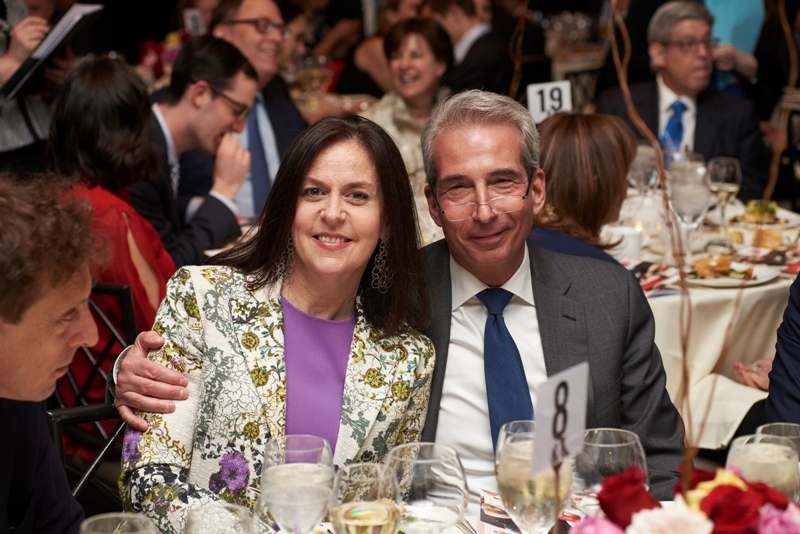 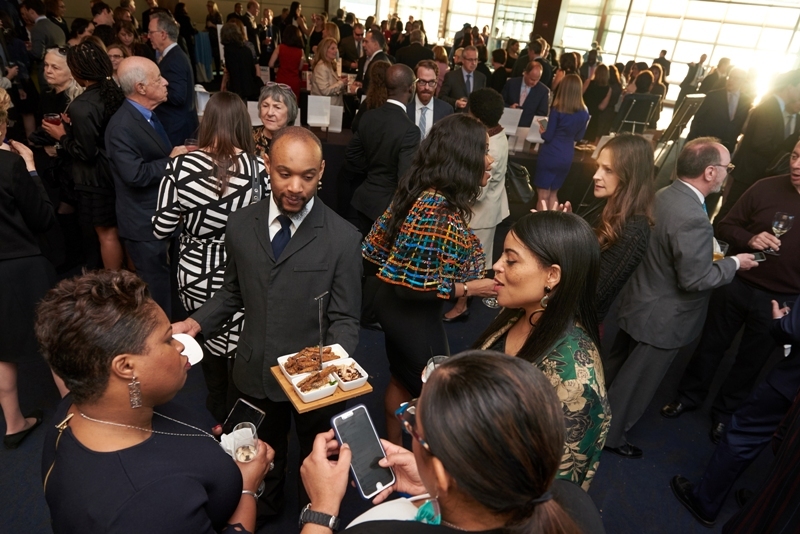 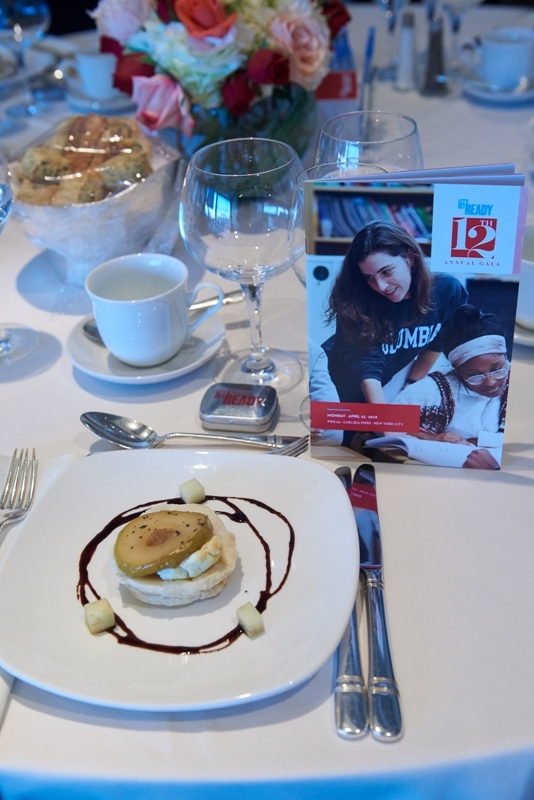 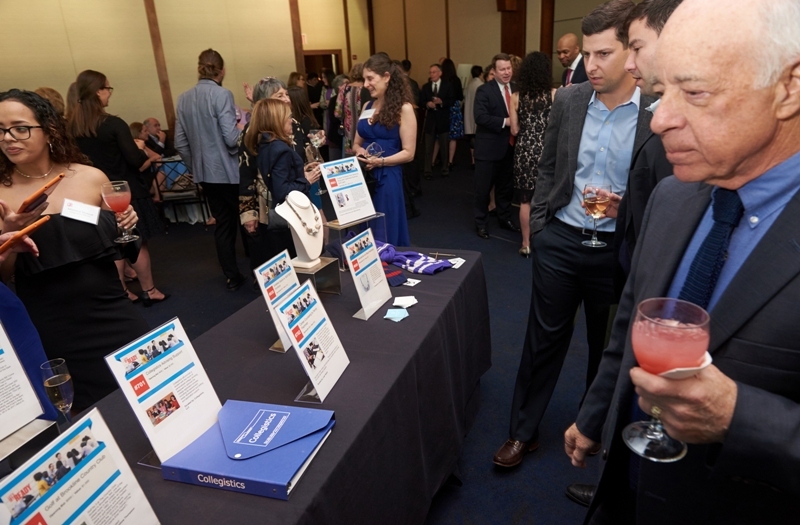 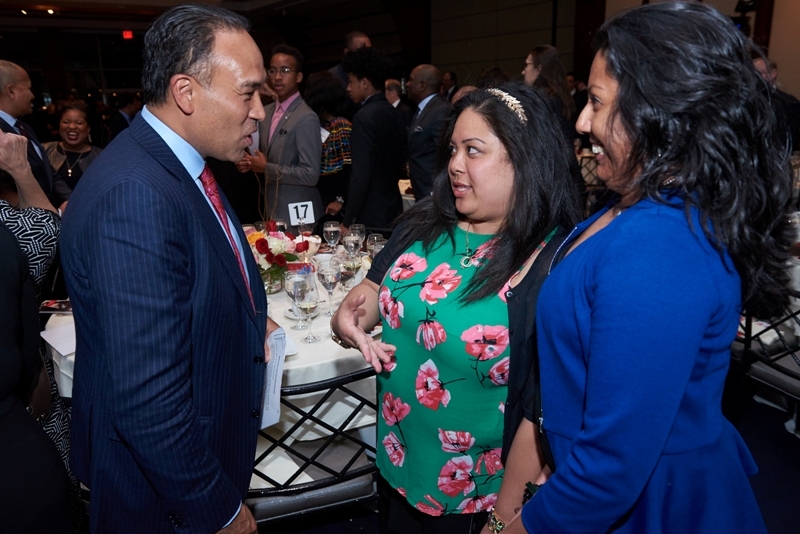 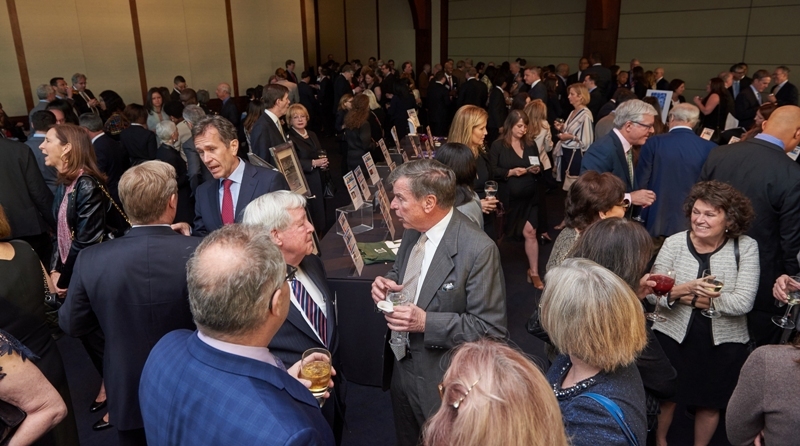 The event raised over $950,000 to support the nonprofit’s mission to help students from historically underrepresented backgrounds get into and graduate from well-matched schools. 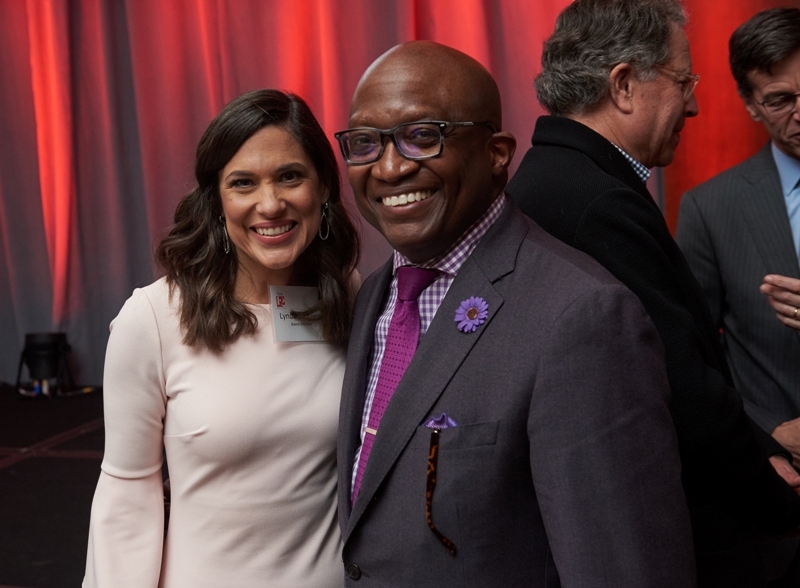 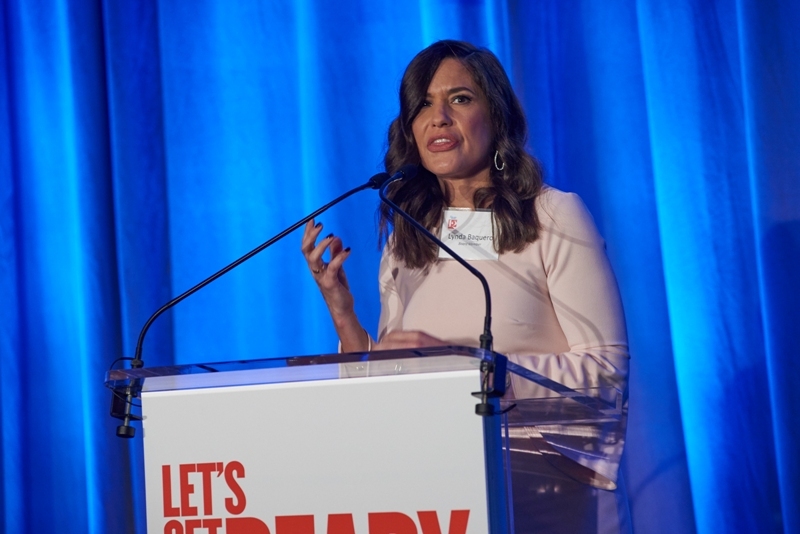 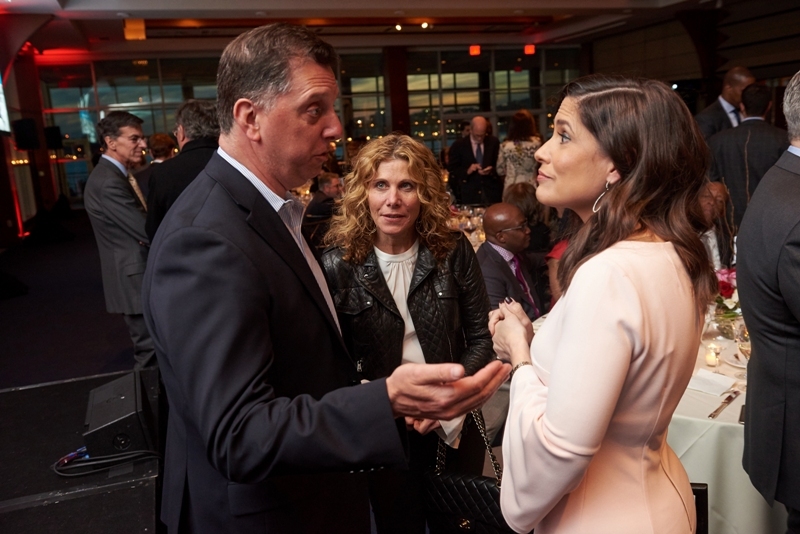 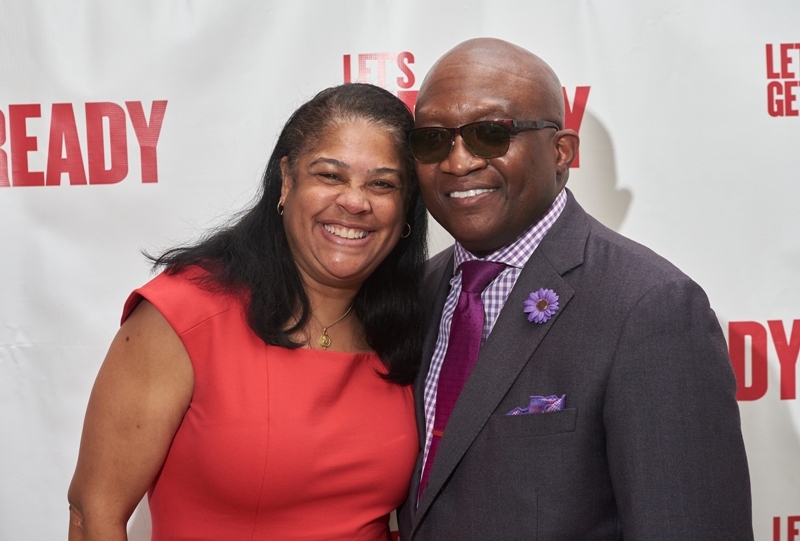 Lynda Baquero, WNBC New York City correspondent and Let’s Get Ready Board member, emceed the event, which opened with Board Chair Gary Matthews. 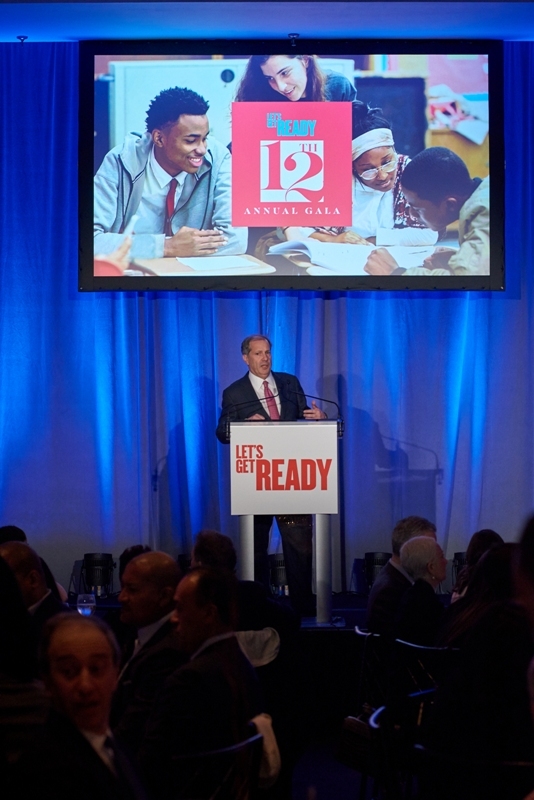 “We’re helping young people get into college, stay in college and eventually graduate,” Matthews told the audience. 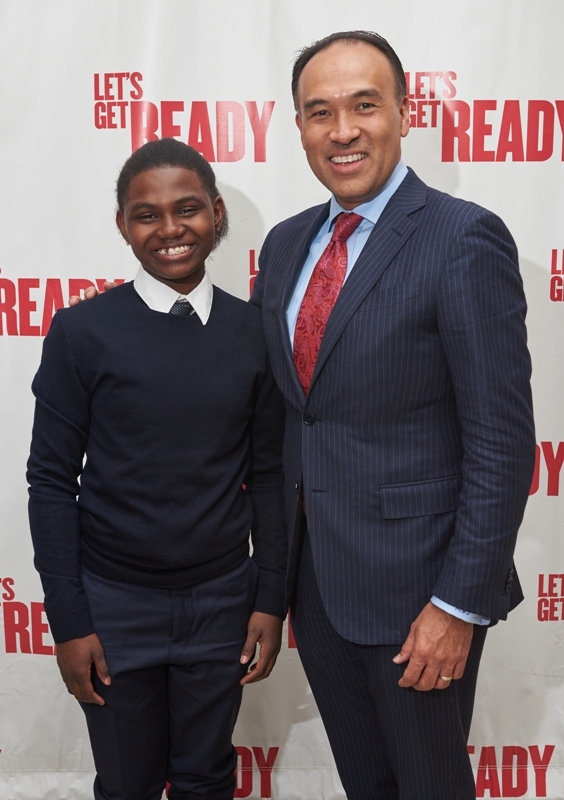 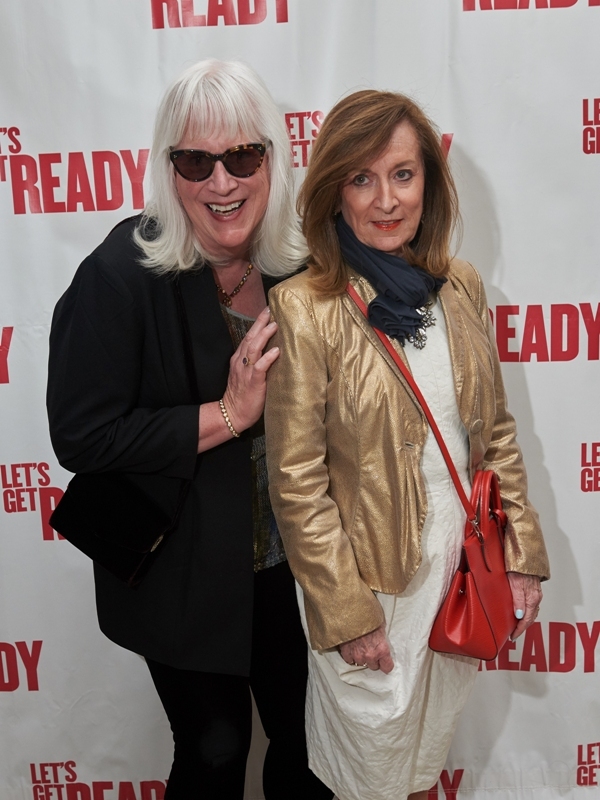 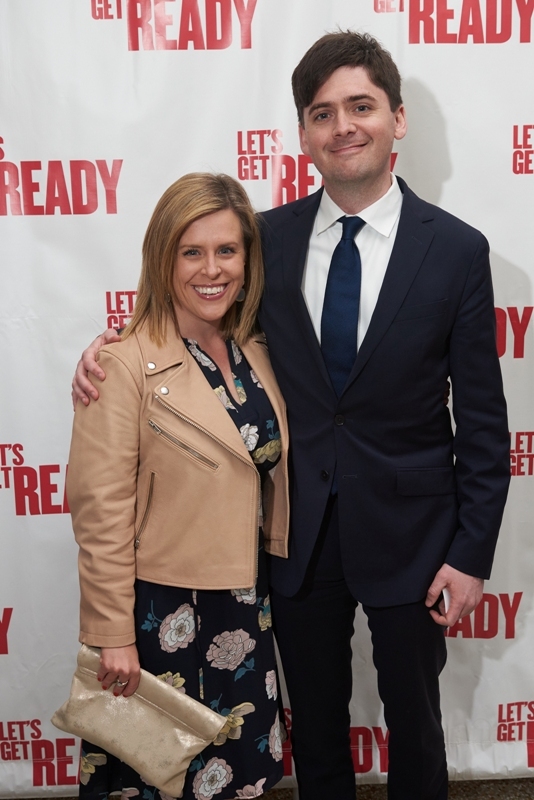 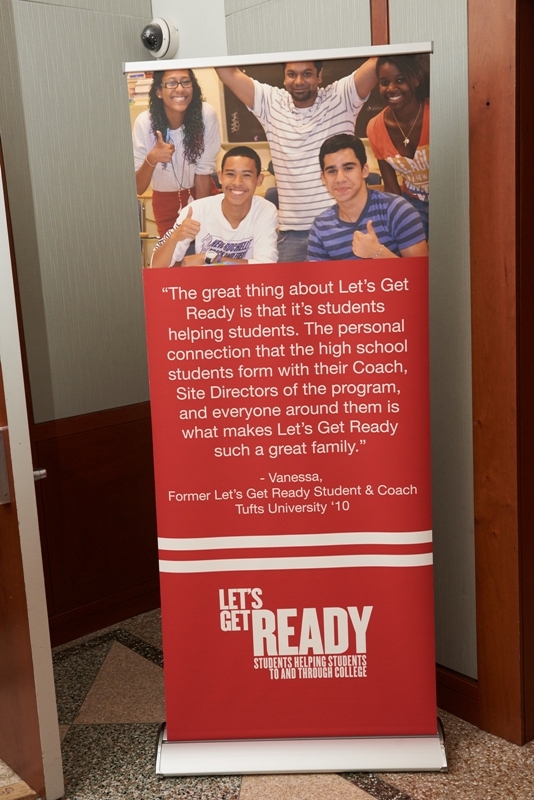 “What’s equally remarkable is that we’re doing this at a cost that is one of the lowest in the country of any program like this.” The full range of Let’s Get Ready’s services, starting from junior year of high school up through college graduation, costs just $1,000 per student. 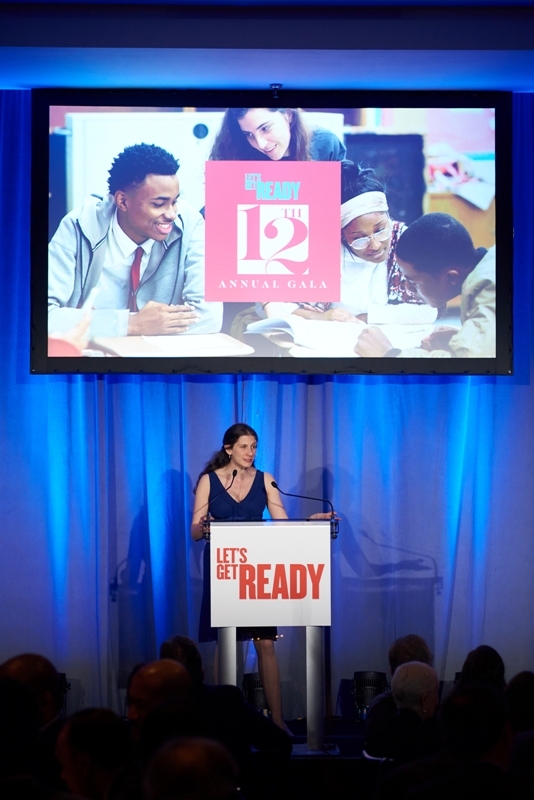 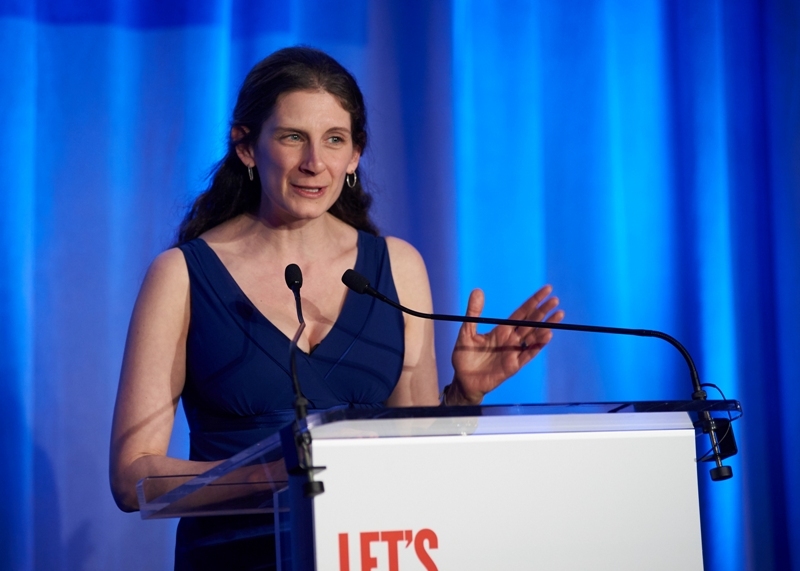 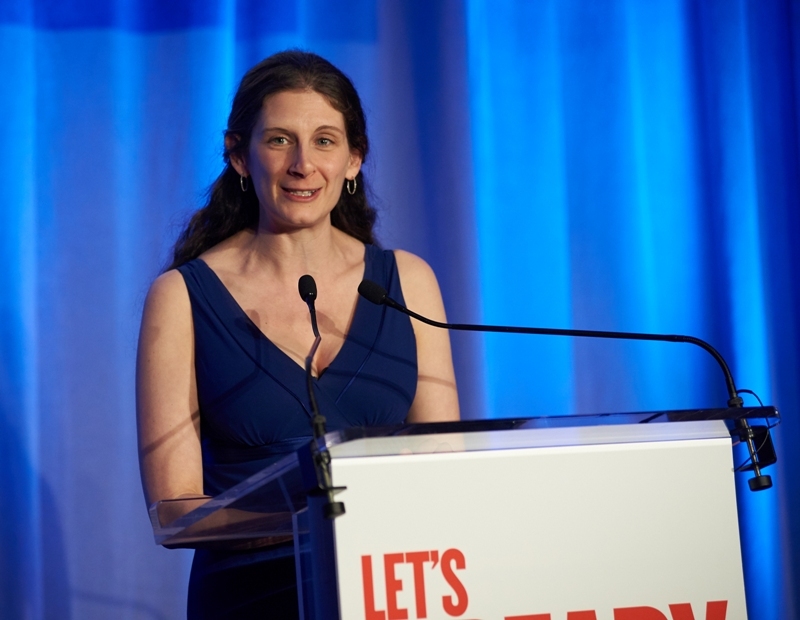 Following Matthews, Let’s Get Ready’s CEO Kathrine Mott took the podium to provide some key background on the organization’s twenty years serving more than 33,000students. 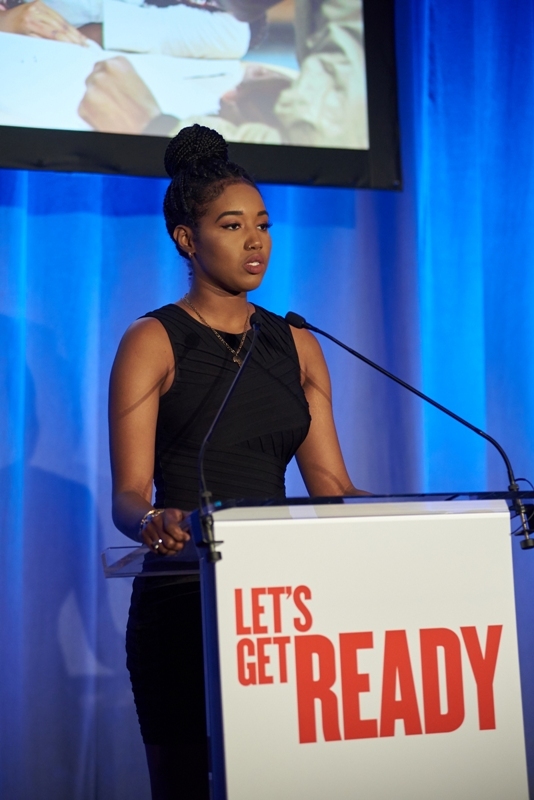 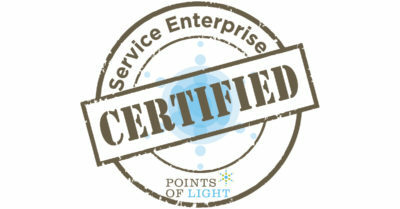 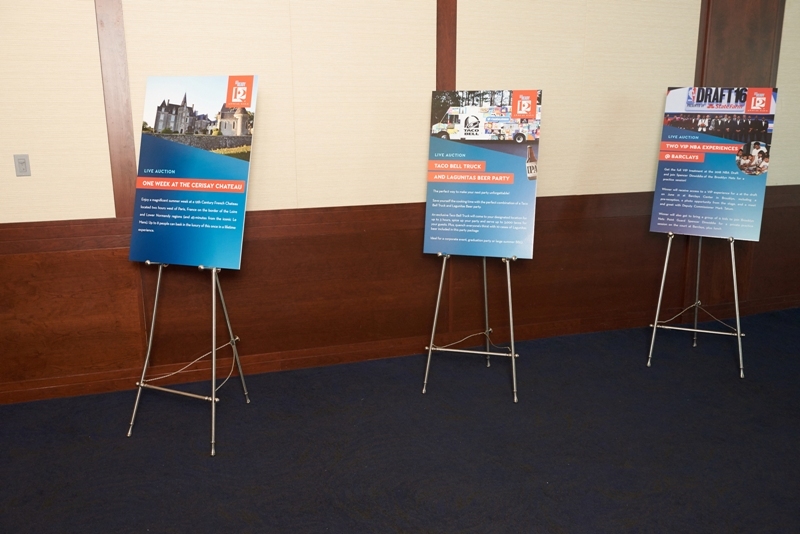 She reiterated that students are not screened out, and that the nonprofit serves small as well as urban communities. 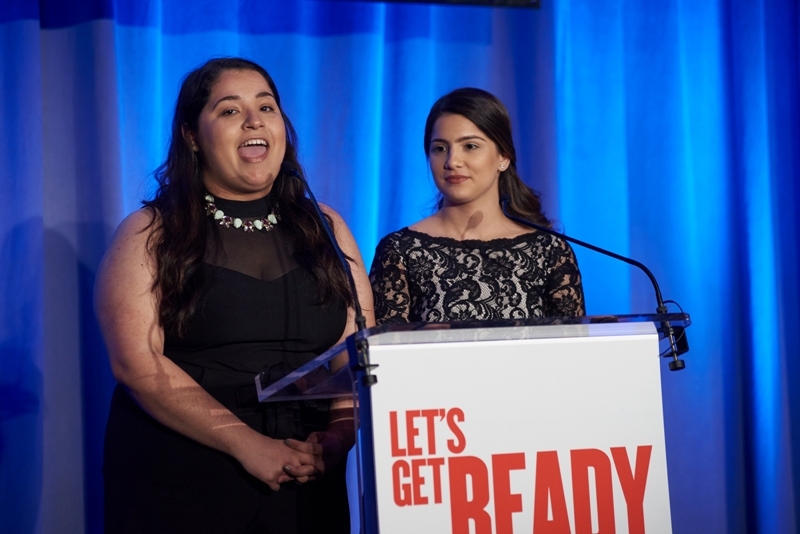 Mott then introduced Let’s Get Ready alumni Andrea Magaña and Yessenia Lopez, currently seniors at Lehman College (City University of New York). 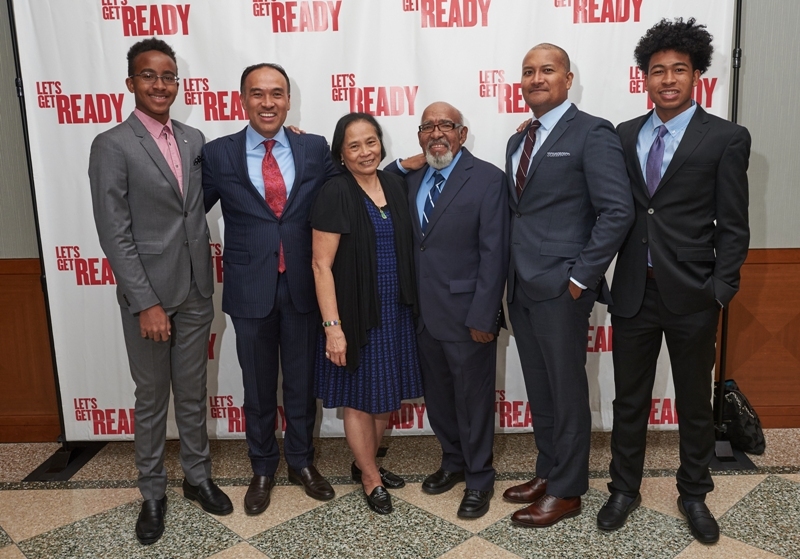 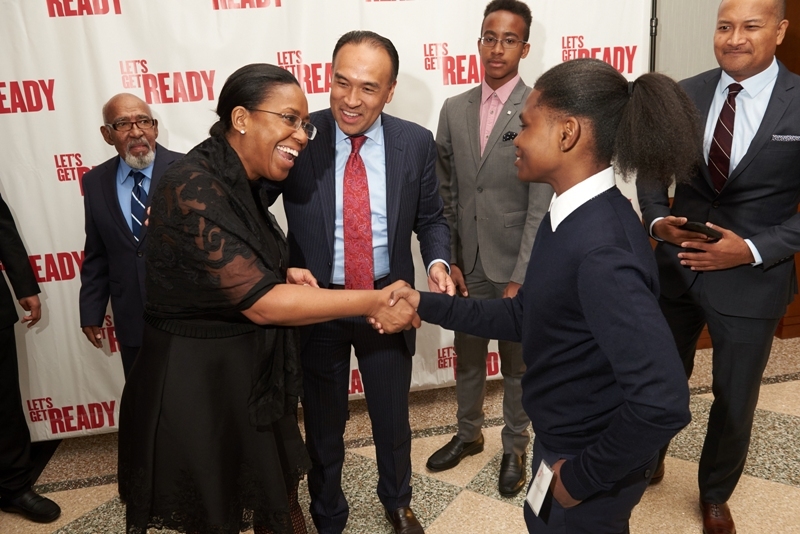 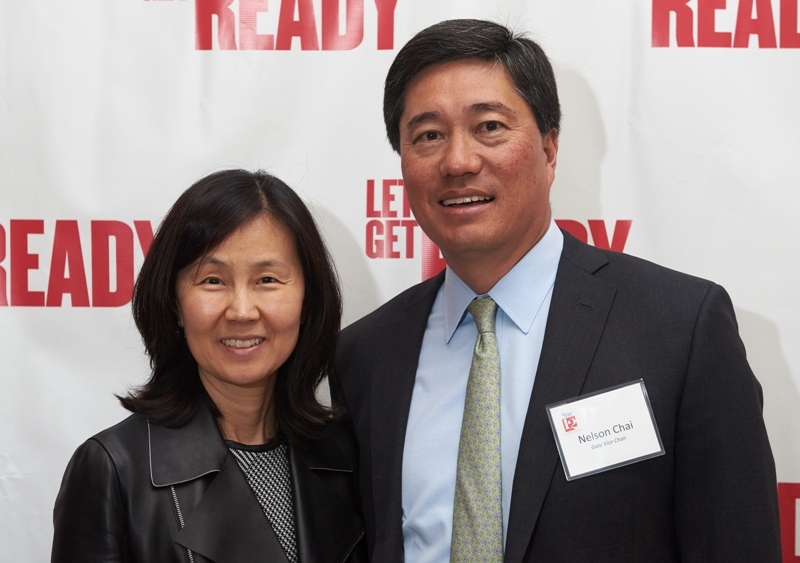 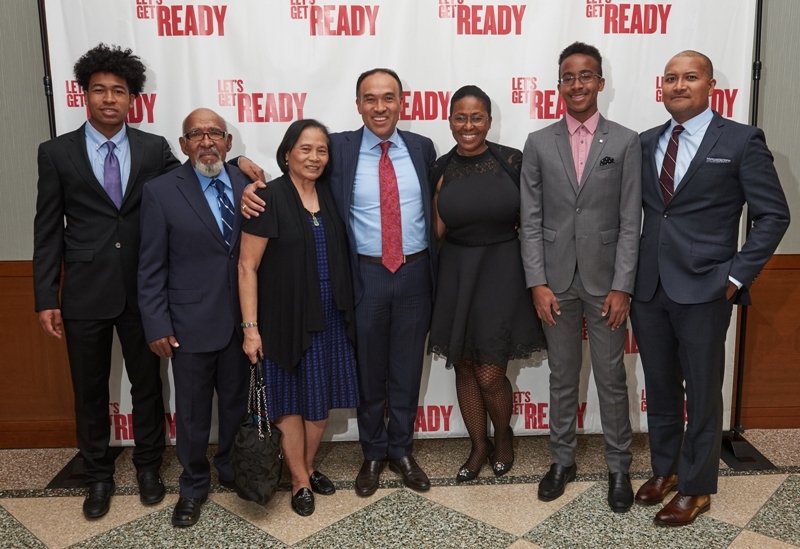 As high school students they received free SAT prep and mentoring through Let’s Get Ready. 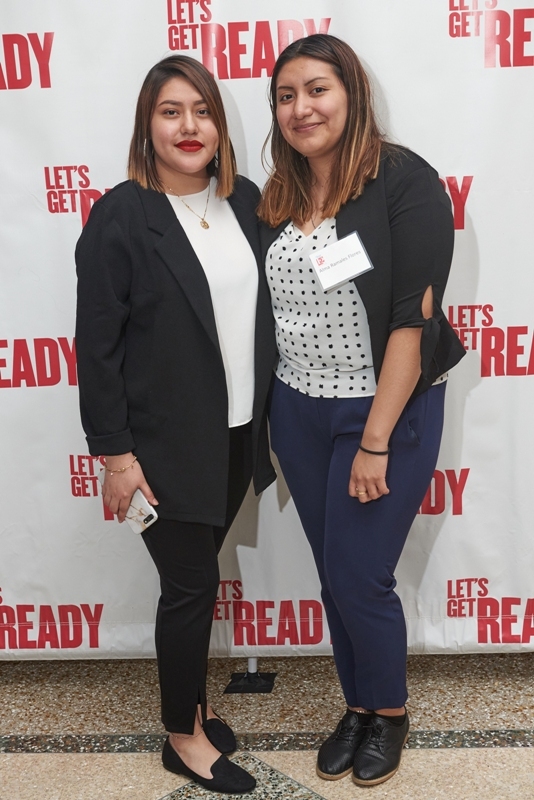 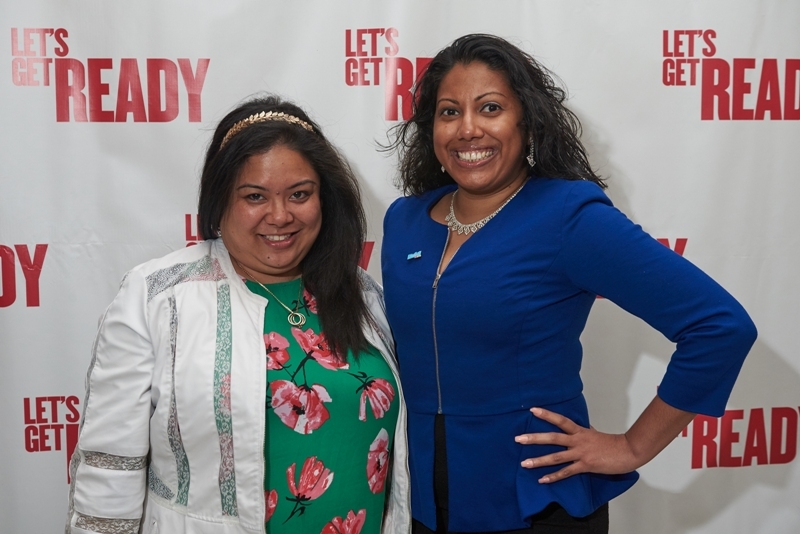 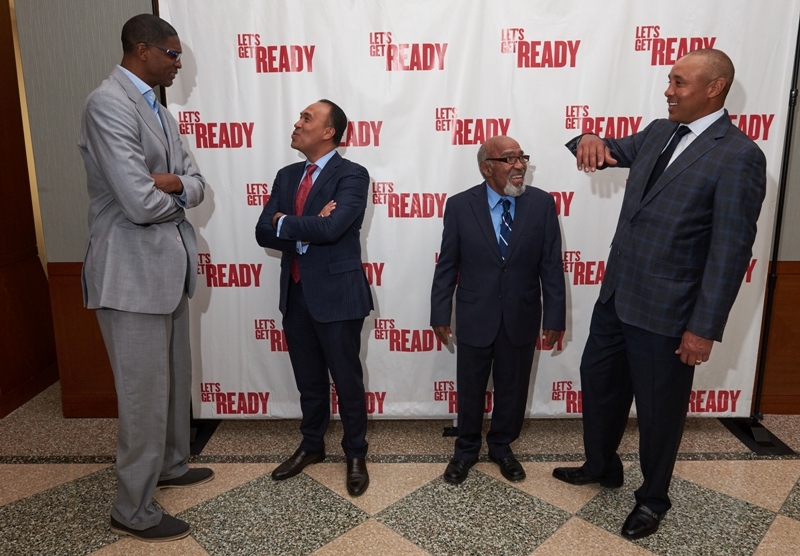 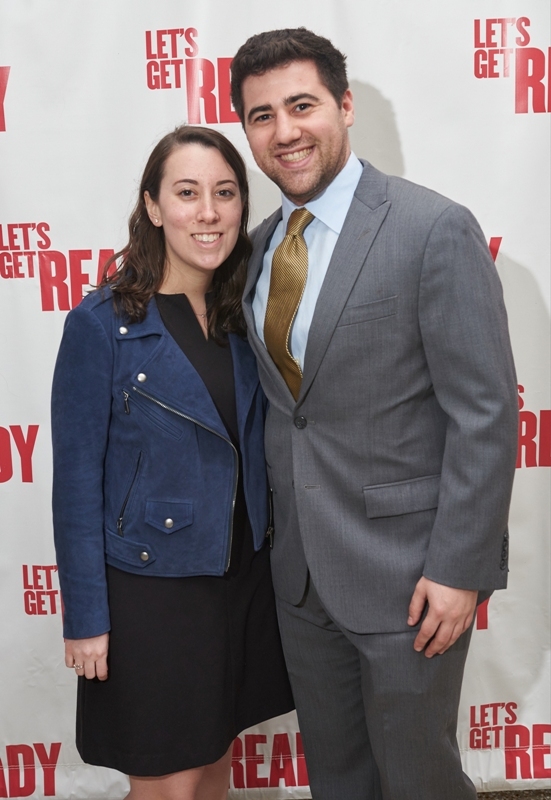 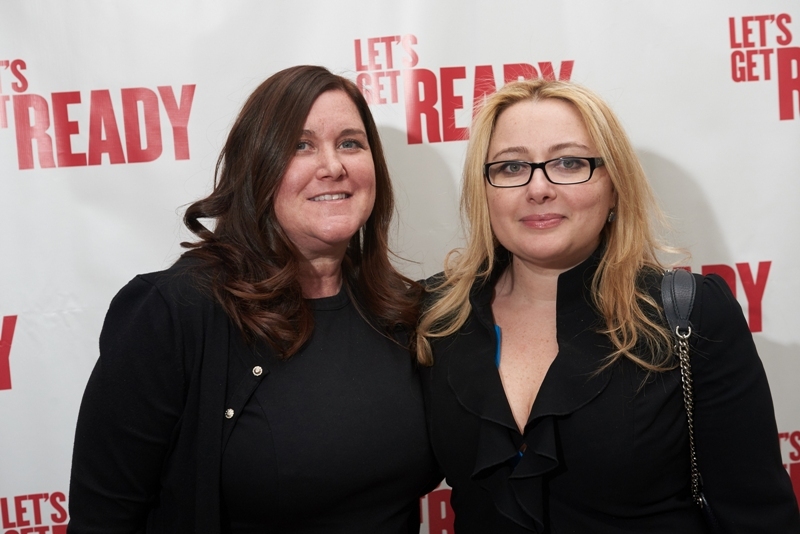 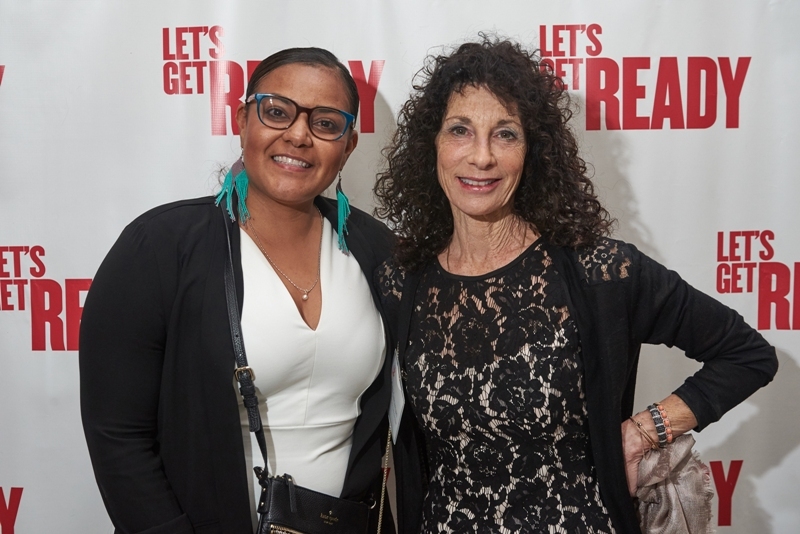 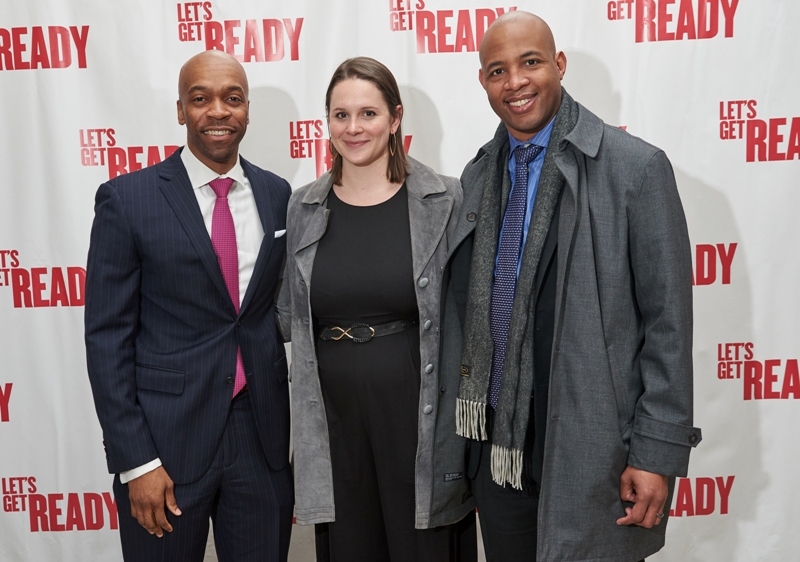 When they signed up to serve as Coaches at Let’s Get Ready’s New Rochelle site, they formed a bond around a passion for mentoring their peers. 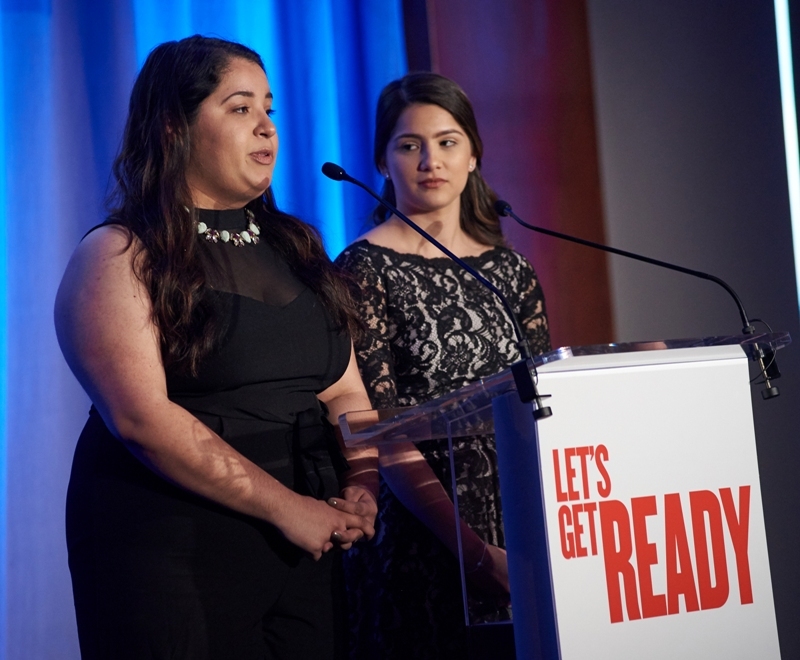 They will be graduating from Lehman with honors in May before joining Teach For America this summer. 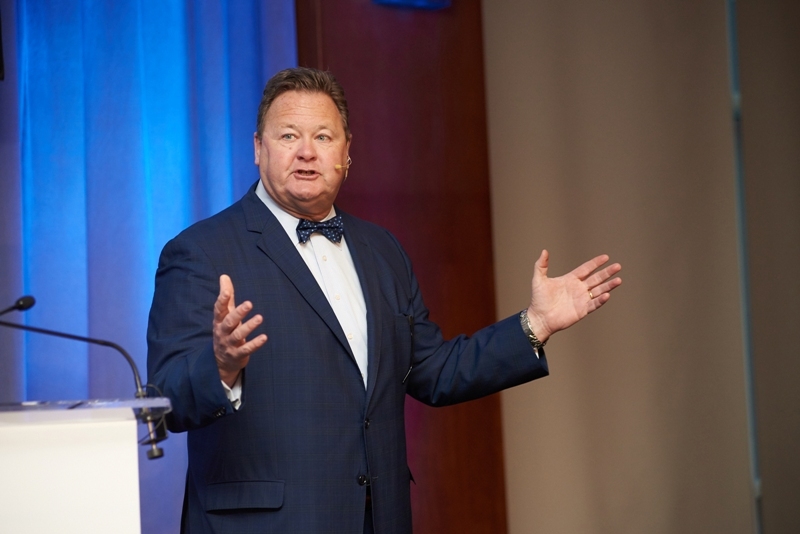 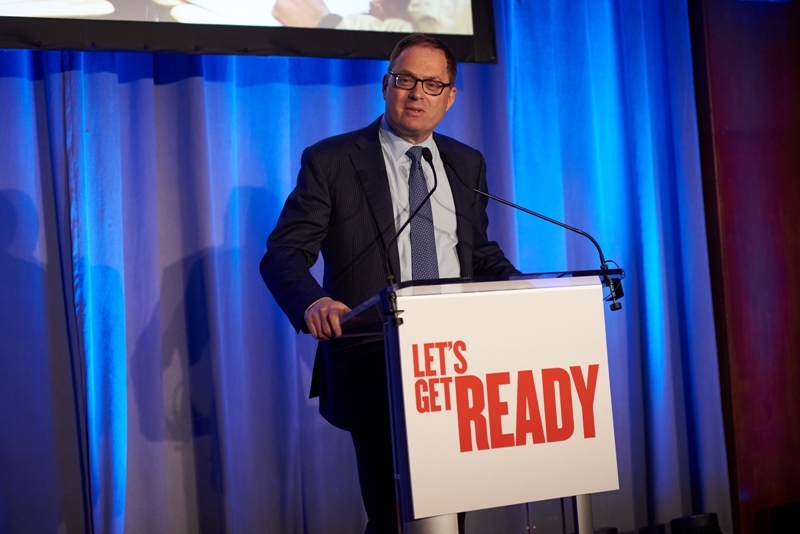 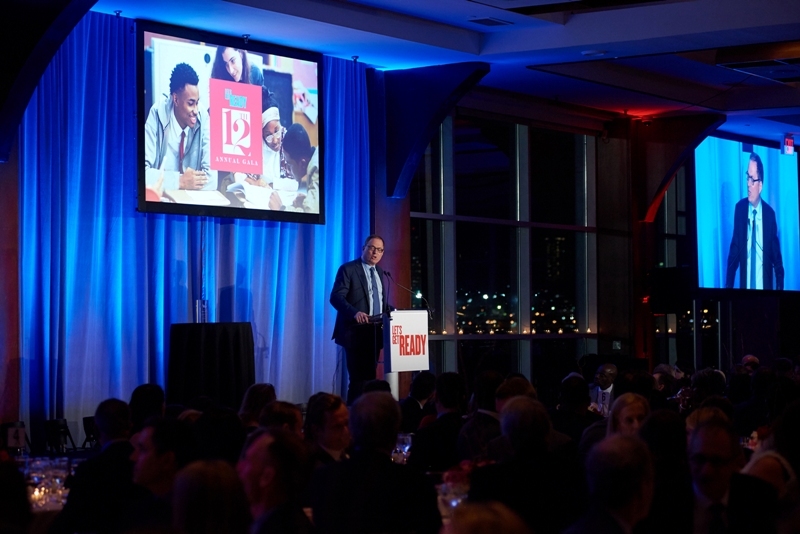 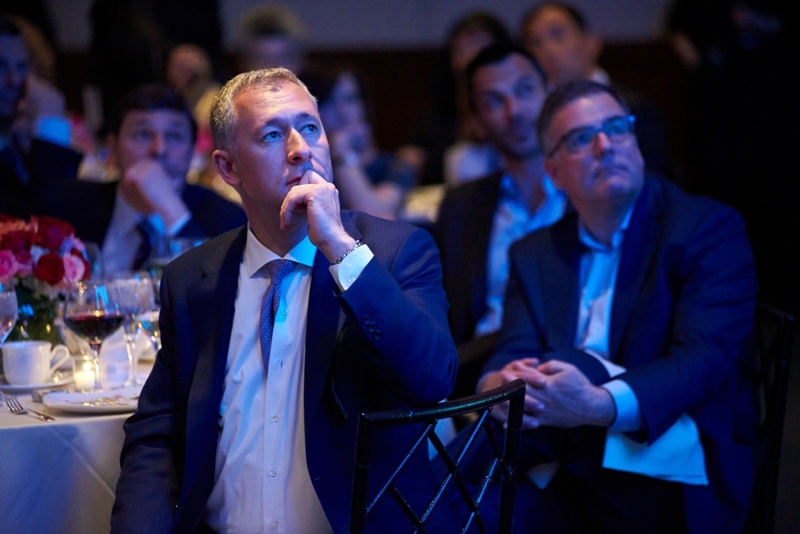 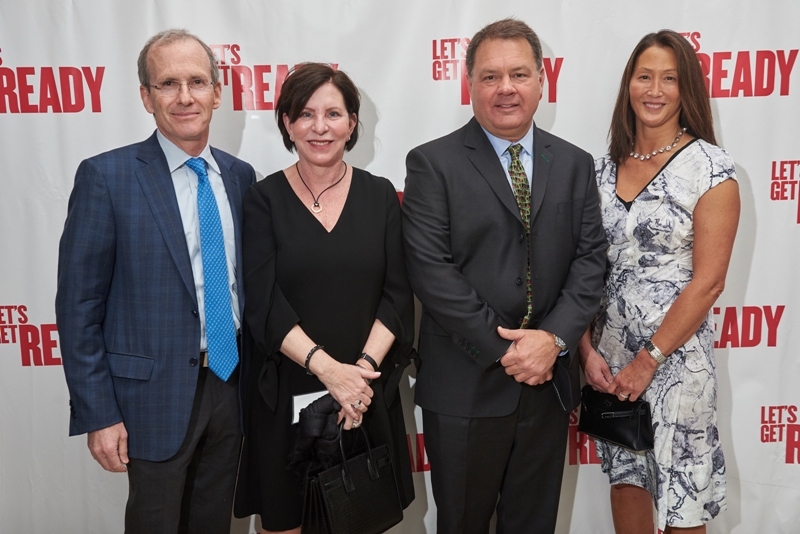 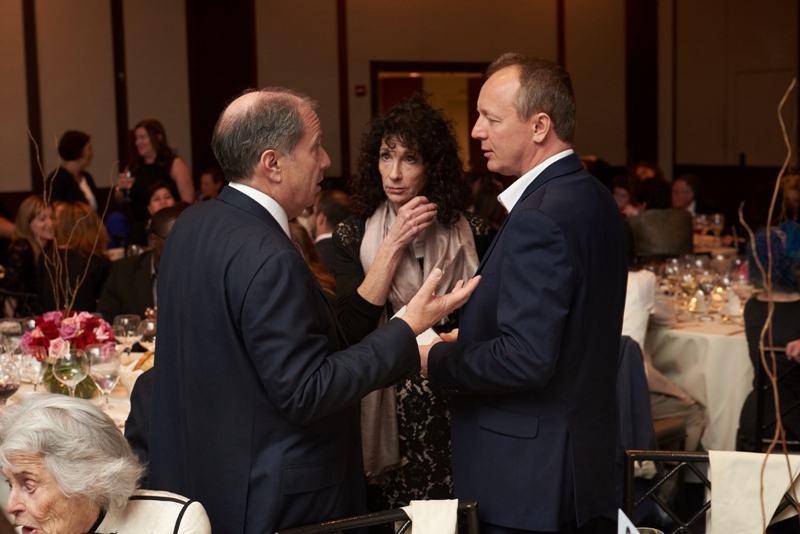 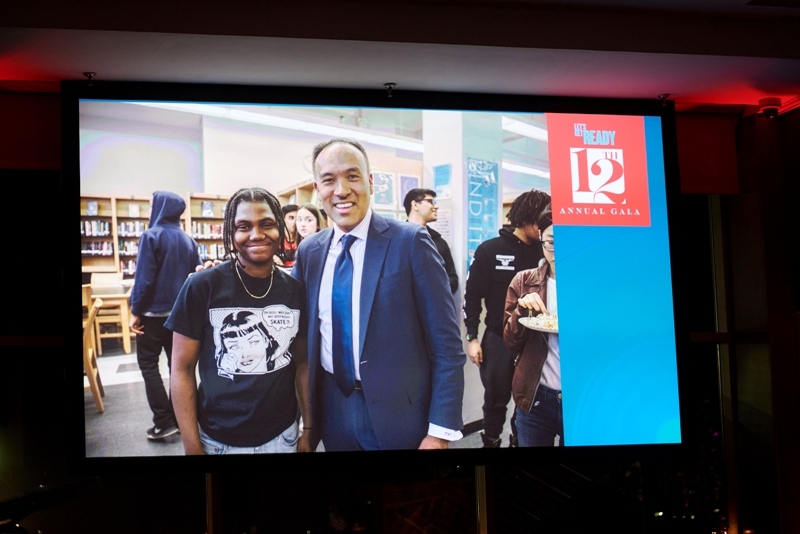 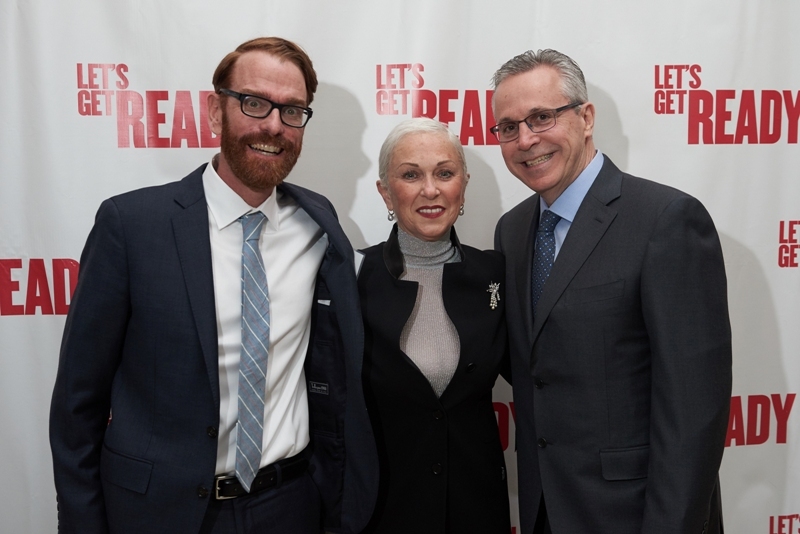 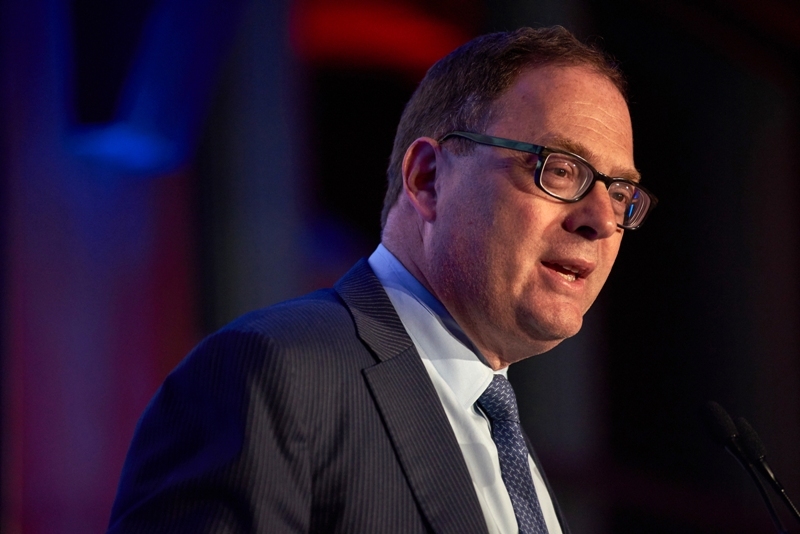 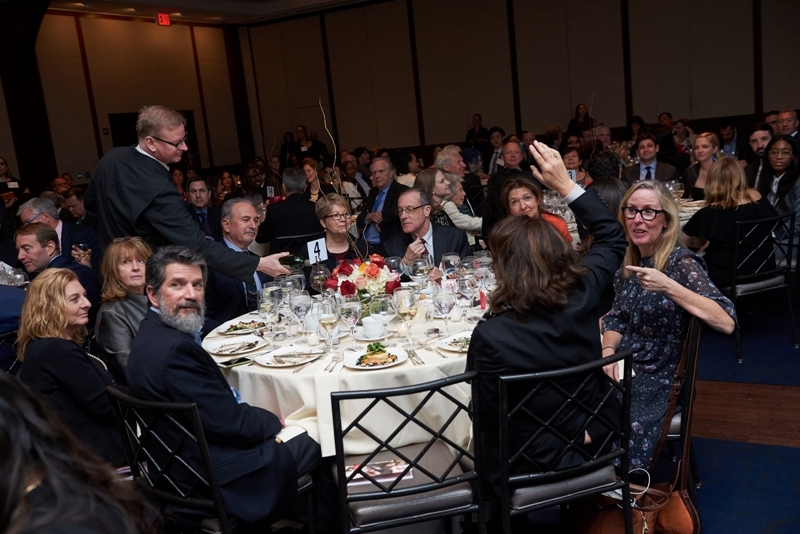 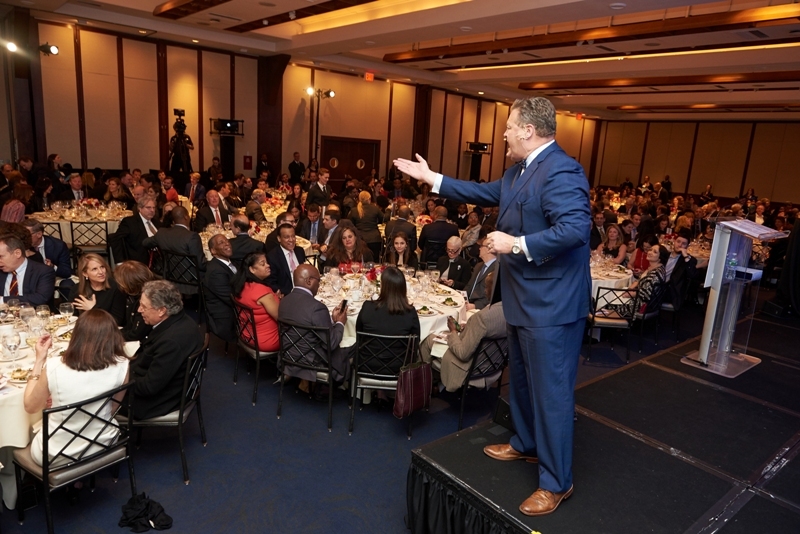 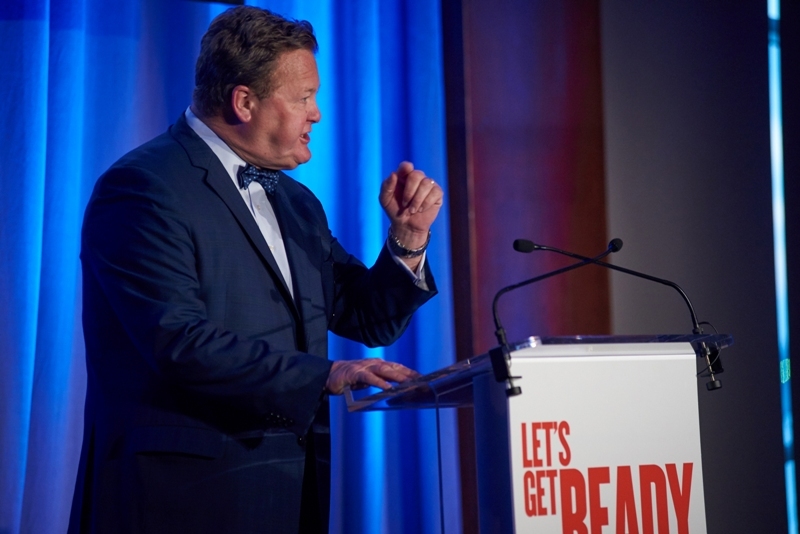 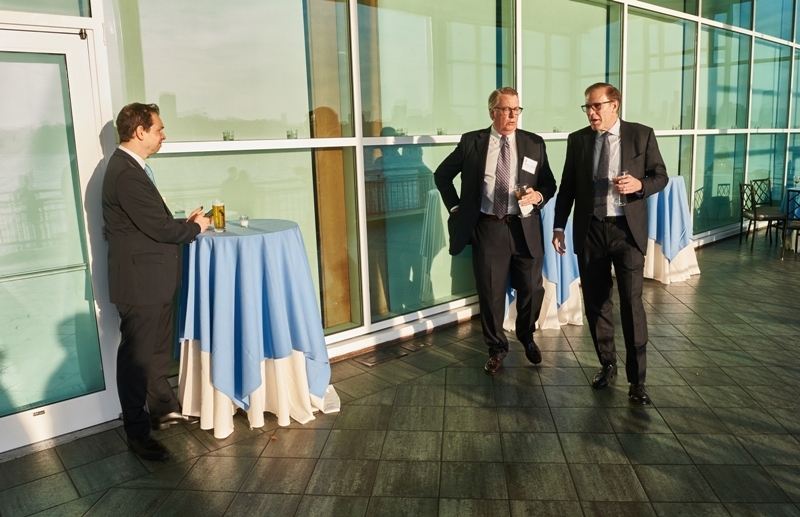 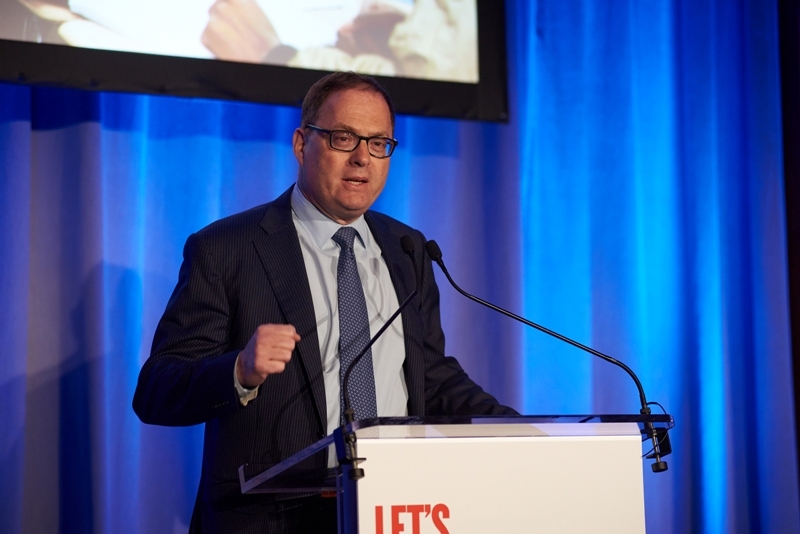 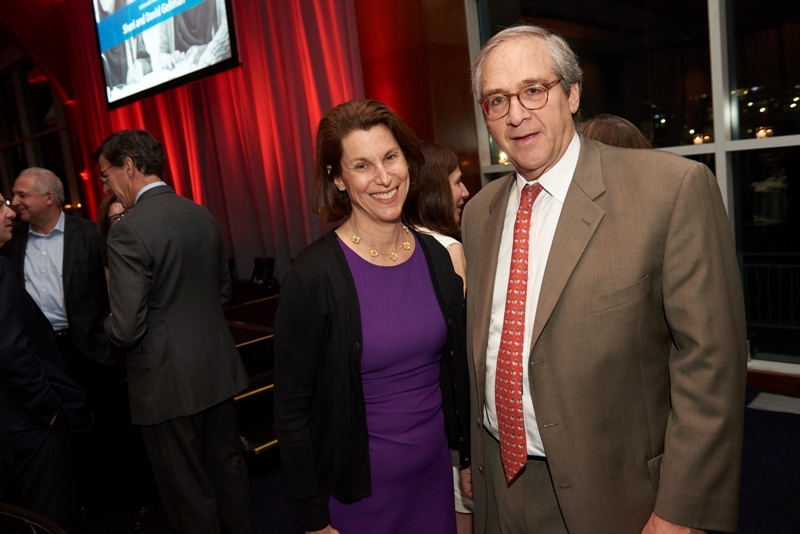 Following a live auction, David Carey, President of Hearst Magazines, delivered a keynote address in which he recalled growing up in Long Beach, California, as the son of first-generation Americans who had not attended college. 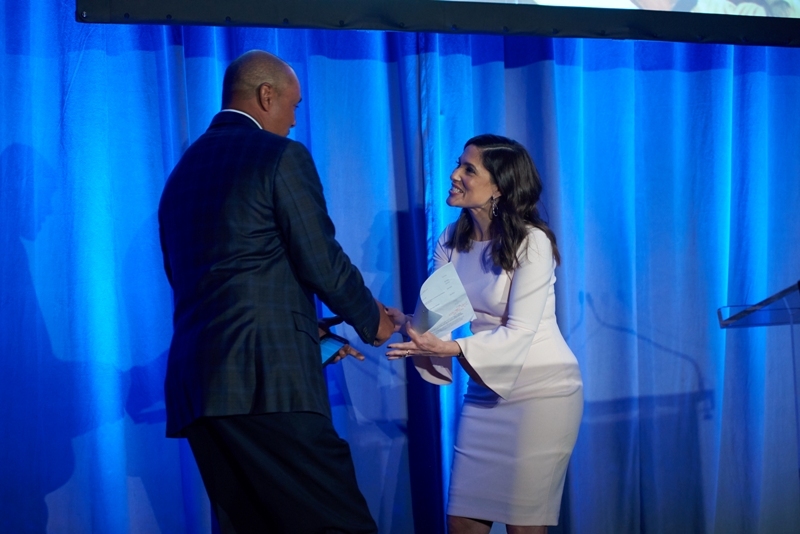 In 1980, prior to a tenfold explosion in college applications, he was able to combine a part-time salary and student loans to pay what was then a much lower in-state tuition rate at UCLA. 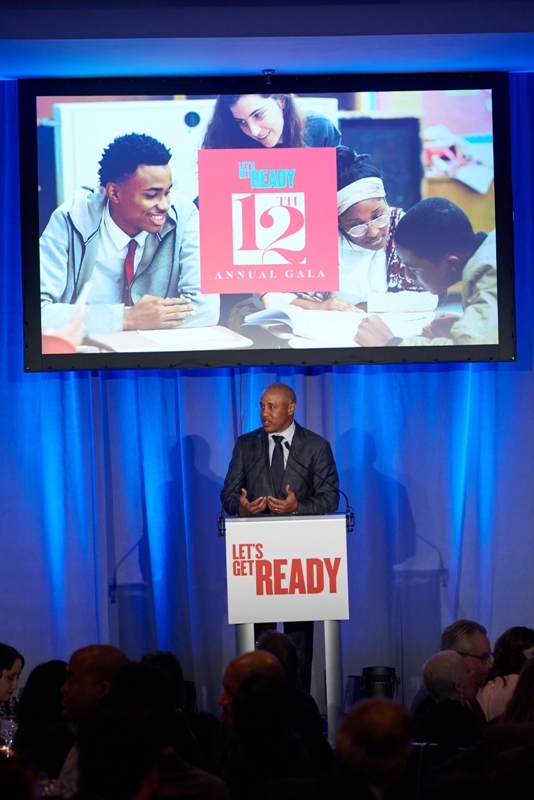 “But fast-forward to today, there’s no way I would be able to attend UCLA without the support of an organization like Let’s Get Ready,” he said. 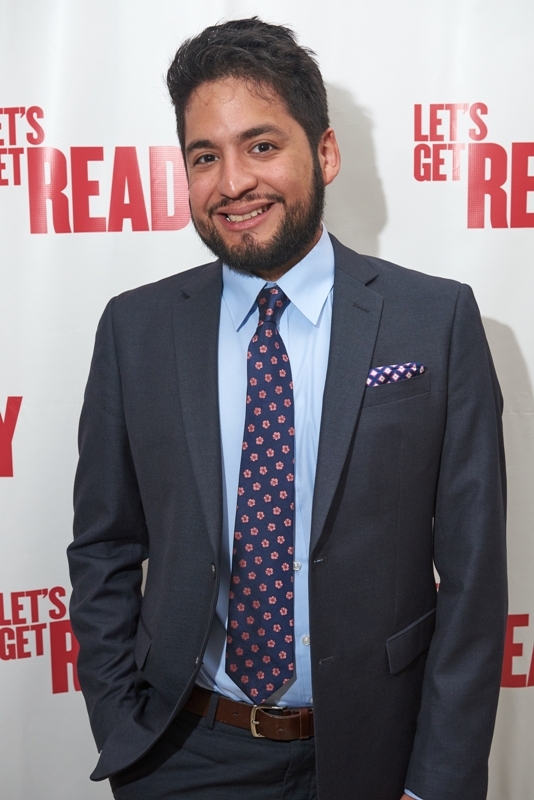 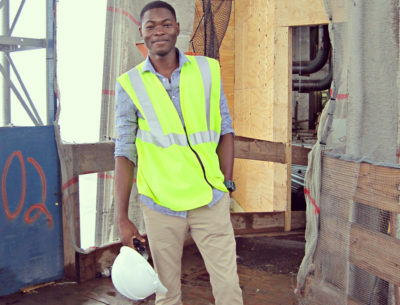 He reflected on his rise in the media industry and credits working for his college paper as a vital stepping stone. 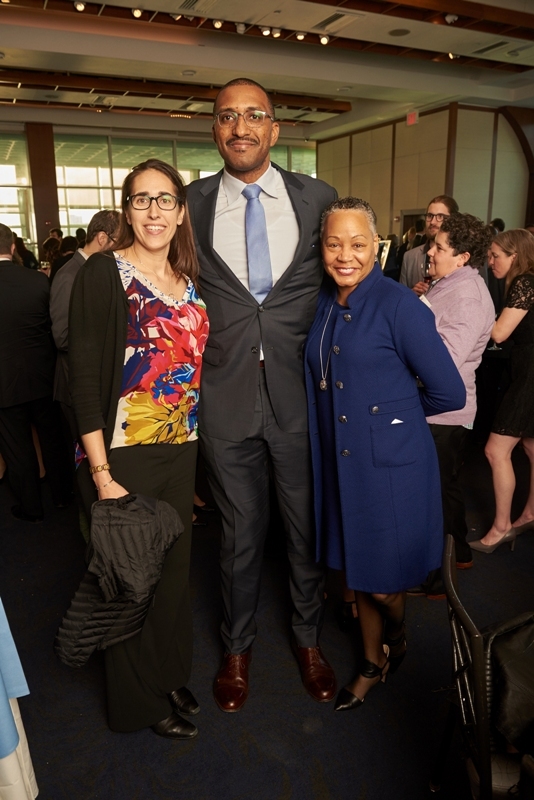 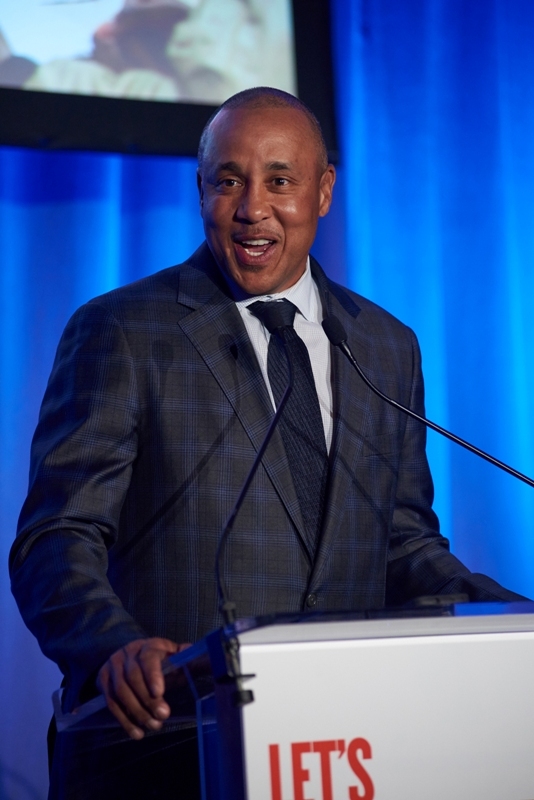 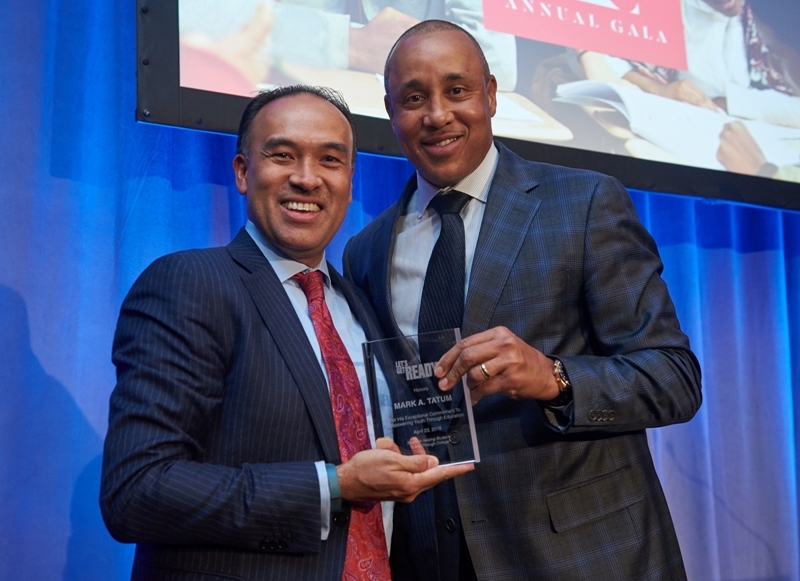 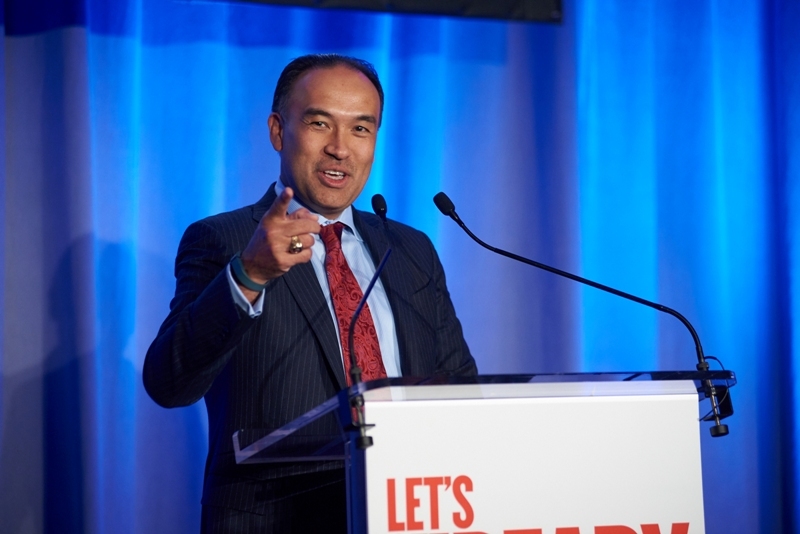 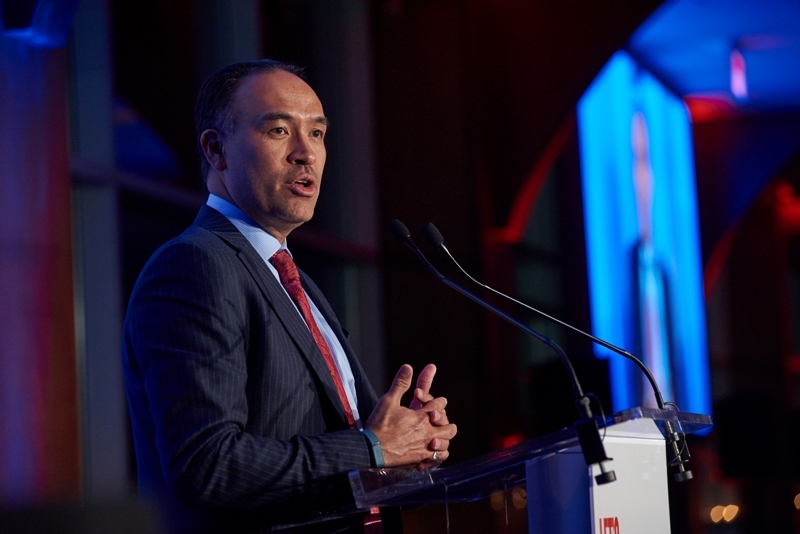 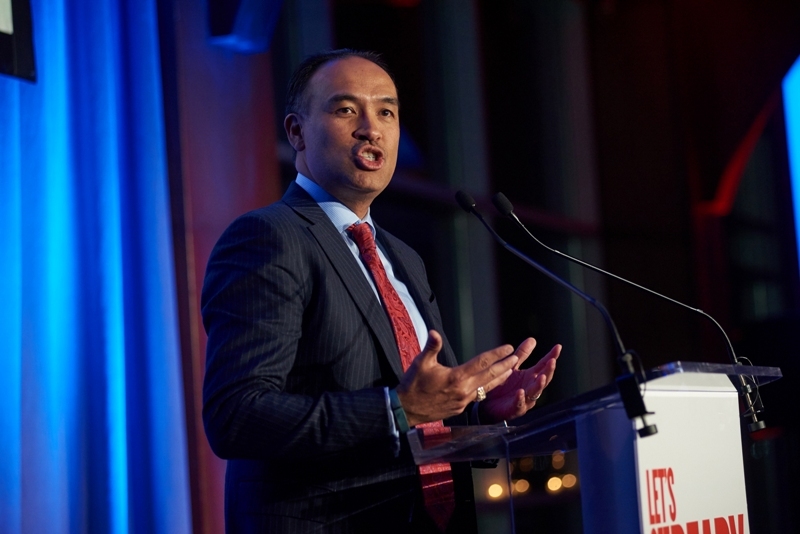 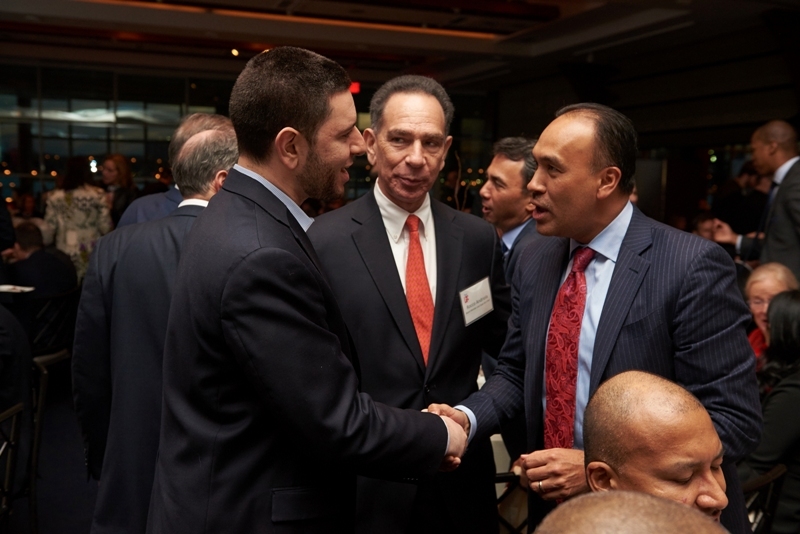 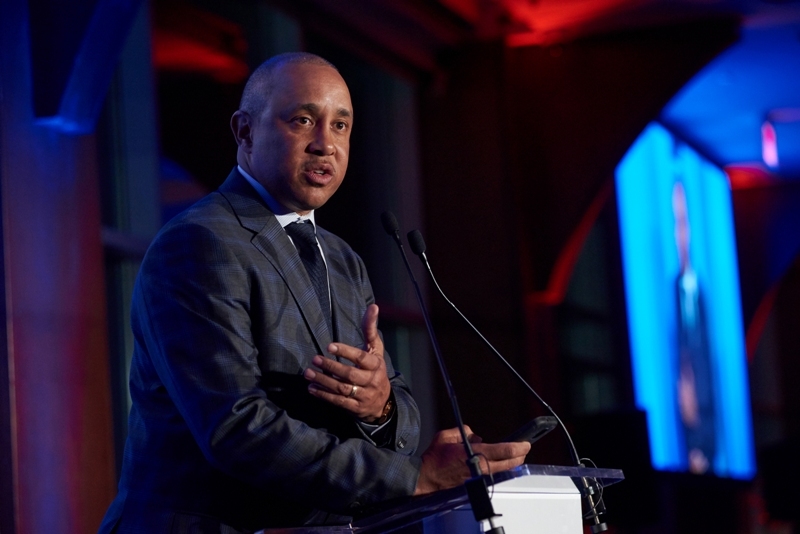 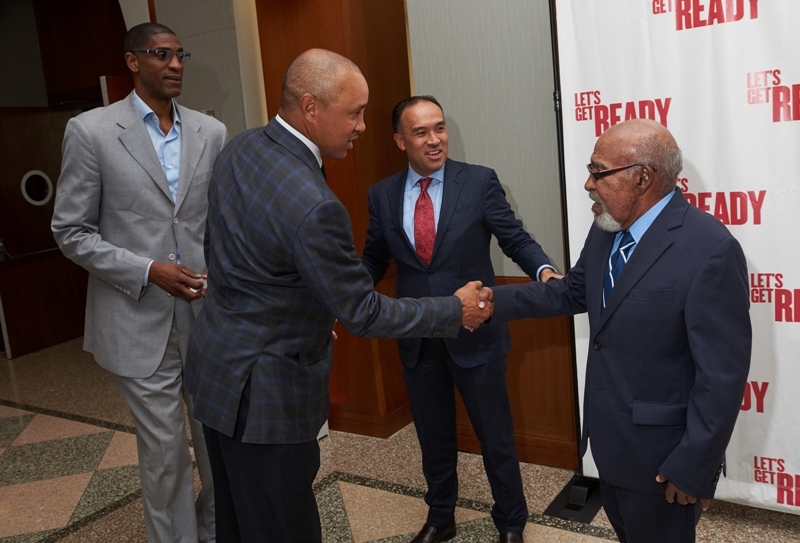 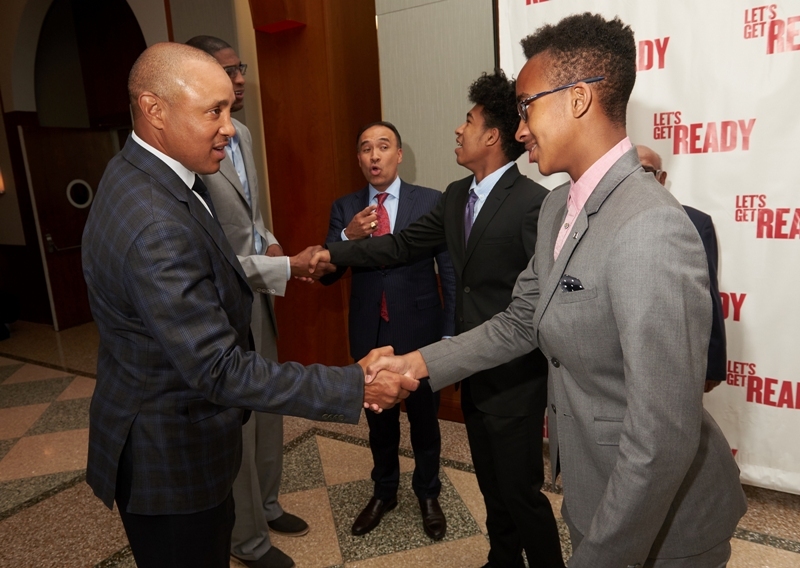 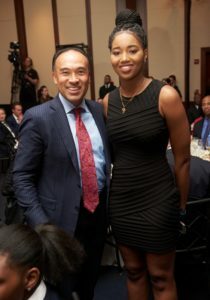 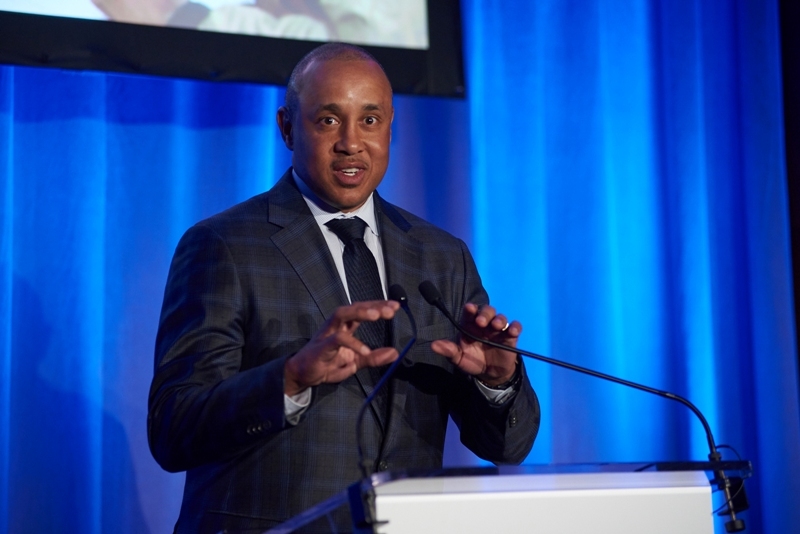 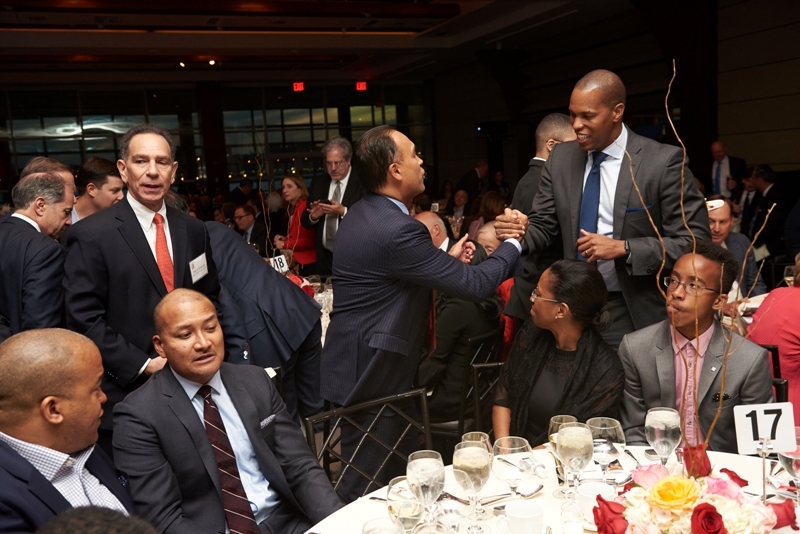 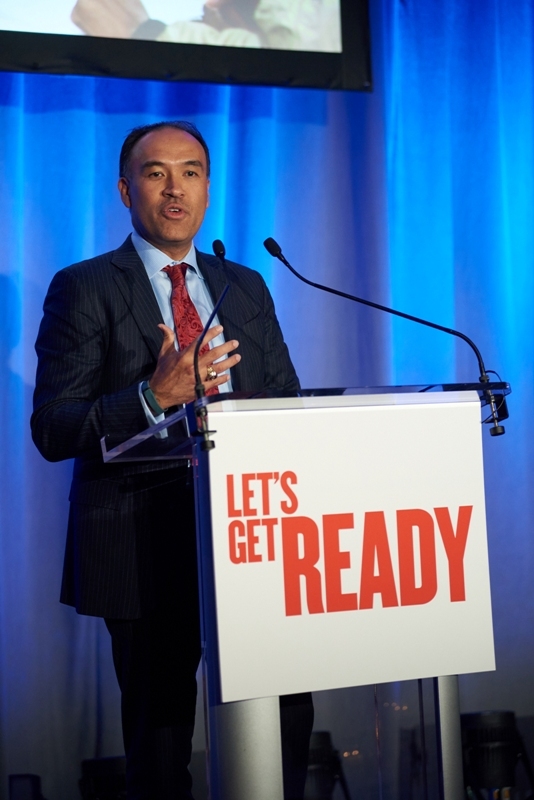 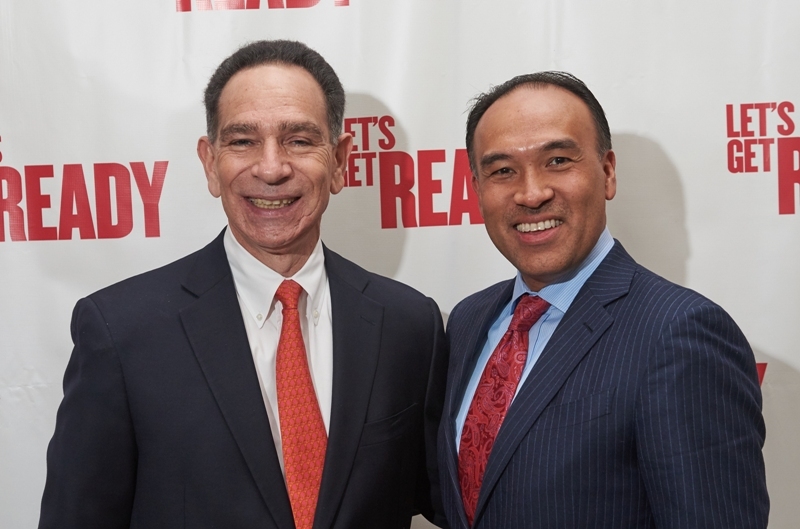 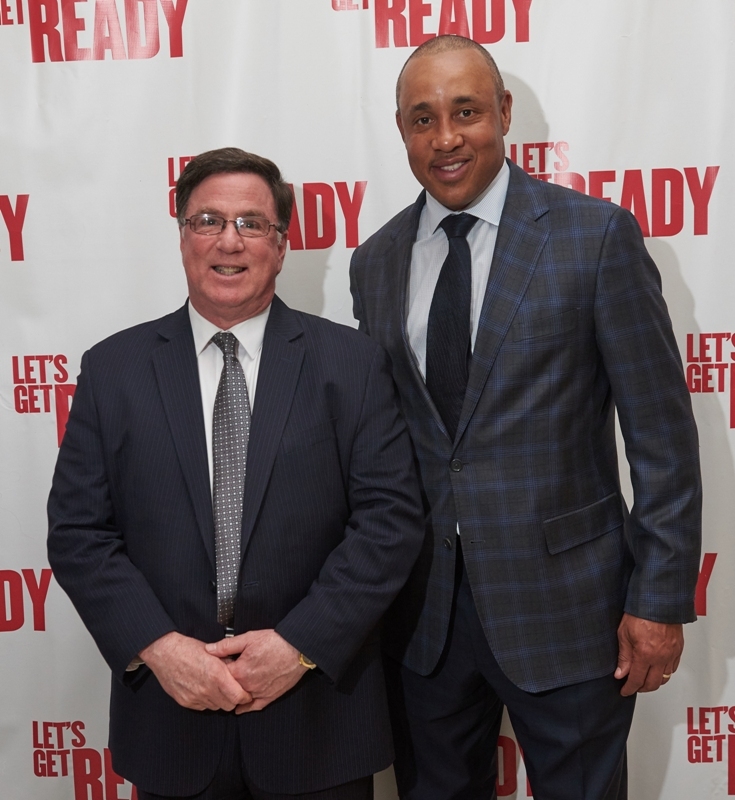 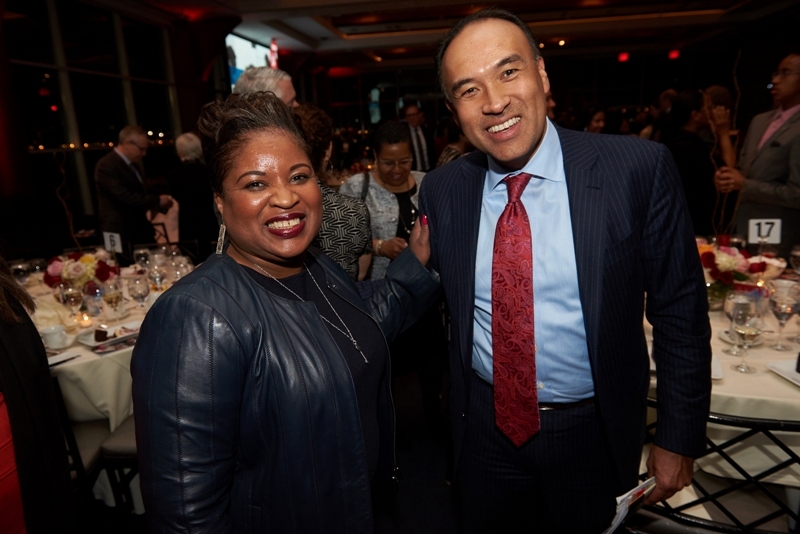 To the delight of the many sports enthusiasts in attendance, the evening’s honoree, NBA Chief Operation Officer and Deputy Commissioner Mark Tatum, was introduced by a surprise guest: 1994 All-Star and New York Knicks legend John Starks. 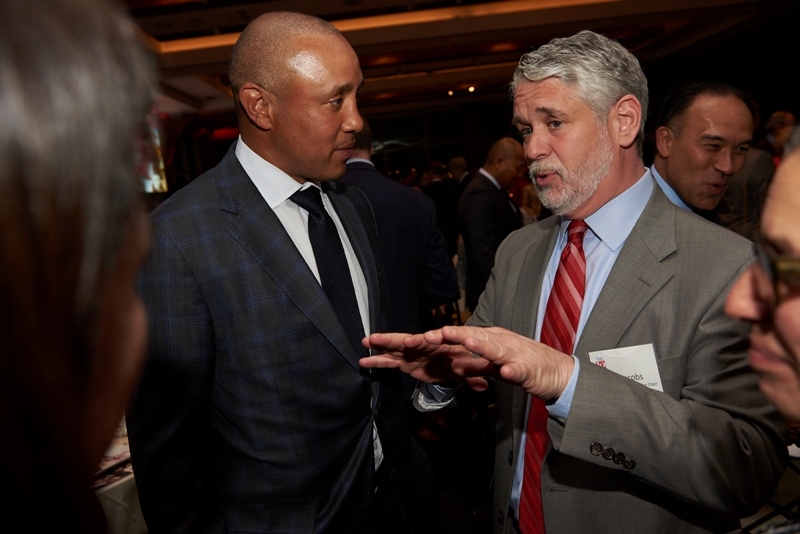 Starks praised Tatum as a thoughtful, insightful leader who has pushed the NBA into becoming a global league that touches every continent. 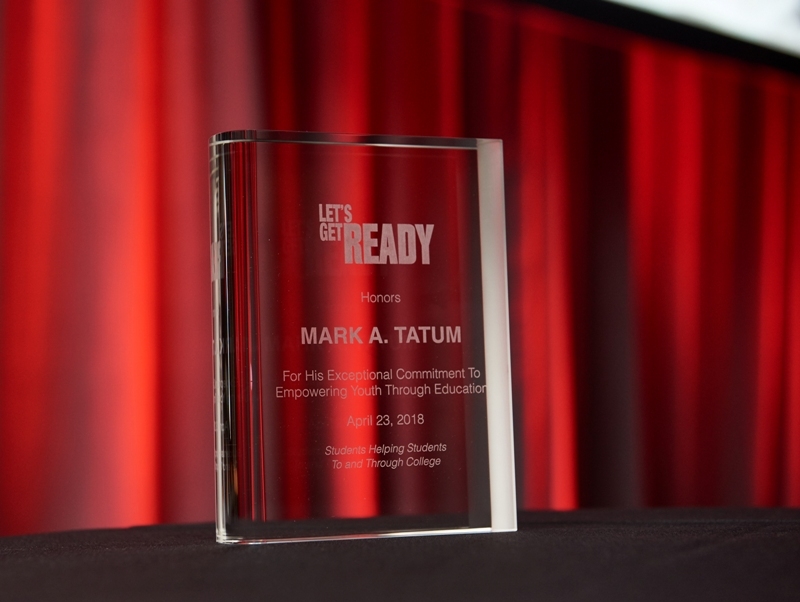 Tatum told the story of how he became the first in his family to attend college at the urging of his immigrant parents, who were in attendance at the gala. 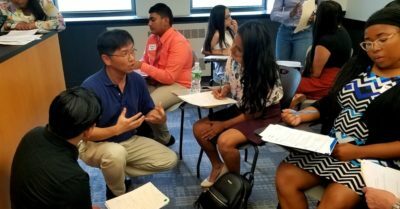 “I wish I had an organization like Let’s Get Ready to help get me prepped for the SAT and the daunting college admissions process,” he said. 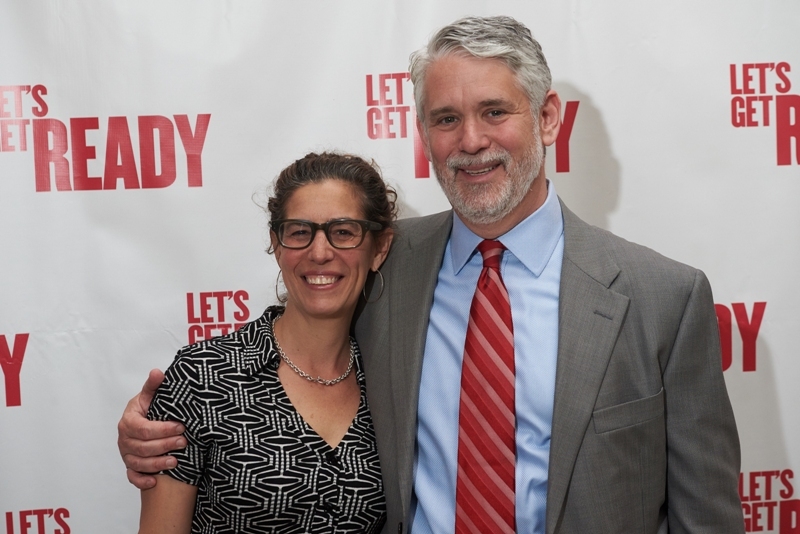 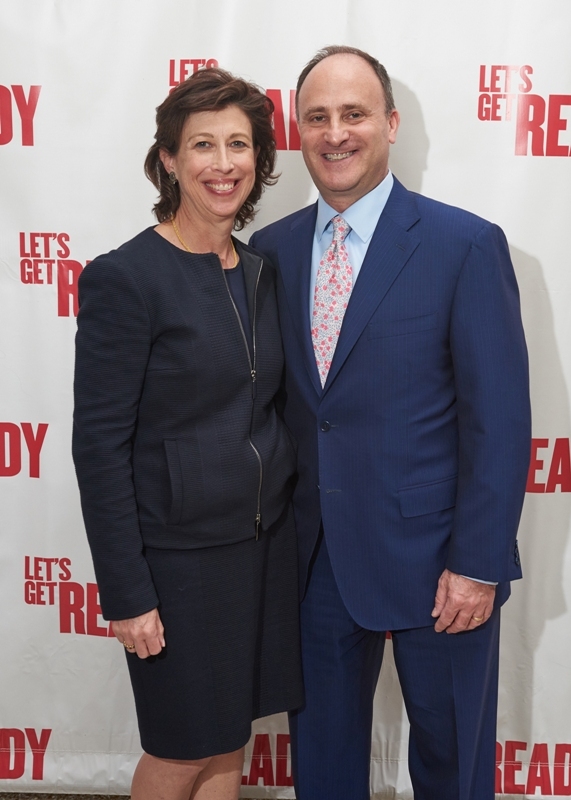 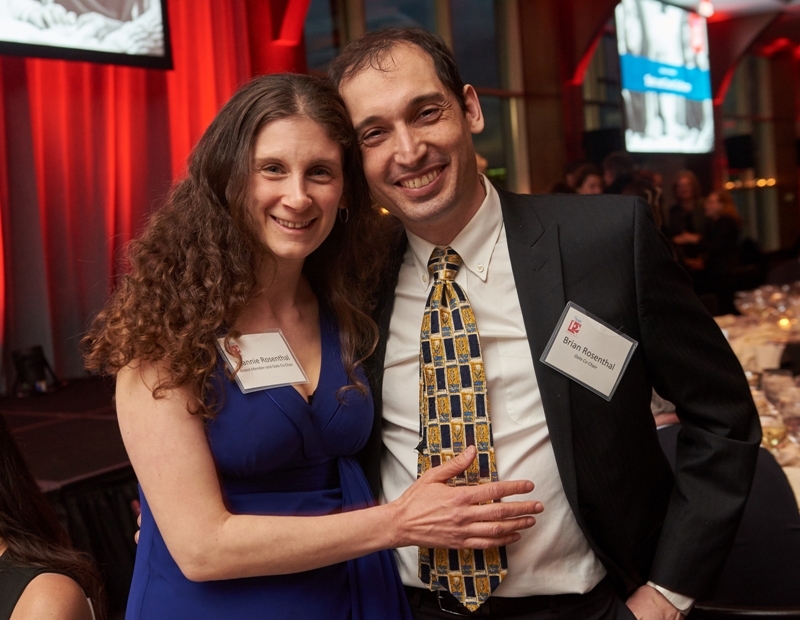 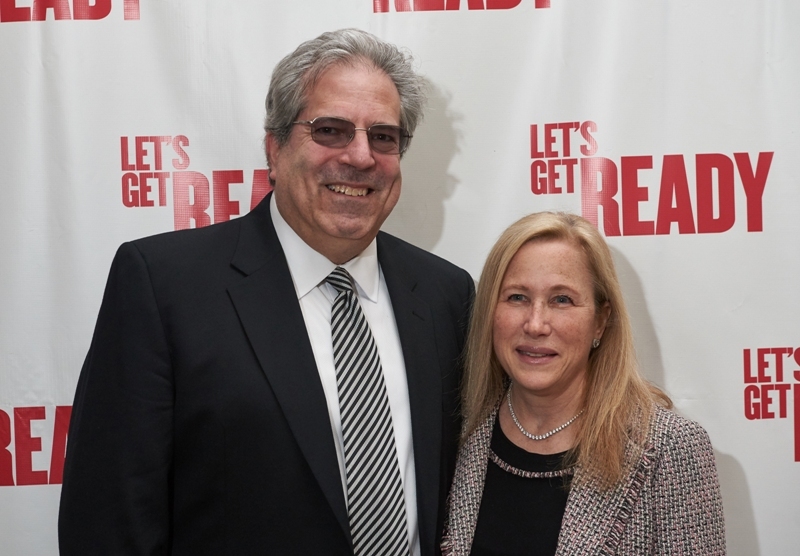 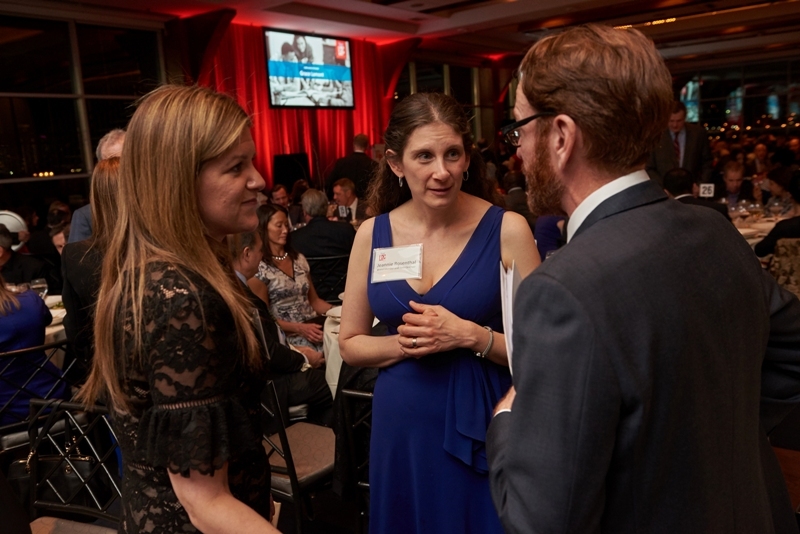 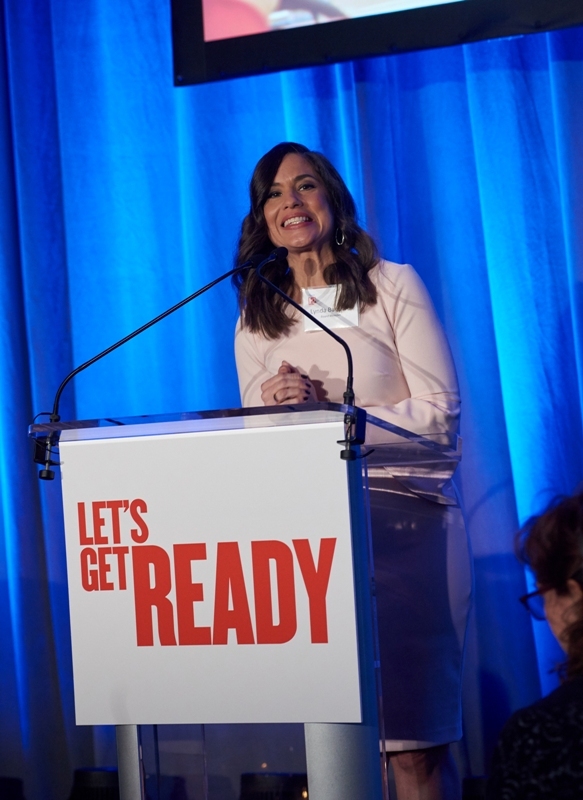 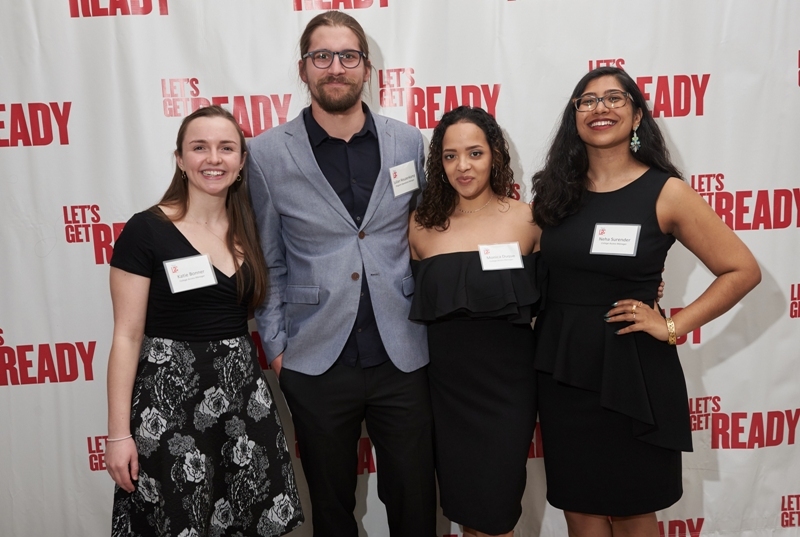 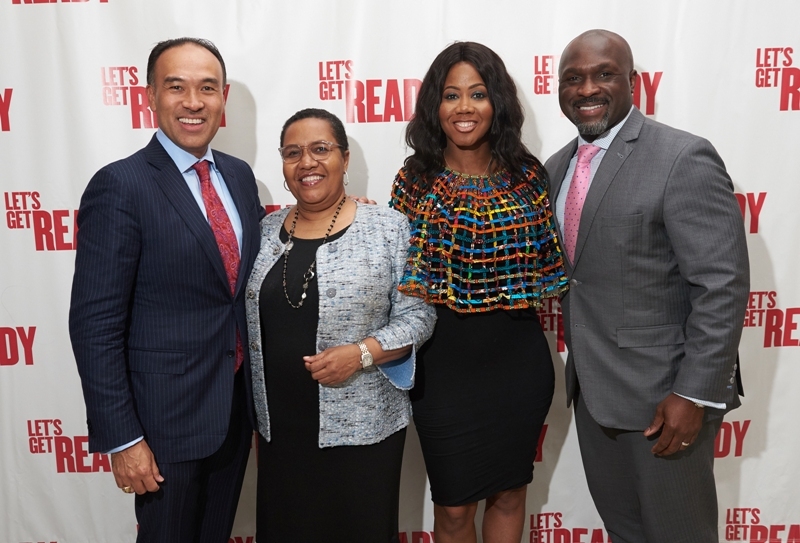 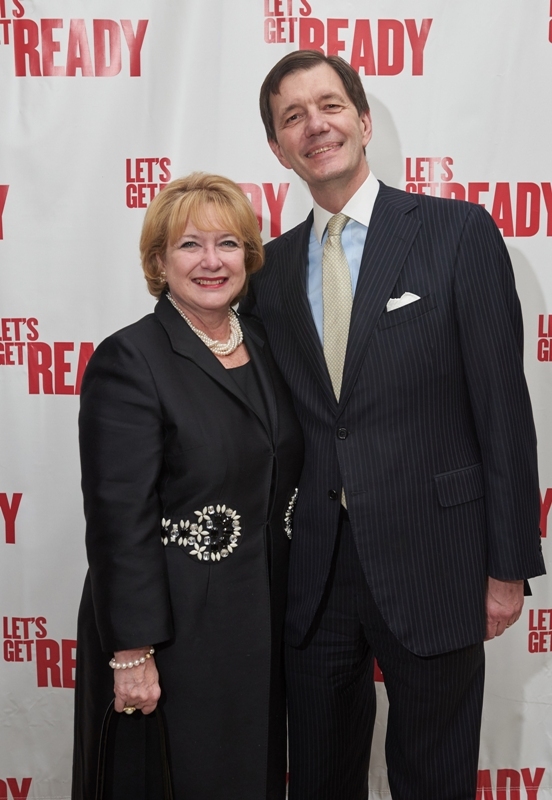 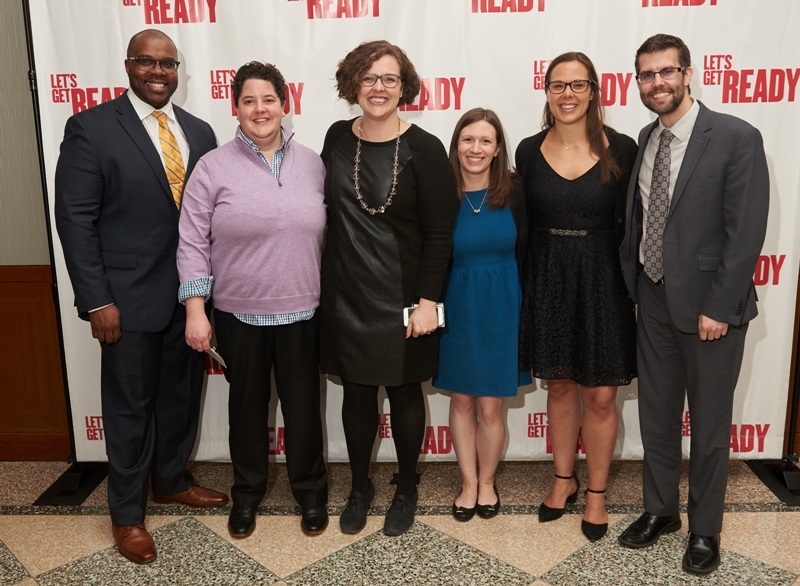 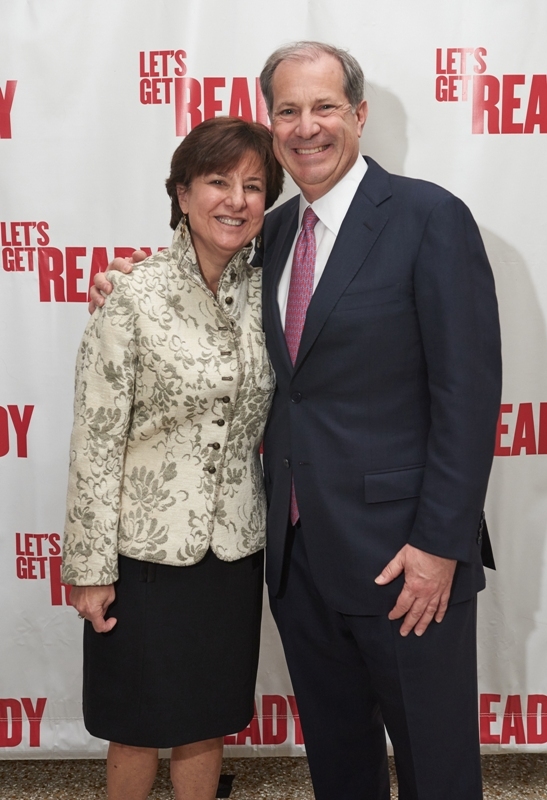 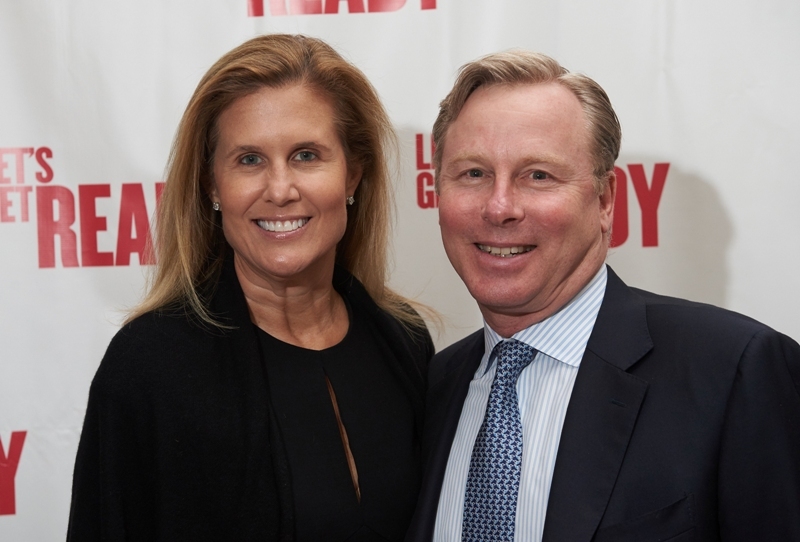 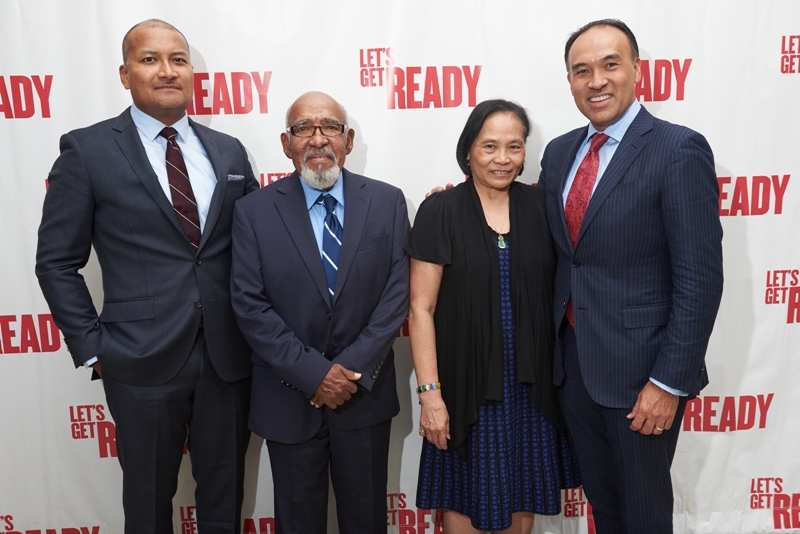 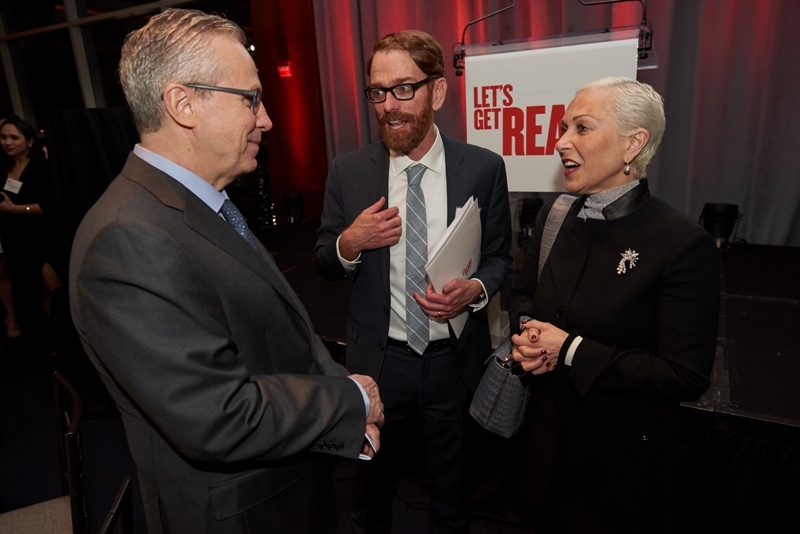 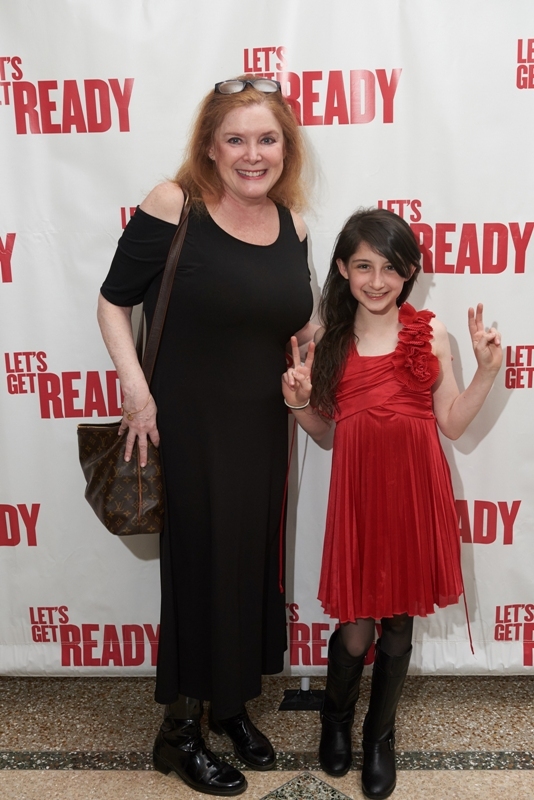 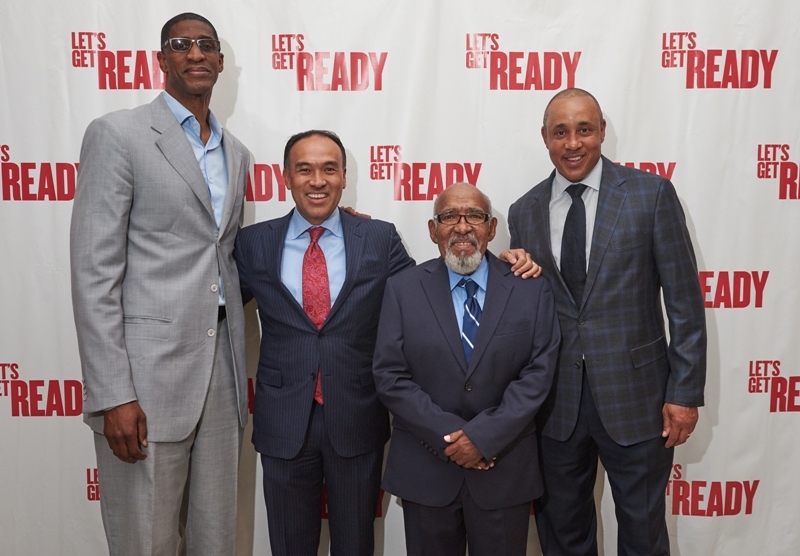 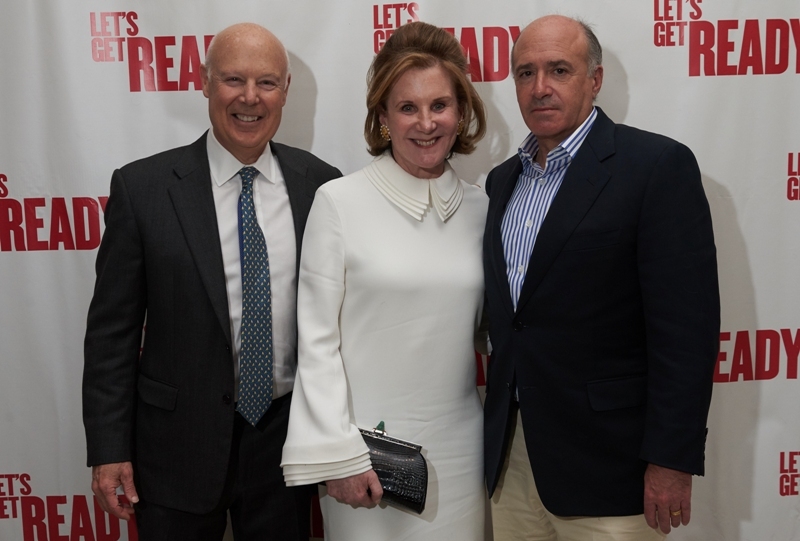 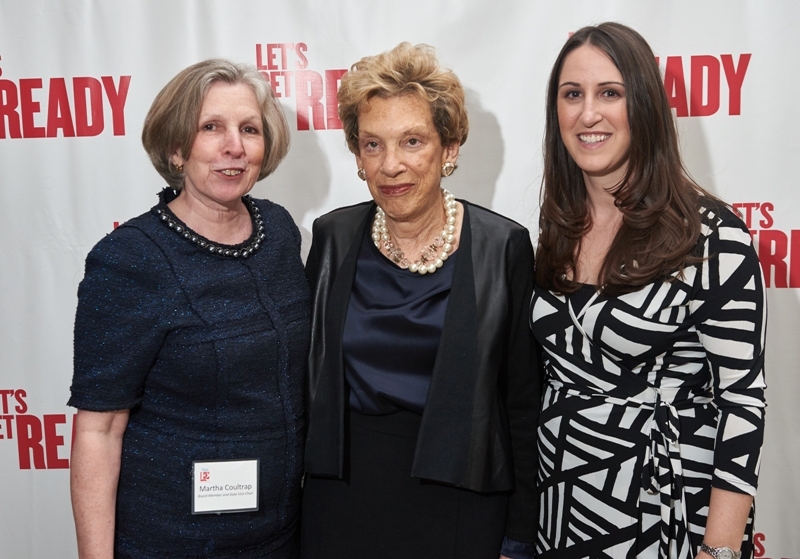 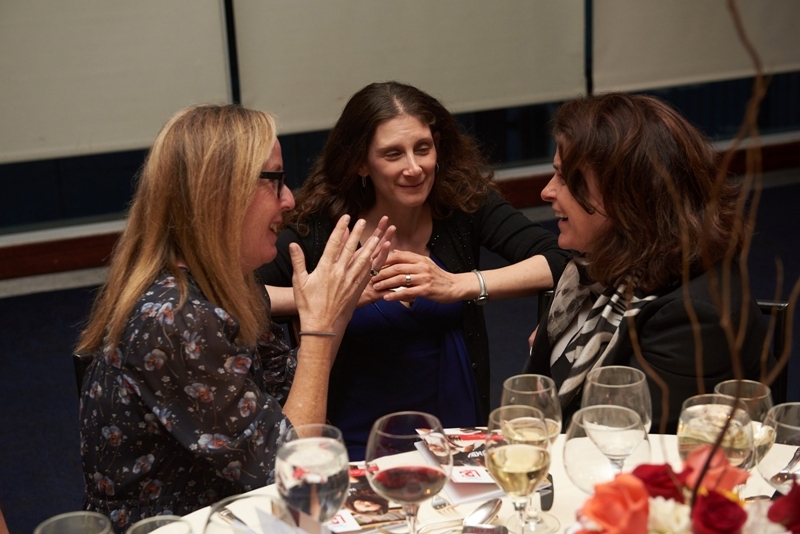 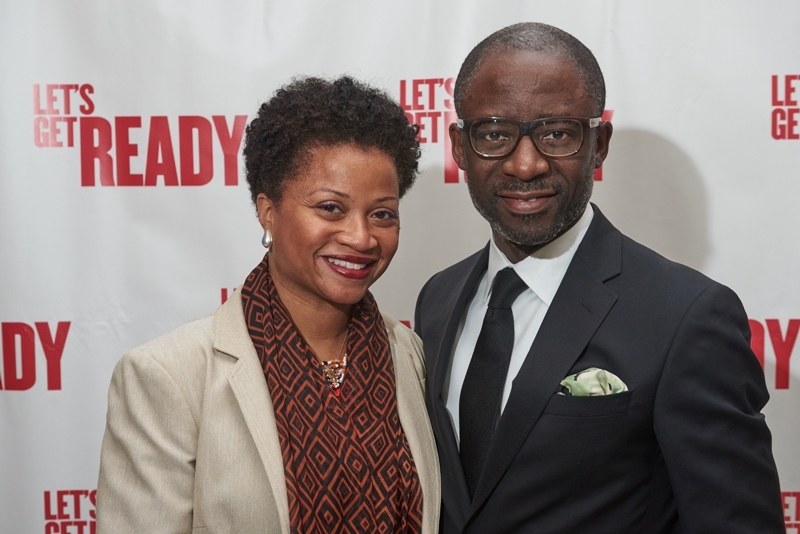 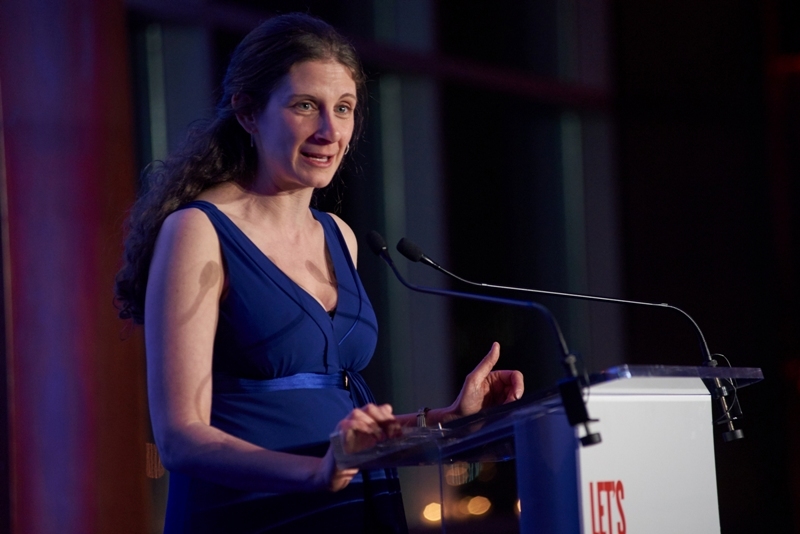 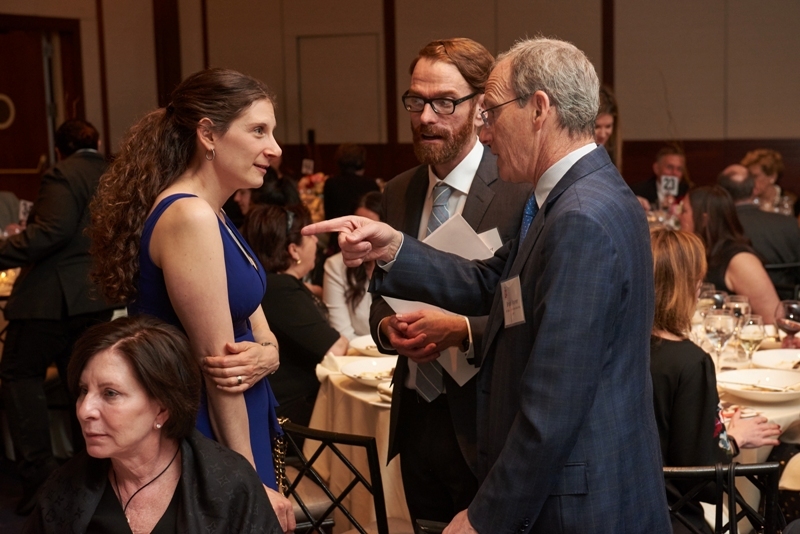 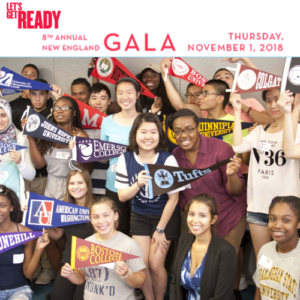 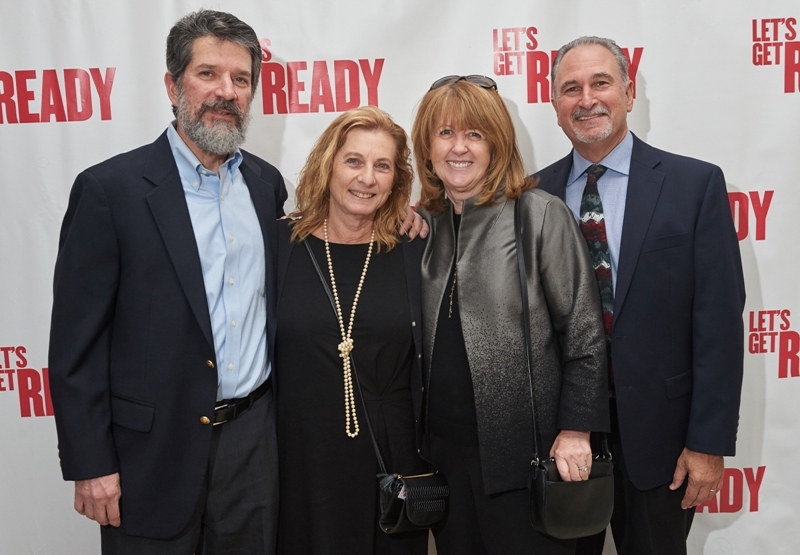 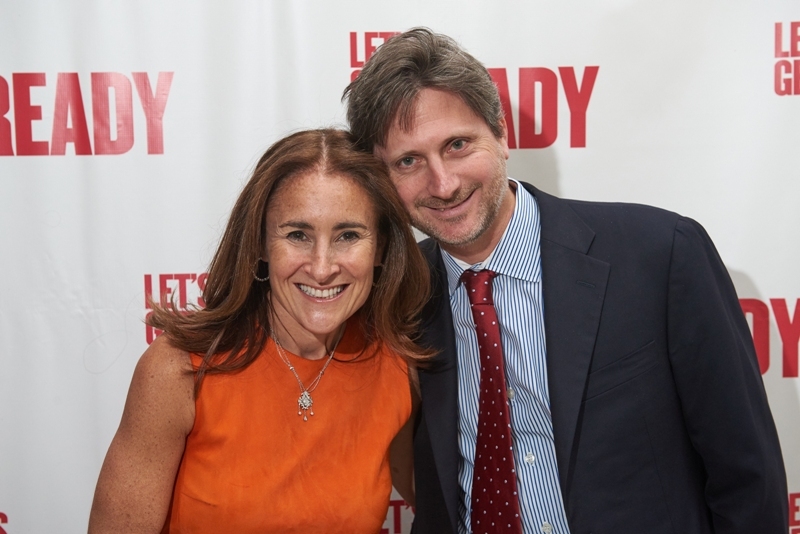 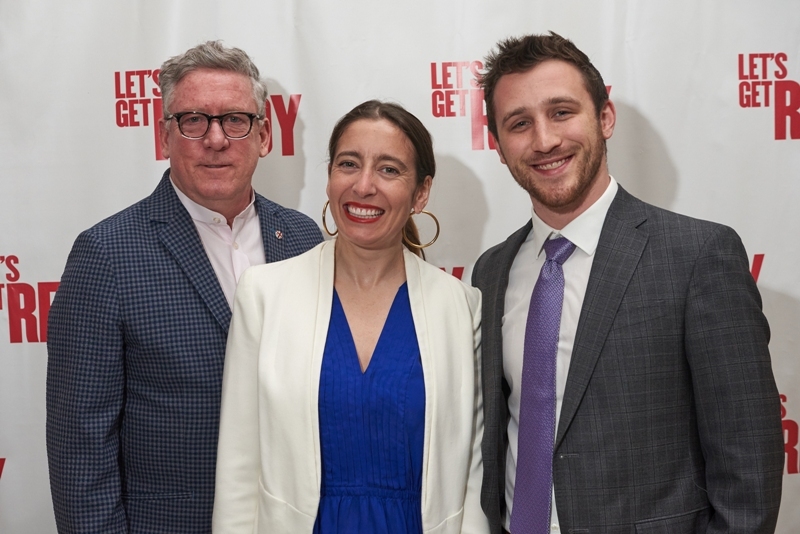 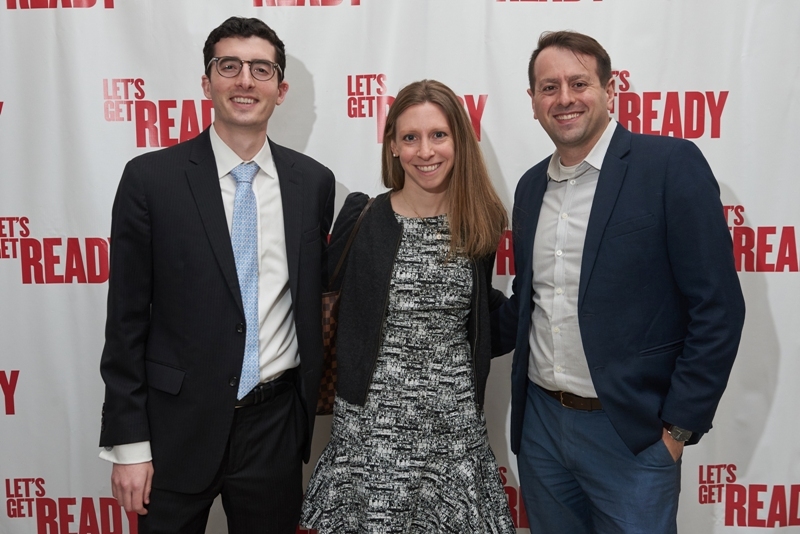 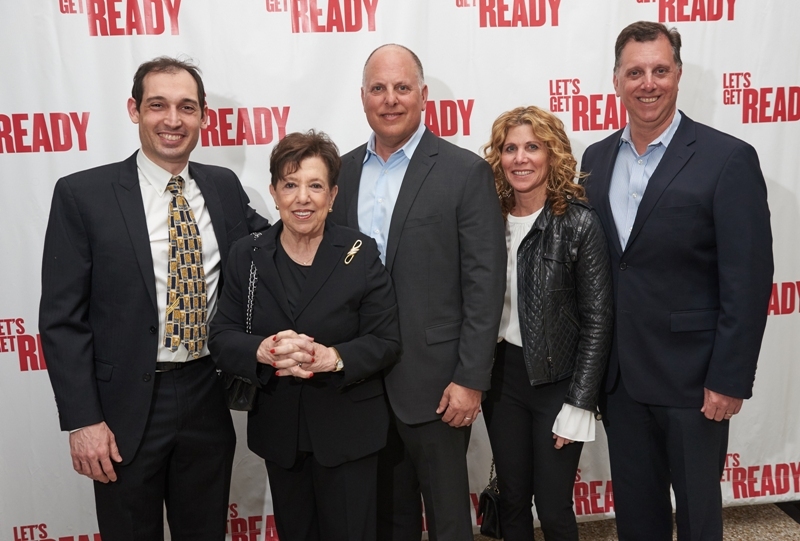 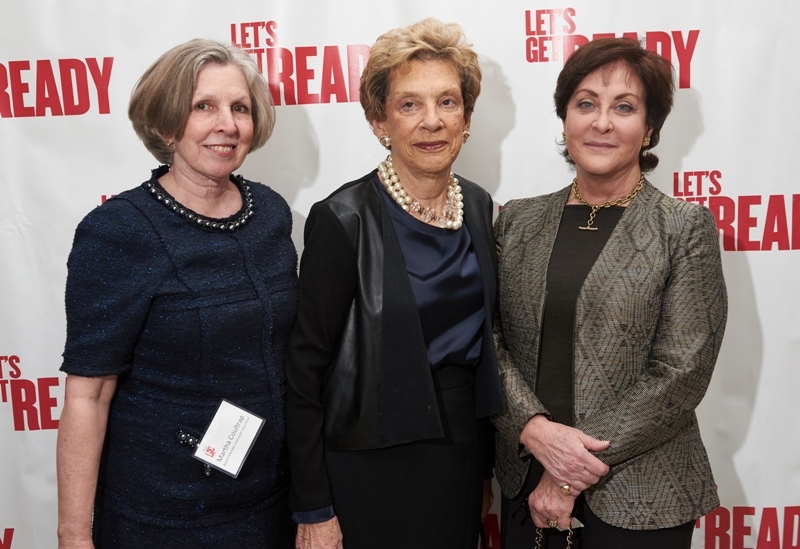 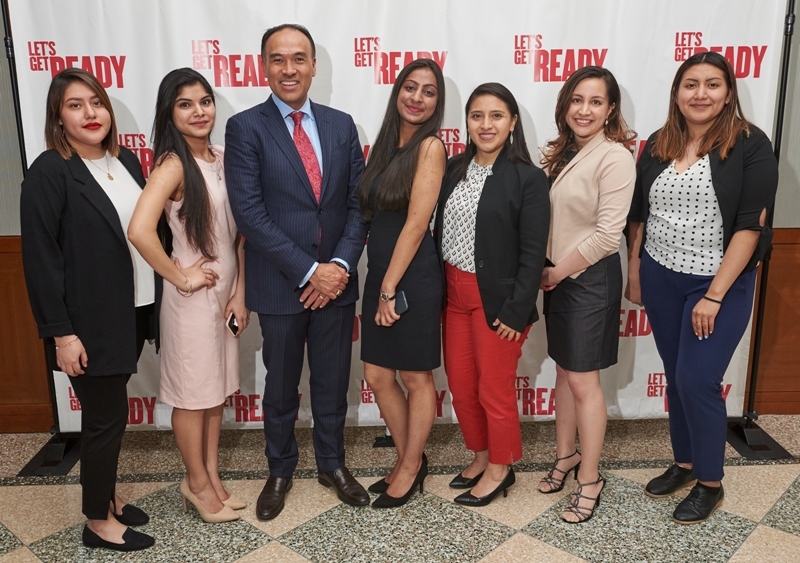 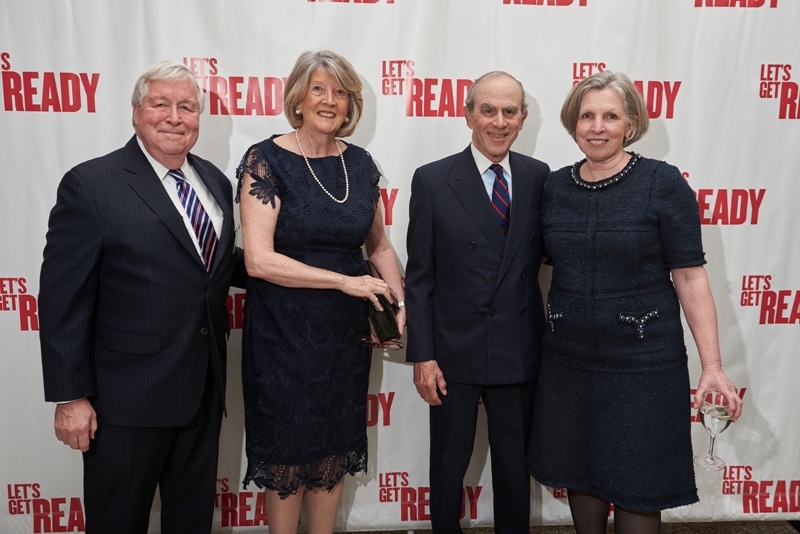 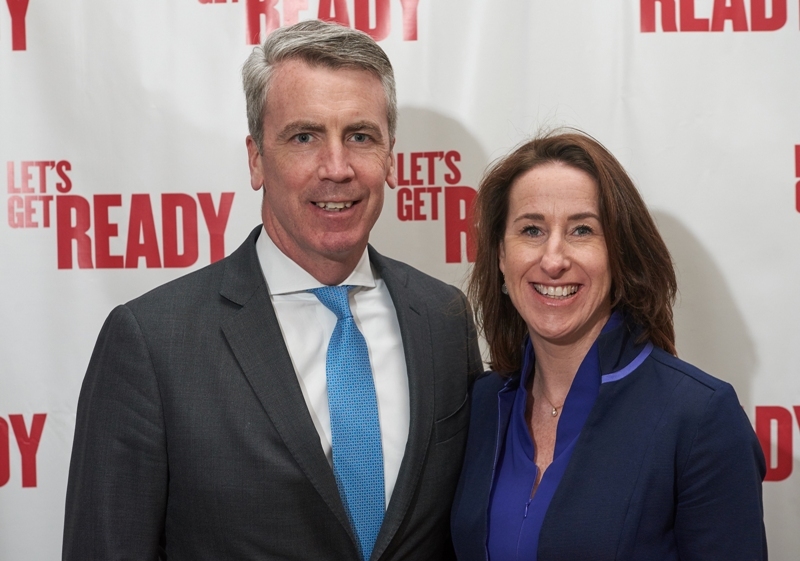 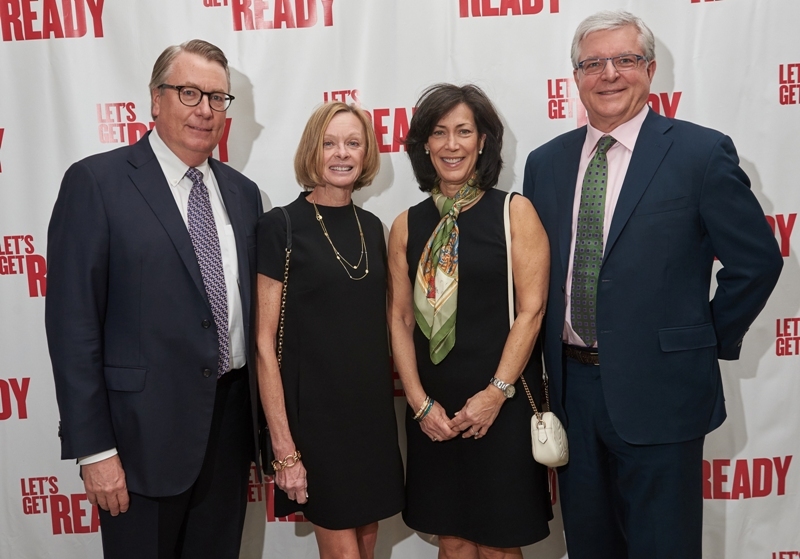 Let’s Get Ready is now in its 20th year of serving students since Rosenthal founded the organization and will be celebrating its thousands of alumni later this year. 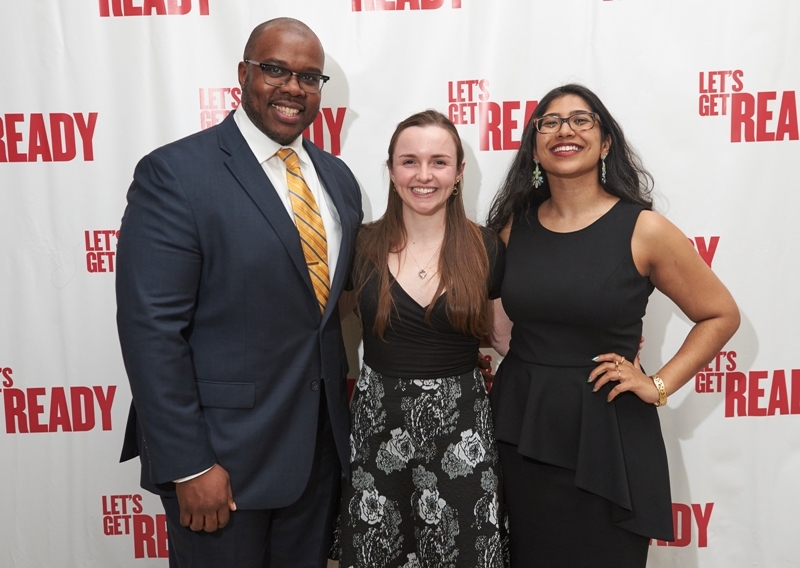 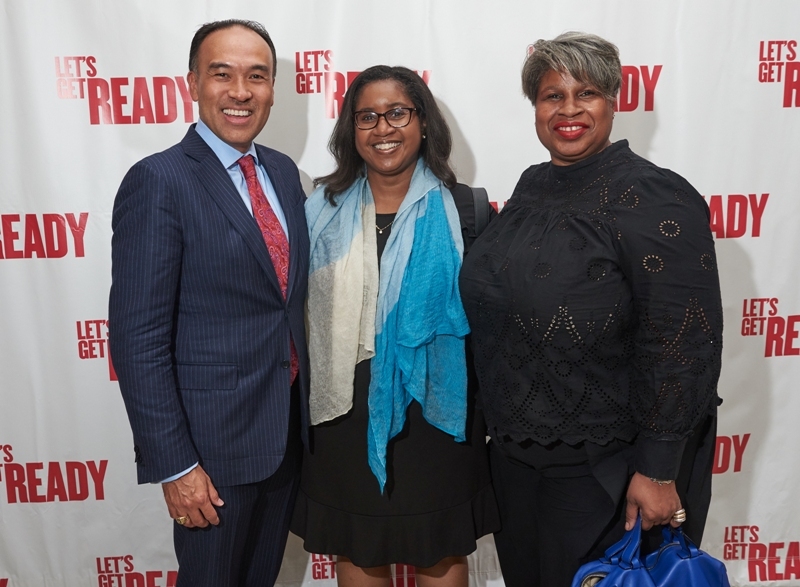 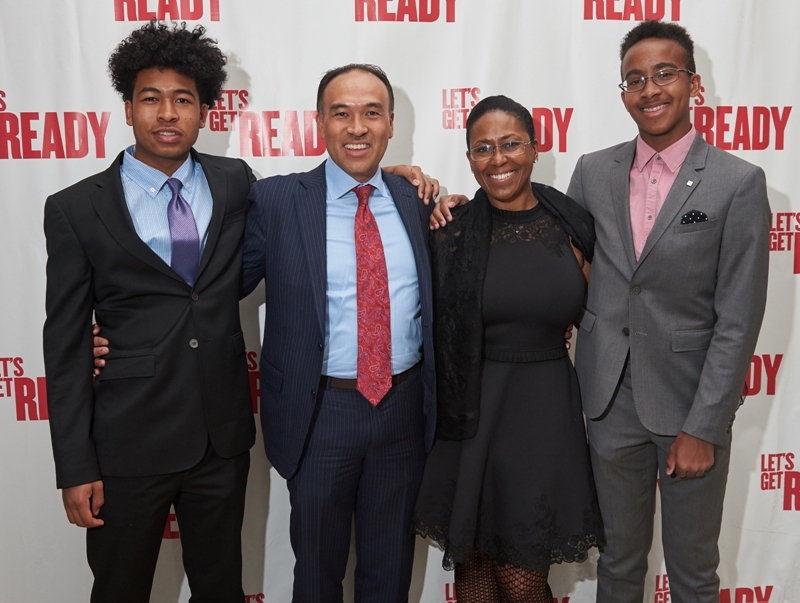 As the night concluded, guests left with a deeper understanding of the challenges facing students from low-income backgrounds on their college journey, and how the near-peer mentoring offered by Let’s Get Ready is making an incalculable difference in their lives. 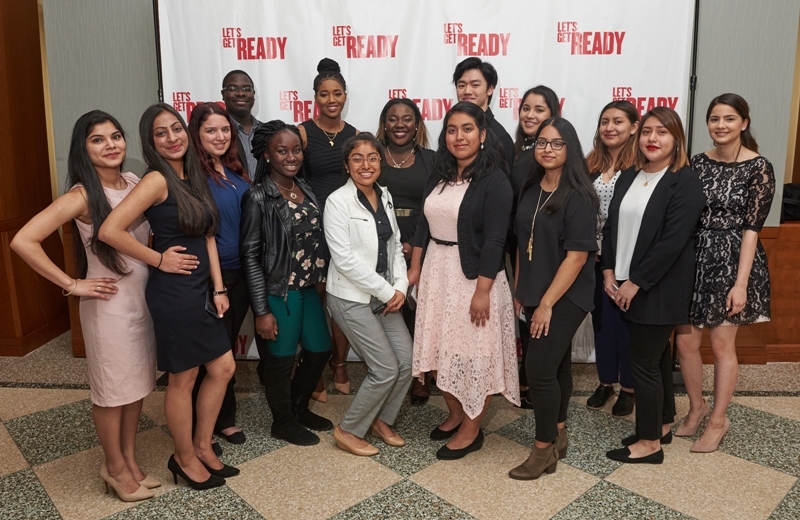 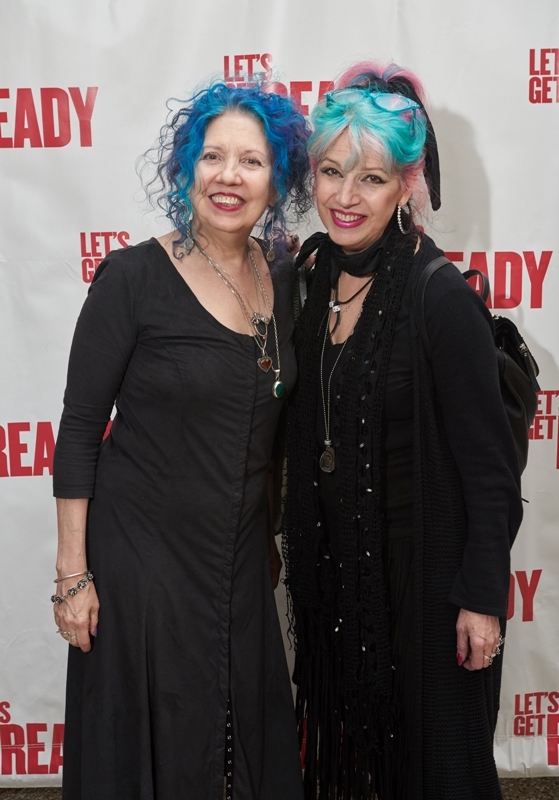 Let’s Get Ready would like to thank all who attended and supported the gala. 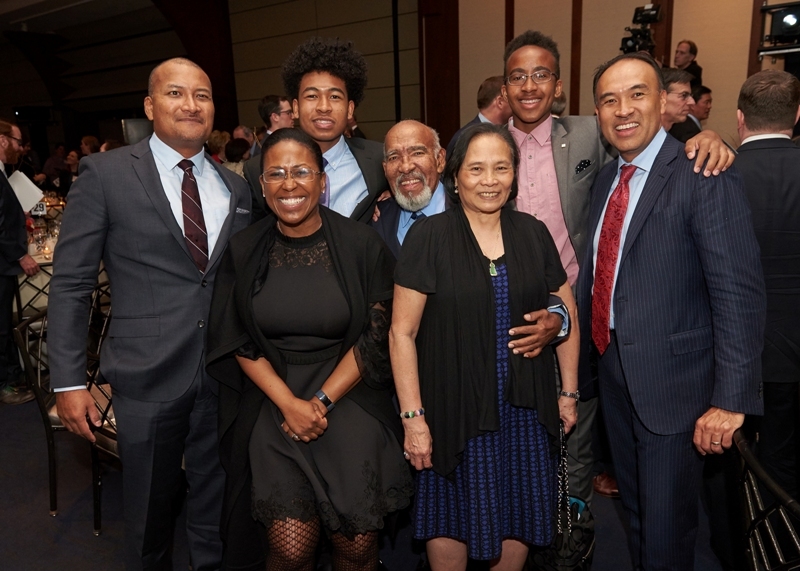 The impact you have made will be felt for years to come.